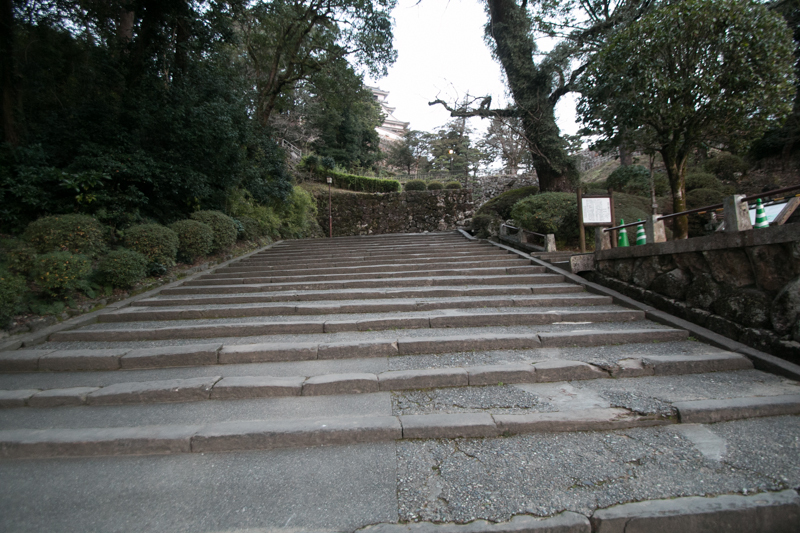 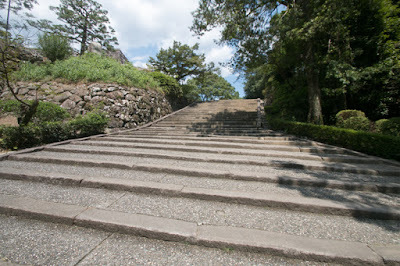 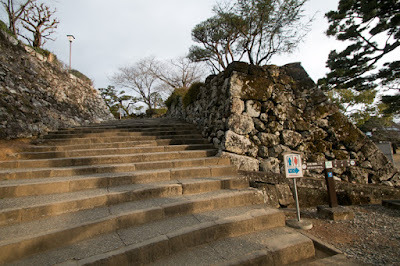 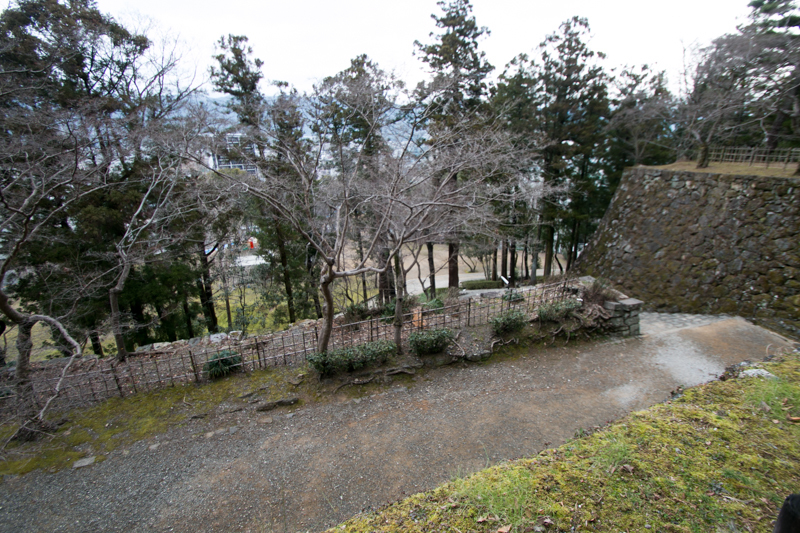 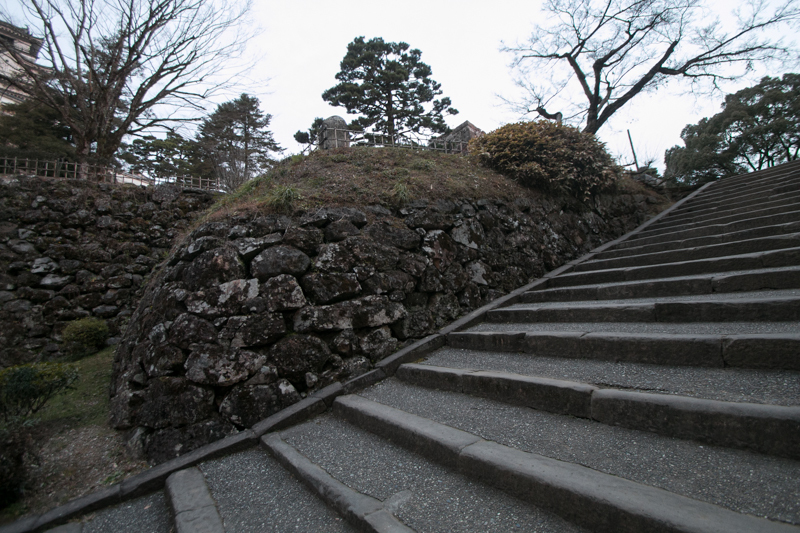 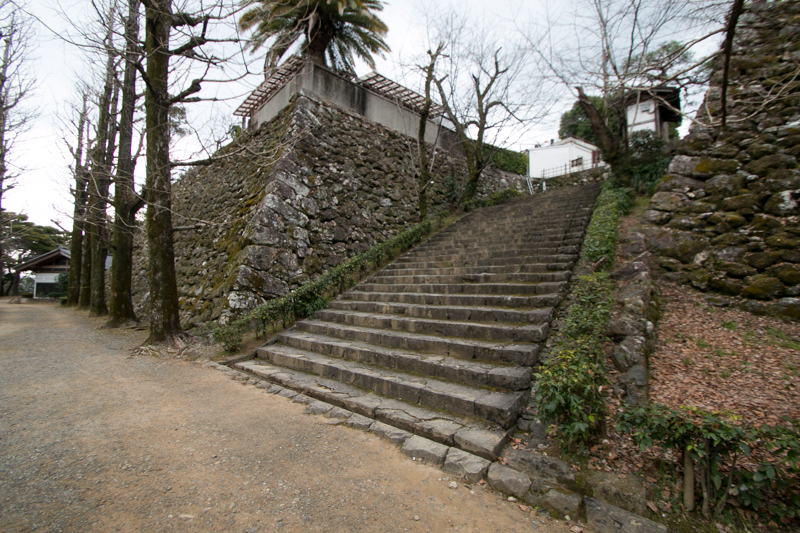 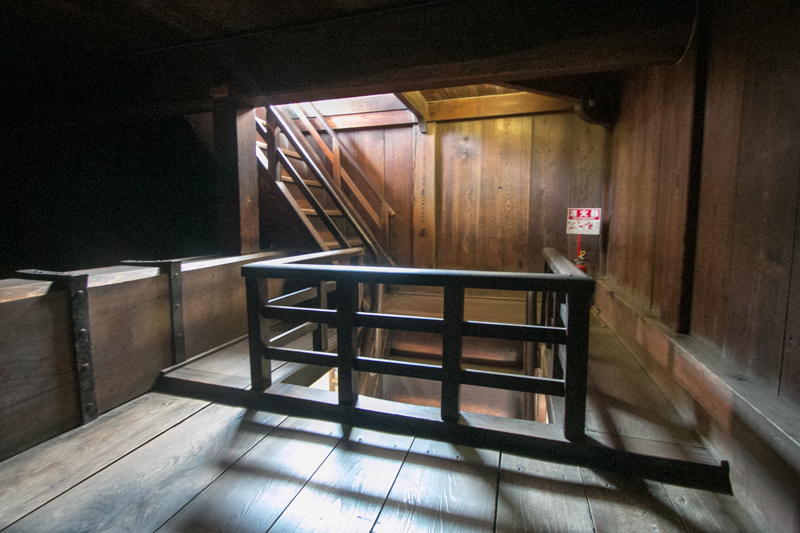 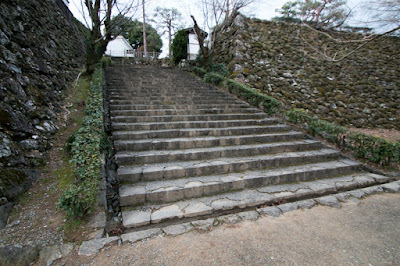 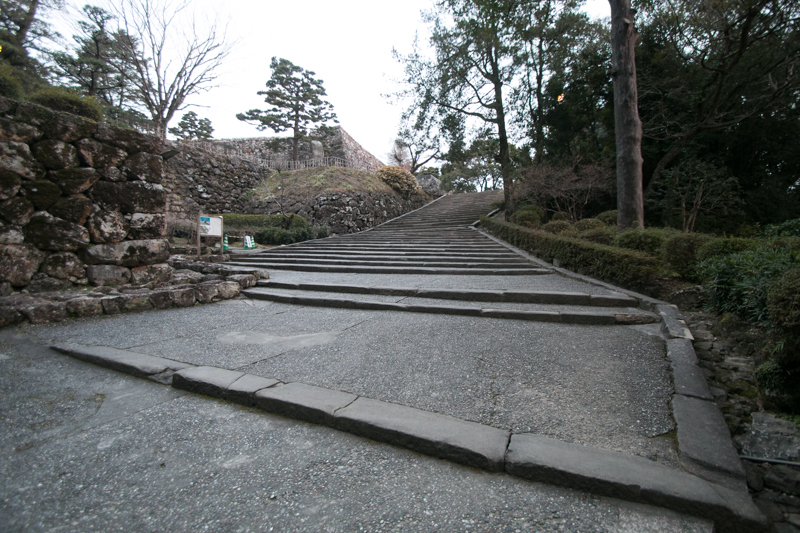 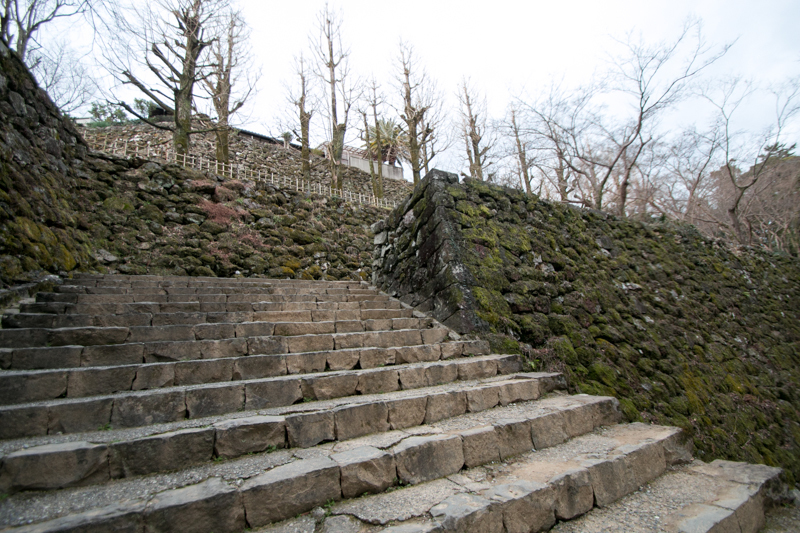 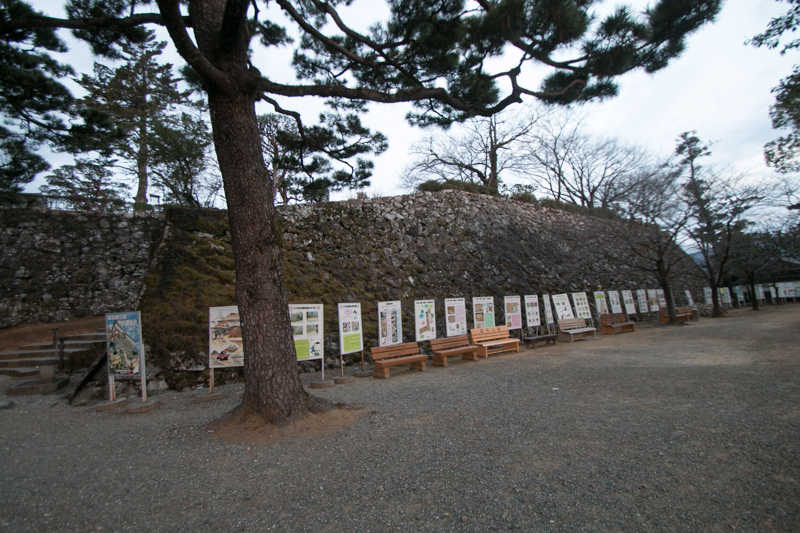 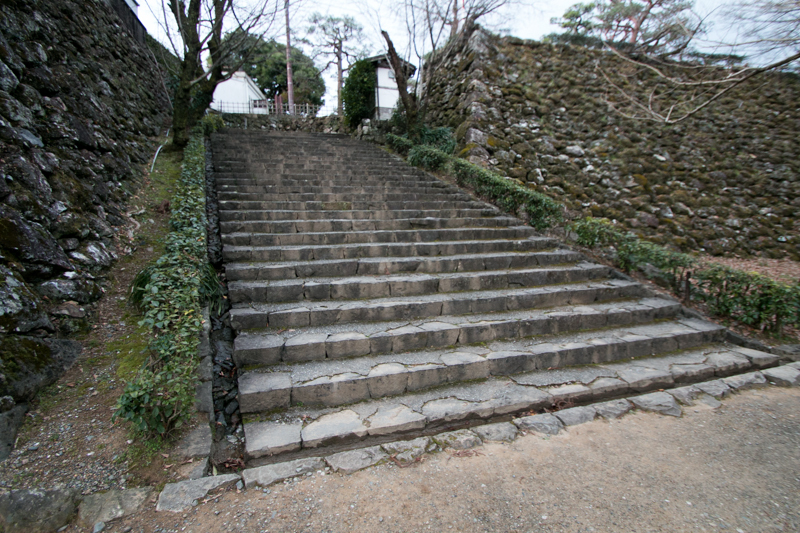 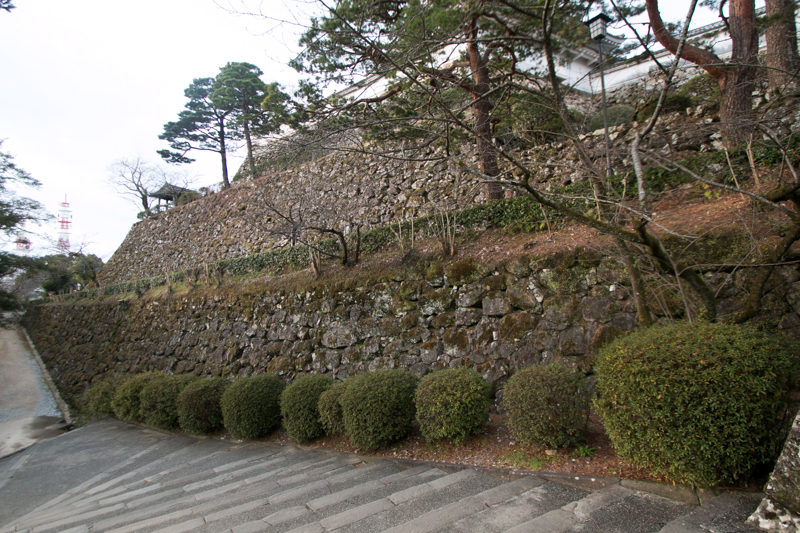 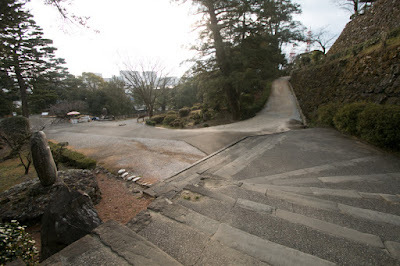 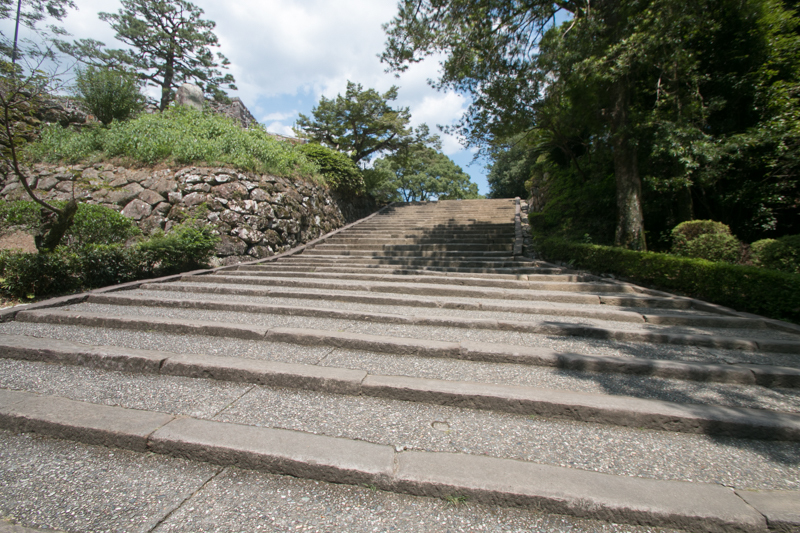 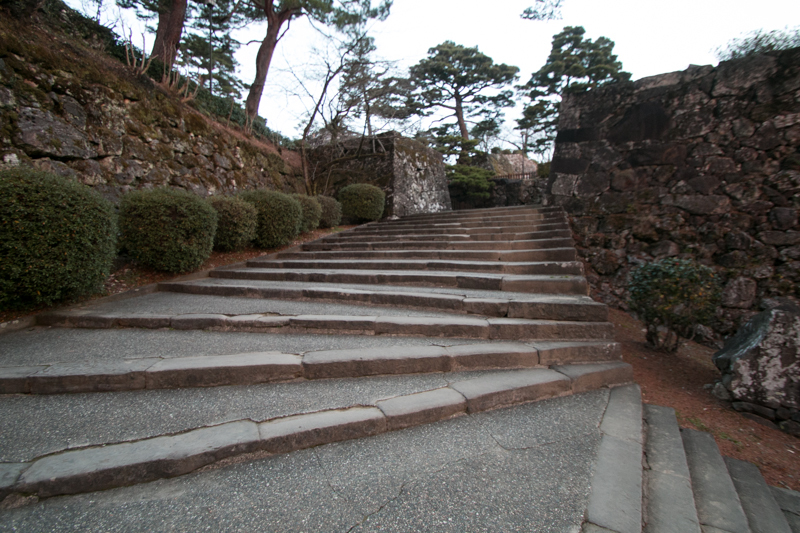 Kochi castle (高知城) is located at Otakayama hill, at the center of Kochi city. 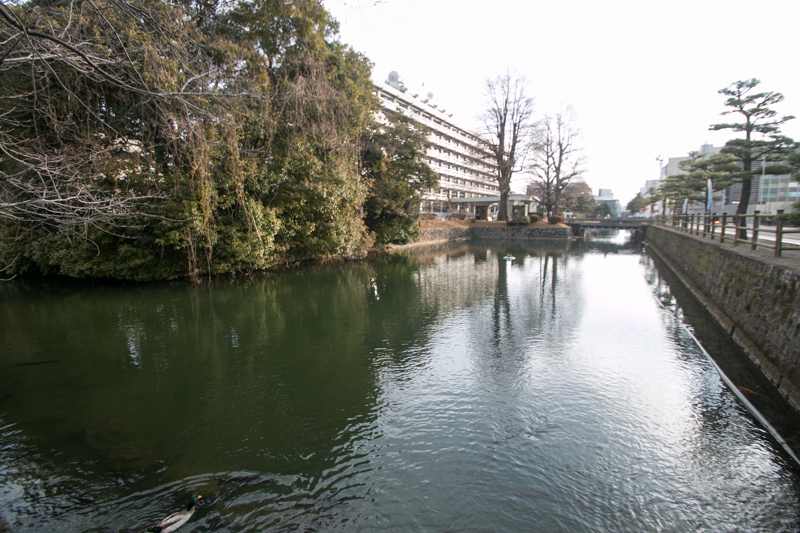 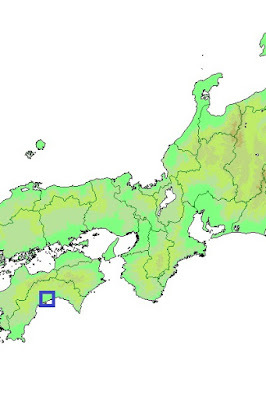 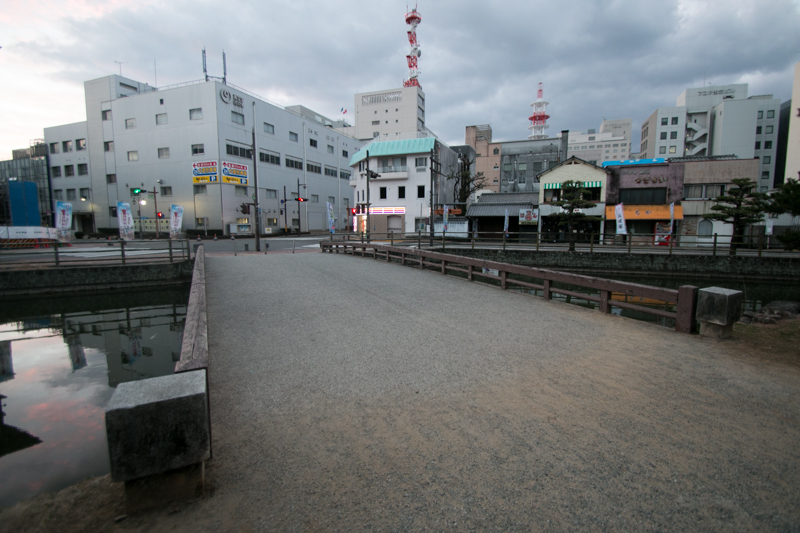 Kochi city is located at the center of Kochi plain, the most prosperous area of Tosa country (Kochi prefecture). 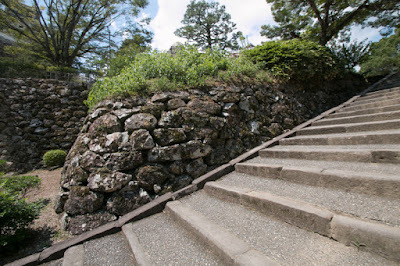 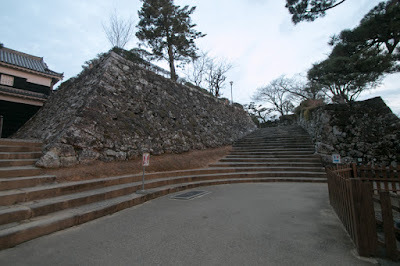 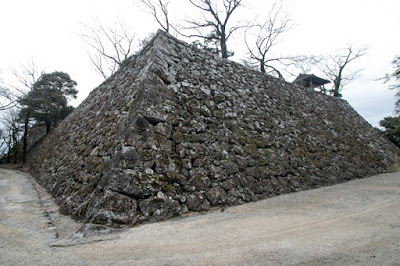 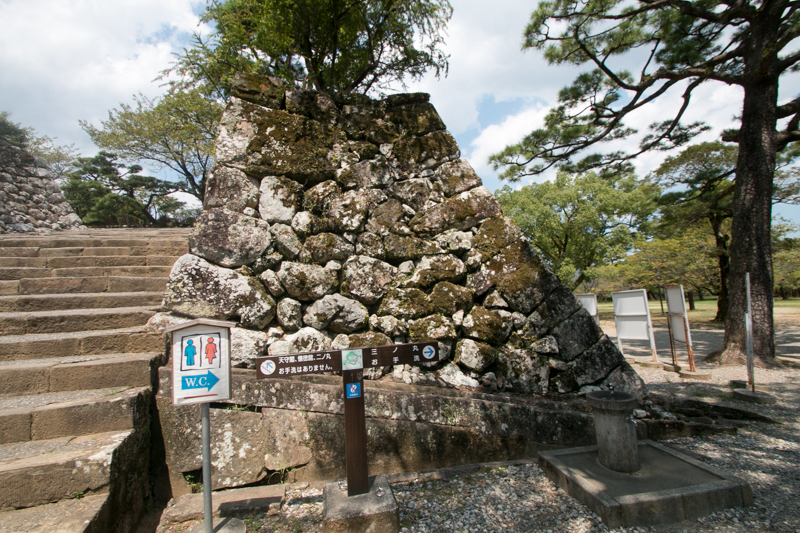 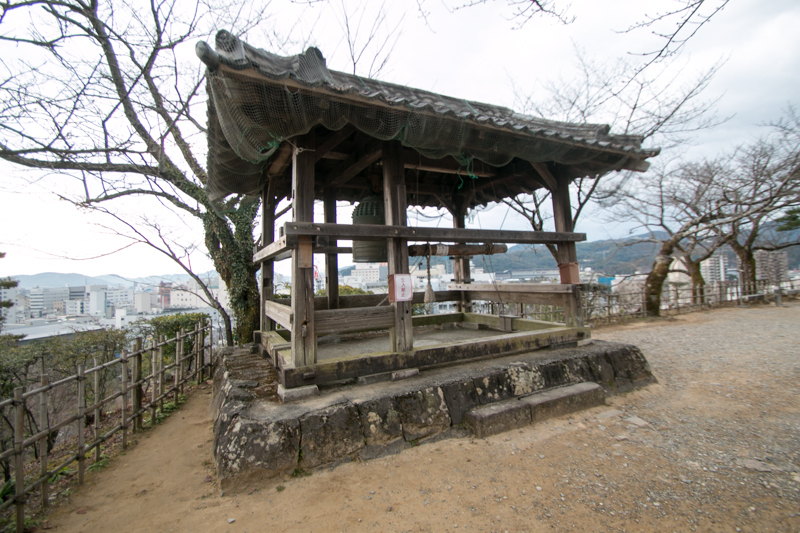 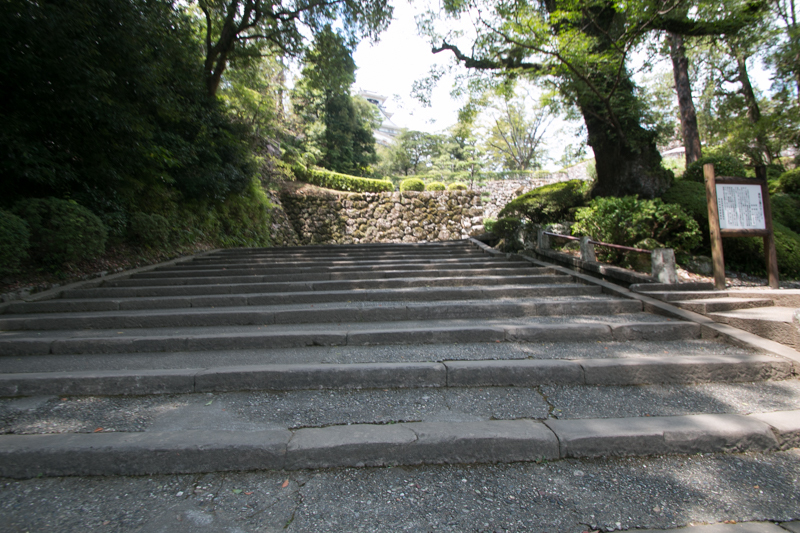 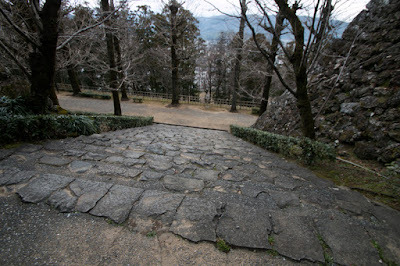 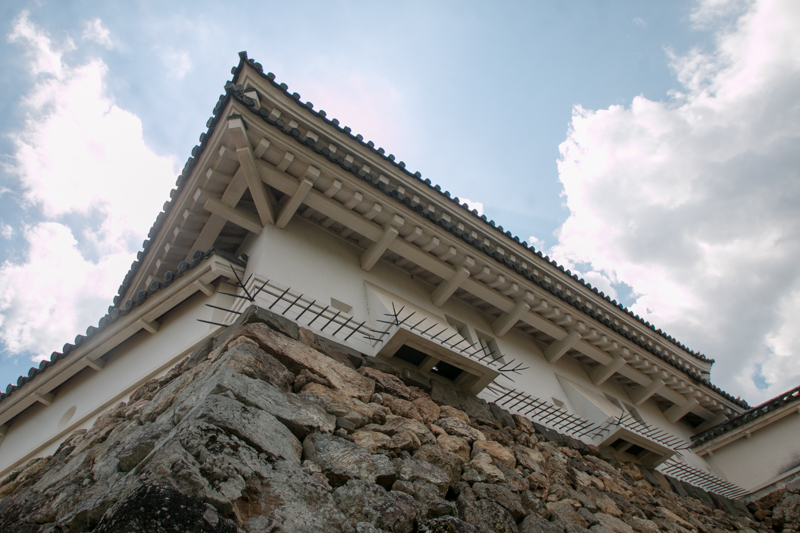 Surrounded by rivers such as Kagamigawa river, Kumagawa river and Kokubugawa river, Otakayama hill is a natural fortress and suitable to build a castle. 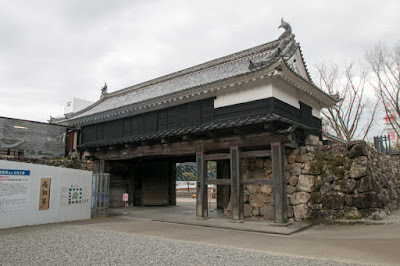 At Kochi plain, in the latter half of 16th century, Motochika Chosokabe (1529-159x) rapidly grew their poser and united Tosa country based on Oko castle, at the northeastern edge of Kochi plain. 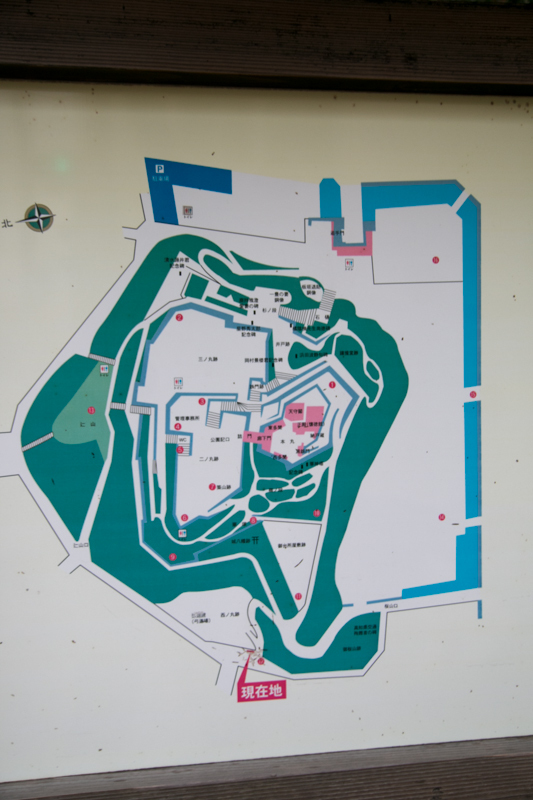 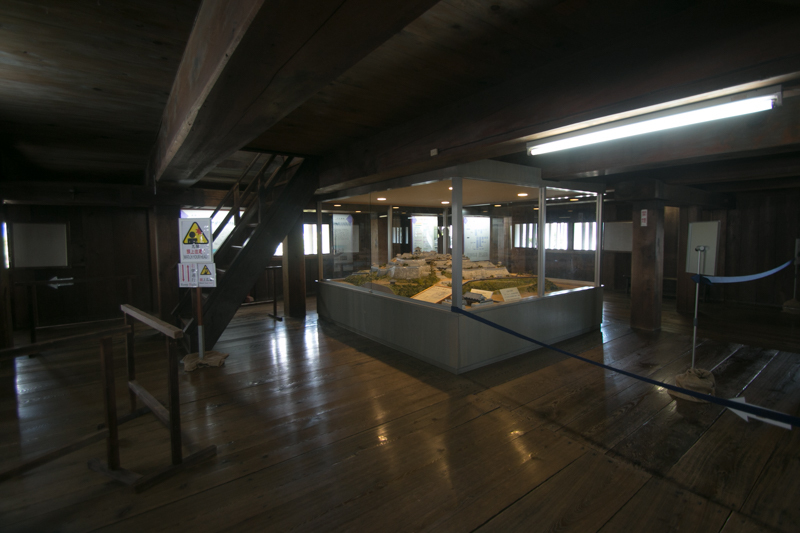 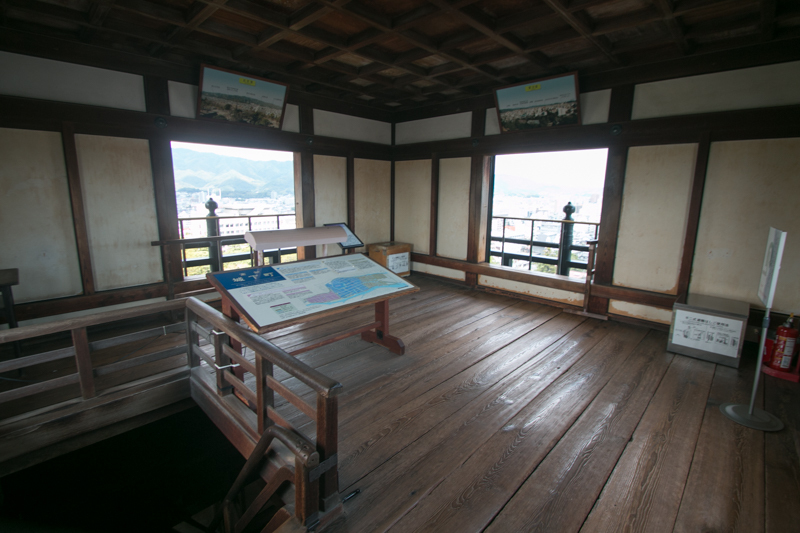 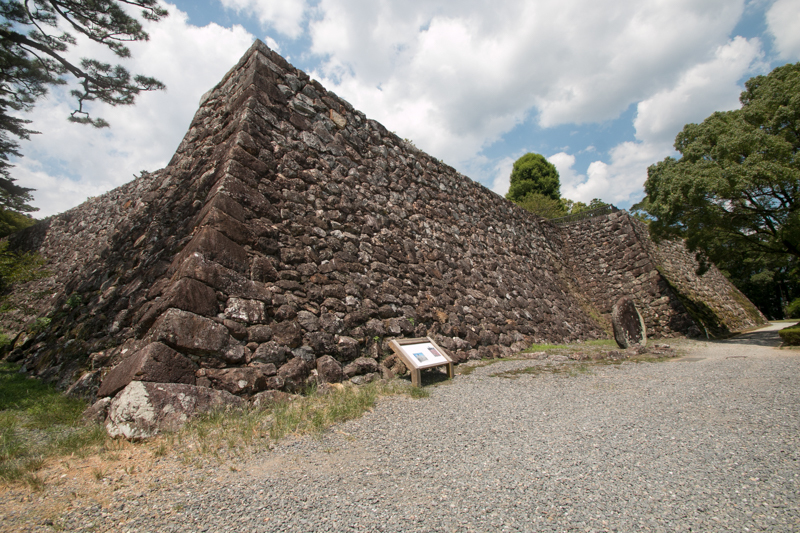 But Oko castle was a mountain castle with limited space for castle and castle town, and also apart from the center of Kochi plain. 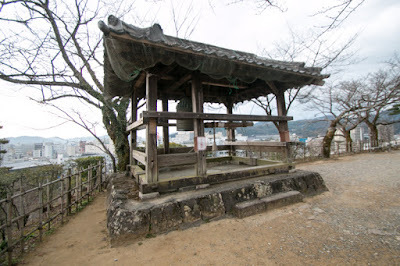 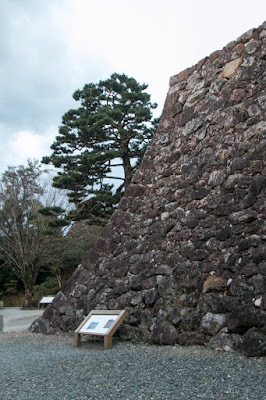 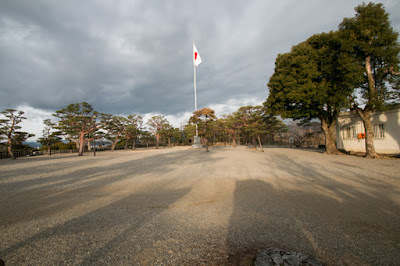 Chosokabe clan gave priority to unification of Shikoku island and kept using Oko castle, but in 1585 they were defeated by central ruler Hideyoshi Toyotomi (1537-1598) at Shikoku campaign and had to abandon this target. 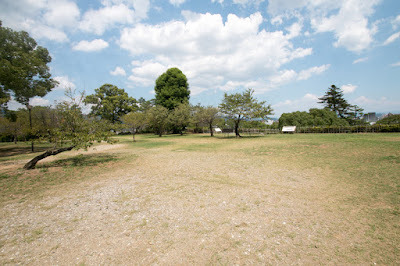 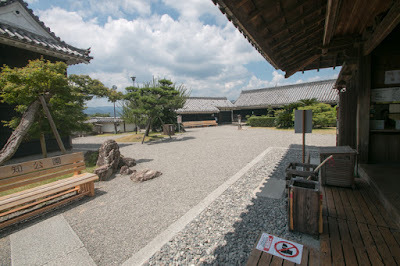 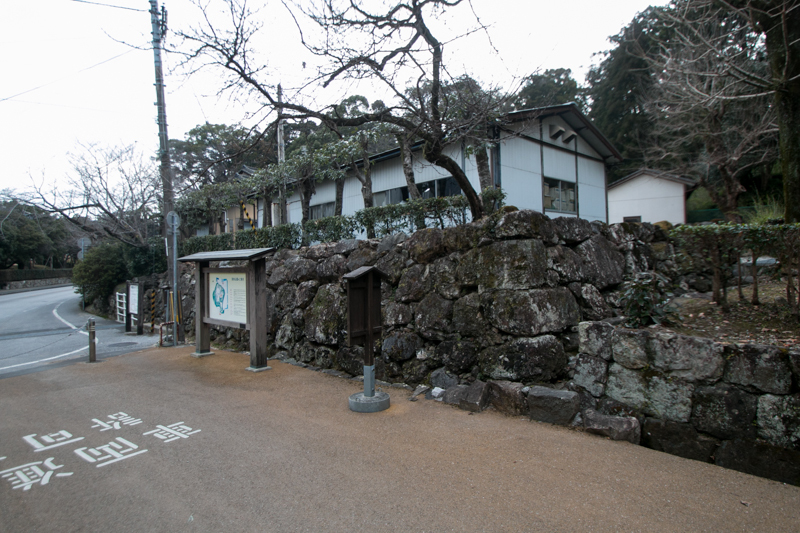 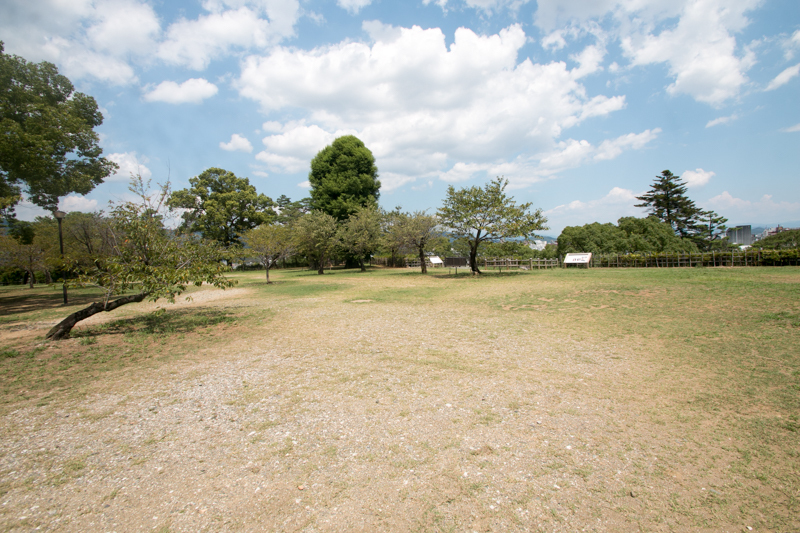 The territory of Chosokabe clan was decreased to only Tosa country, and as a feudal lord under Toyotomi government Chosokabe clan started new period. 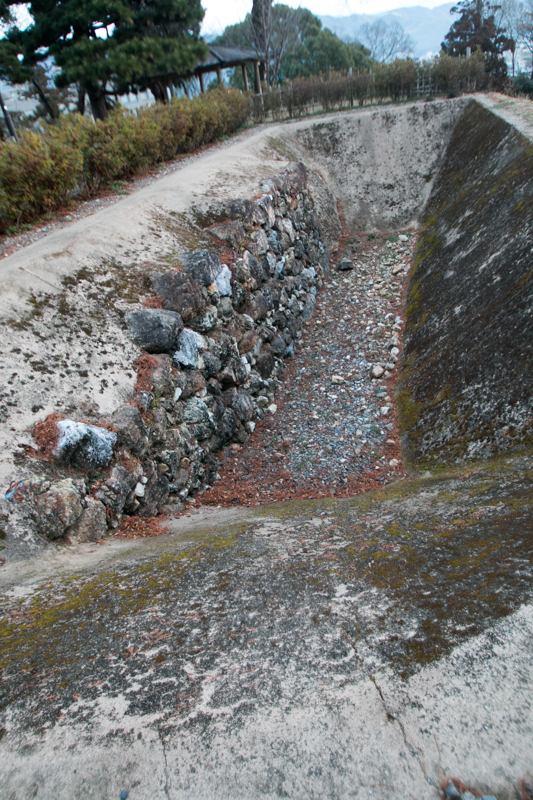 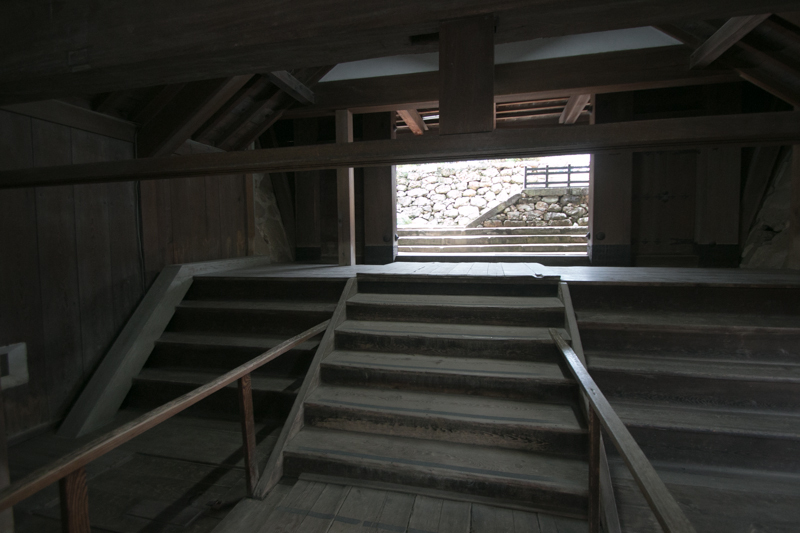 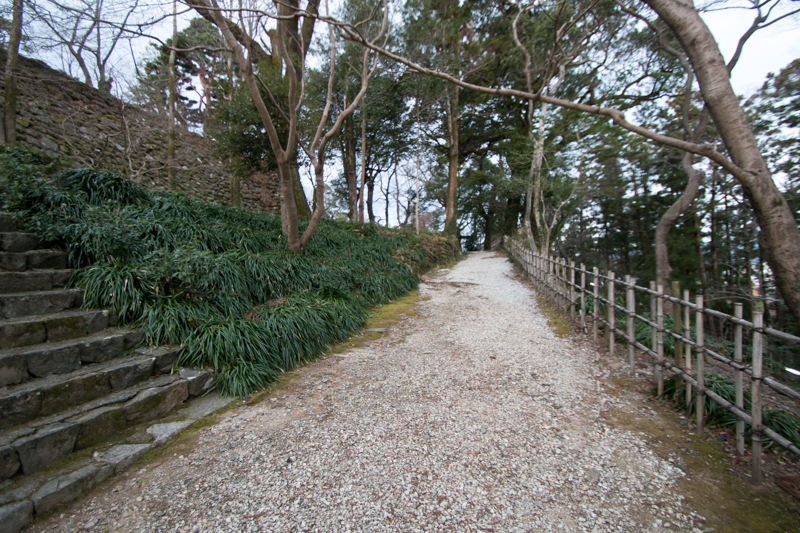 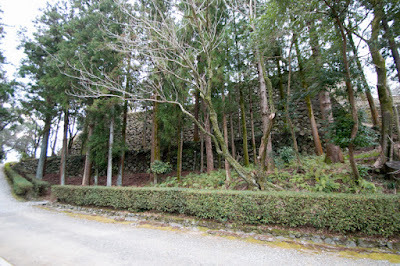 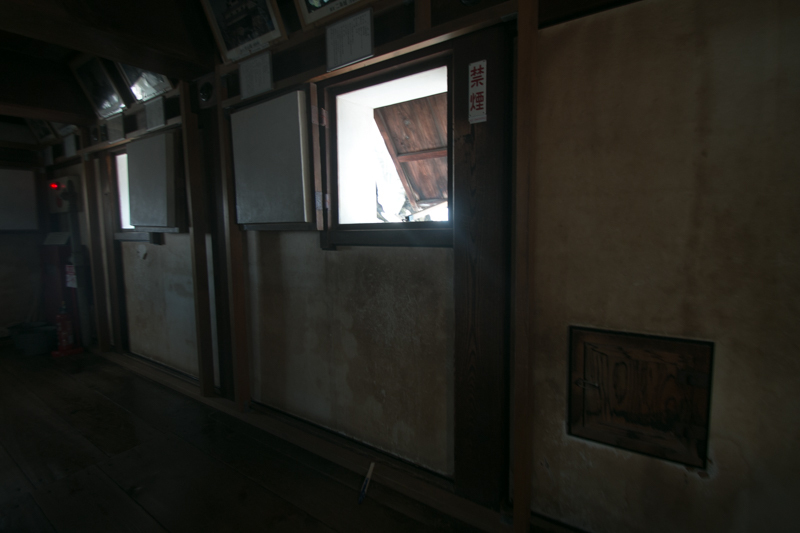 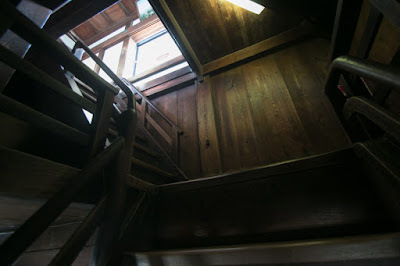 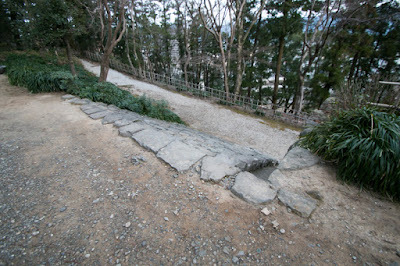 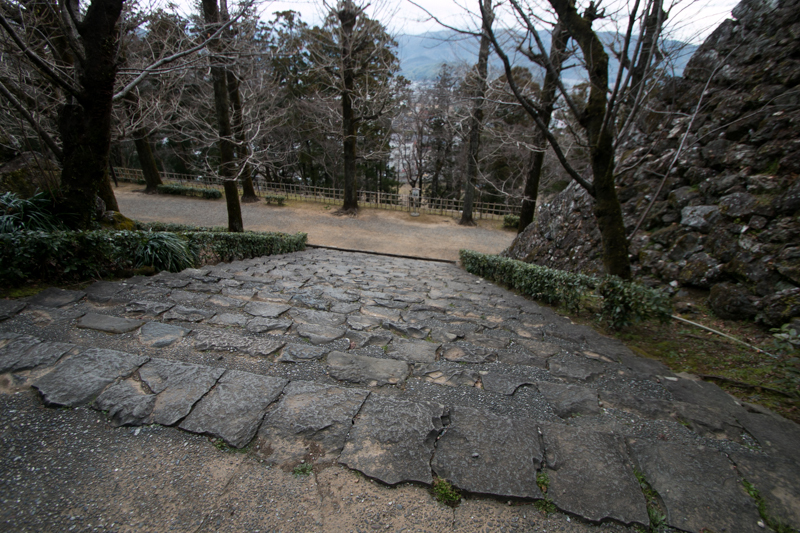 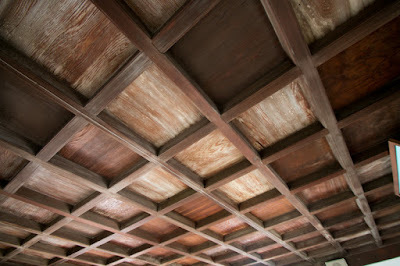 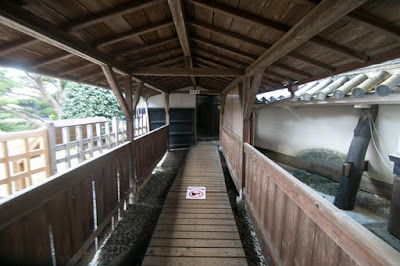 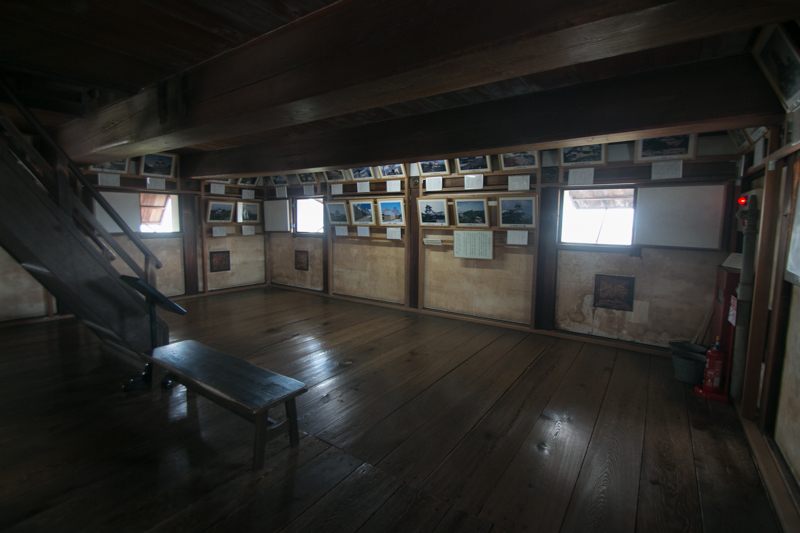 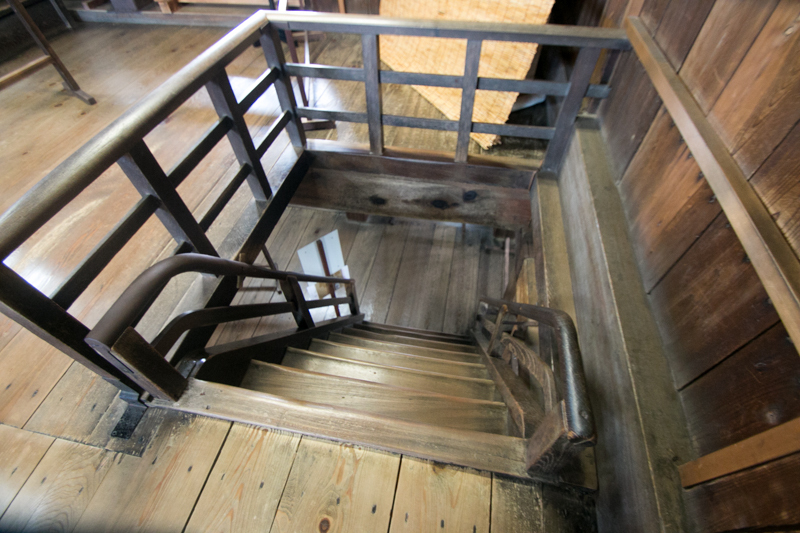 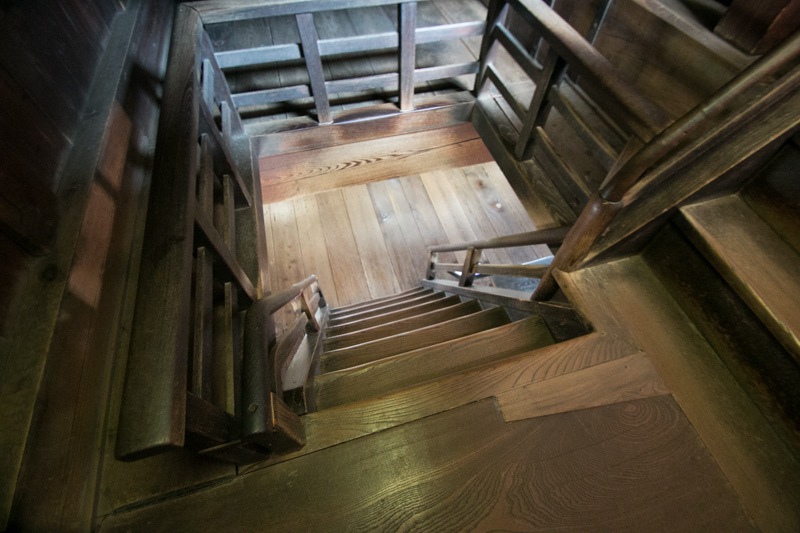 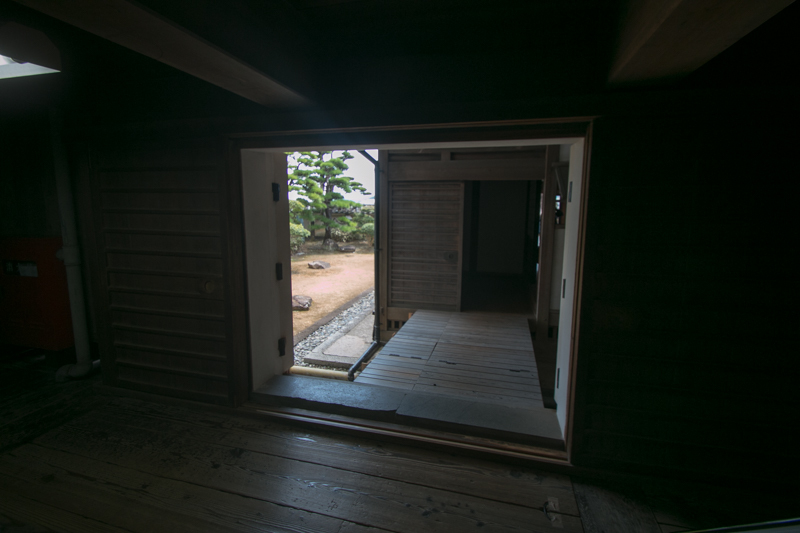 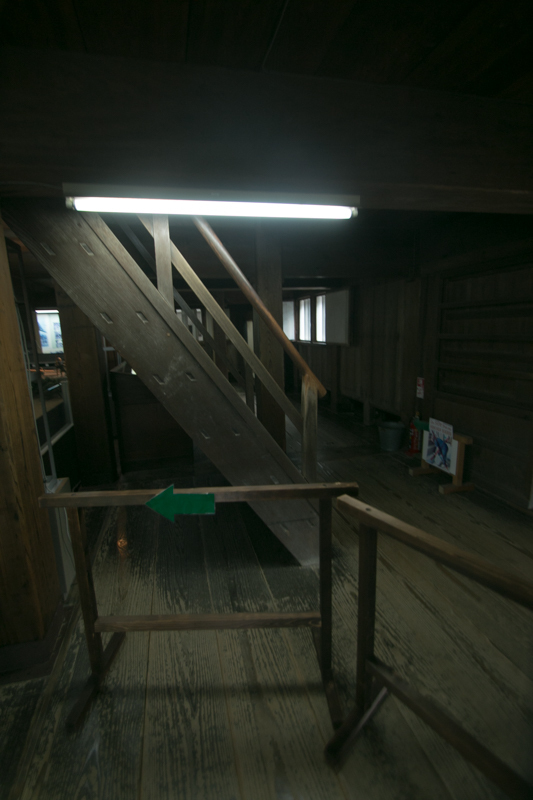 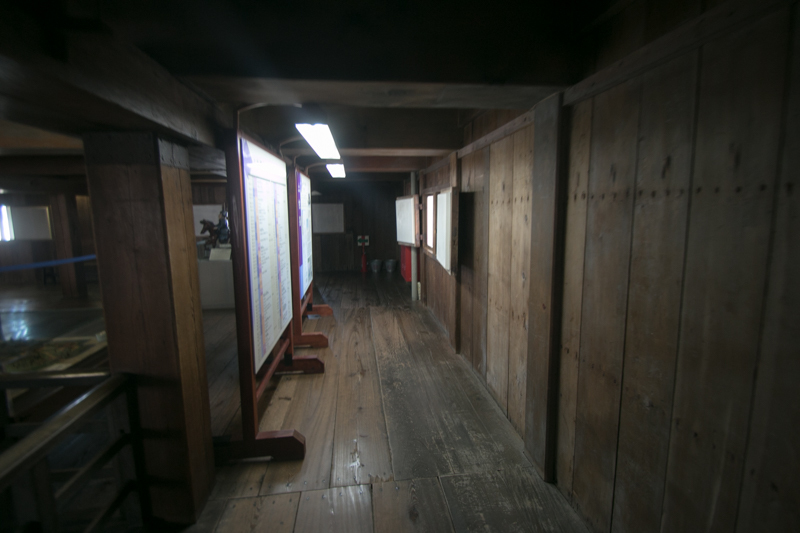 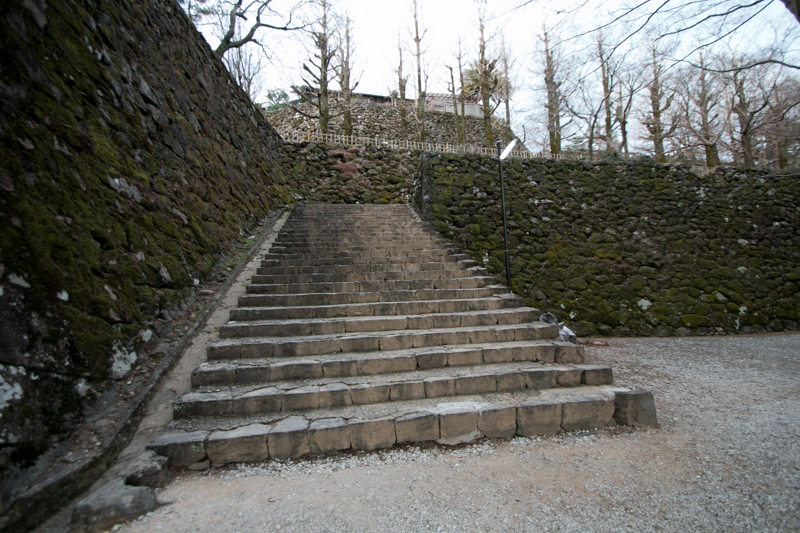 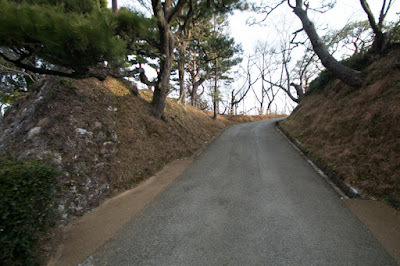 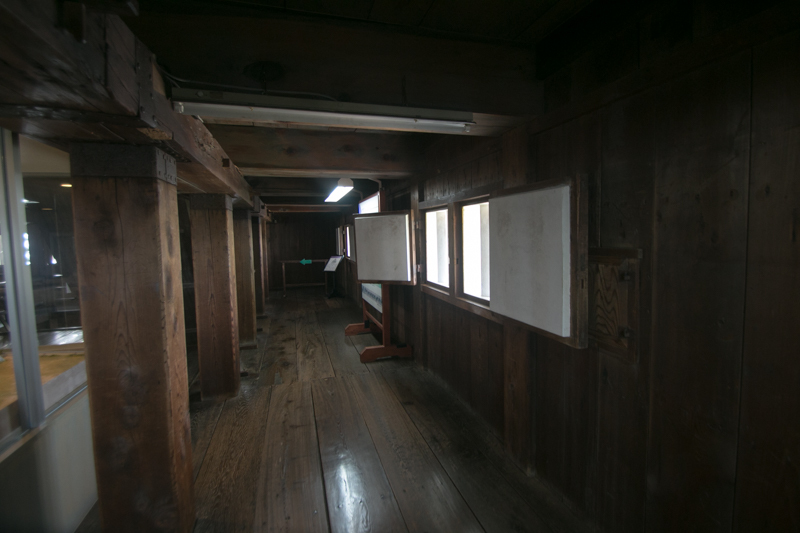 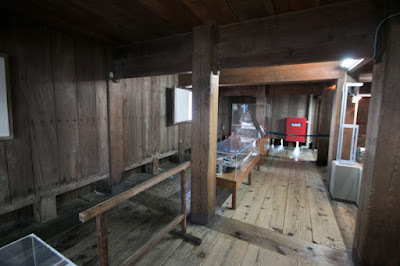 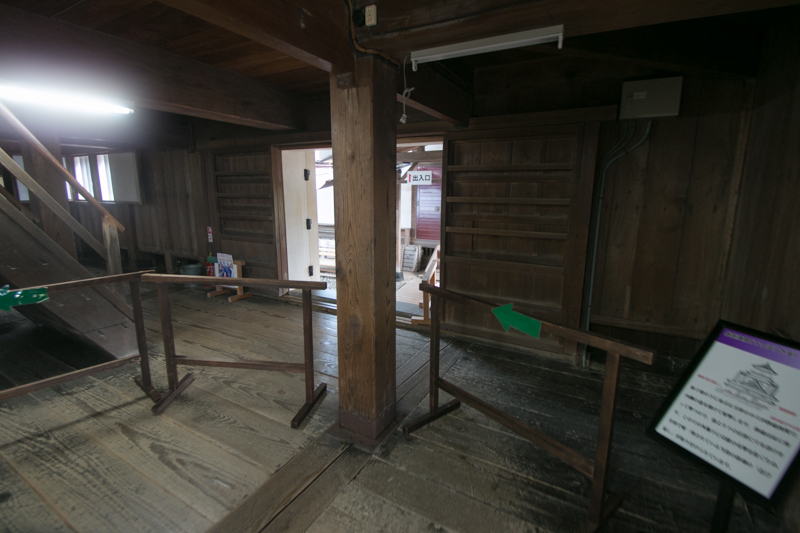 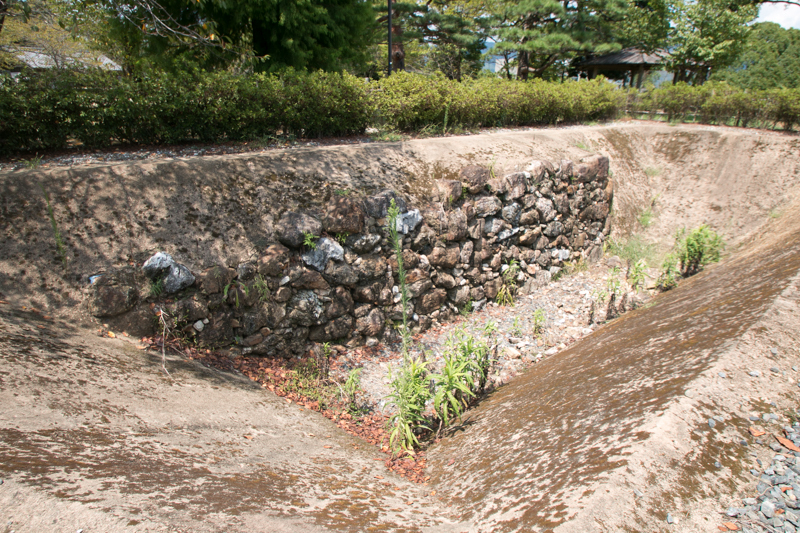 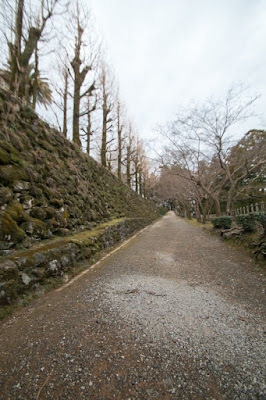 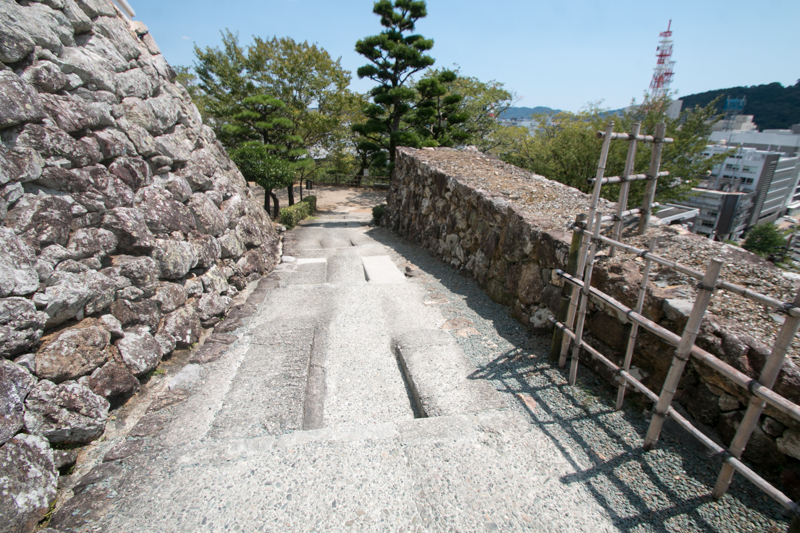 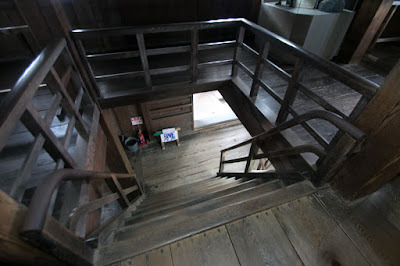 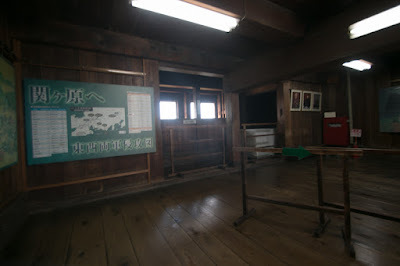 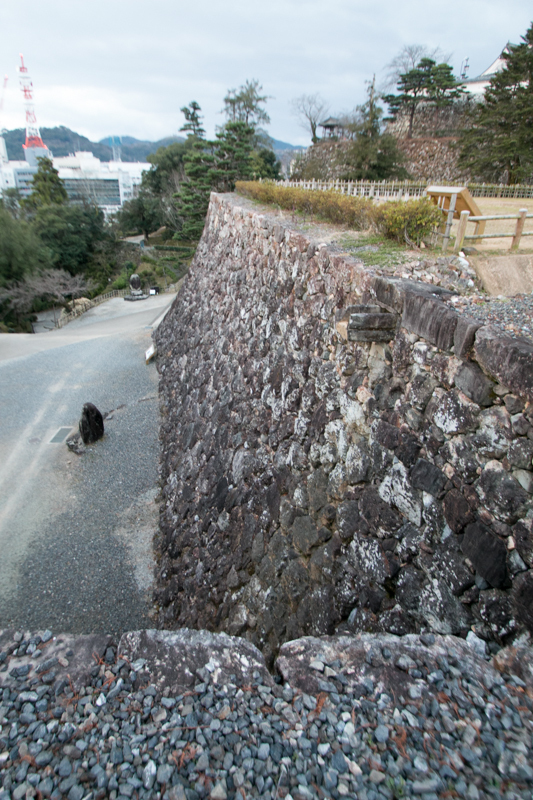 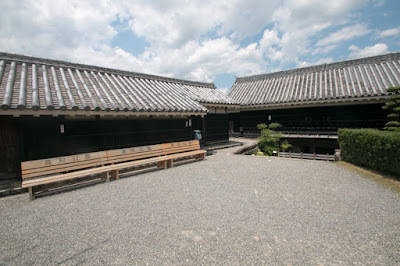 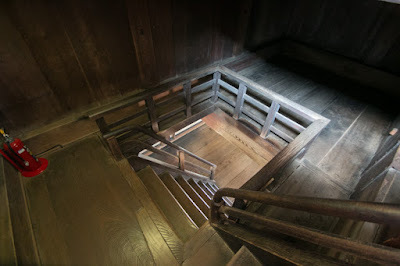 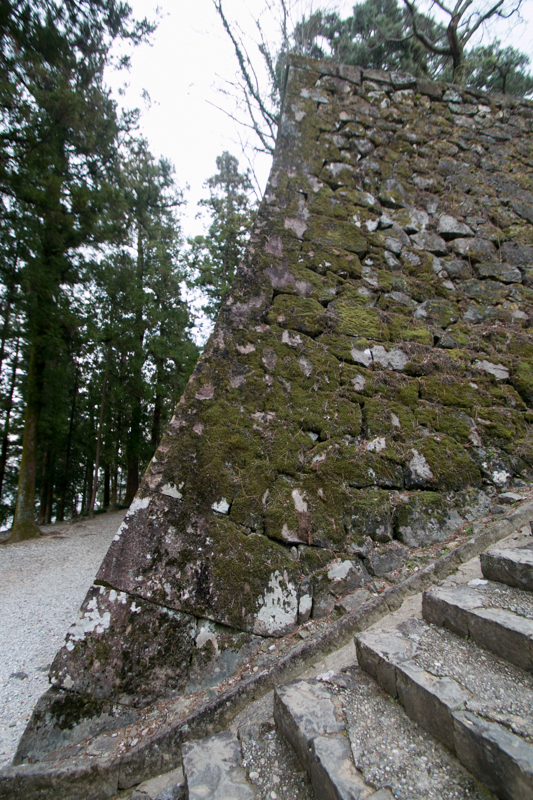 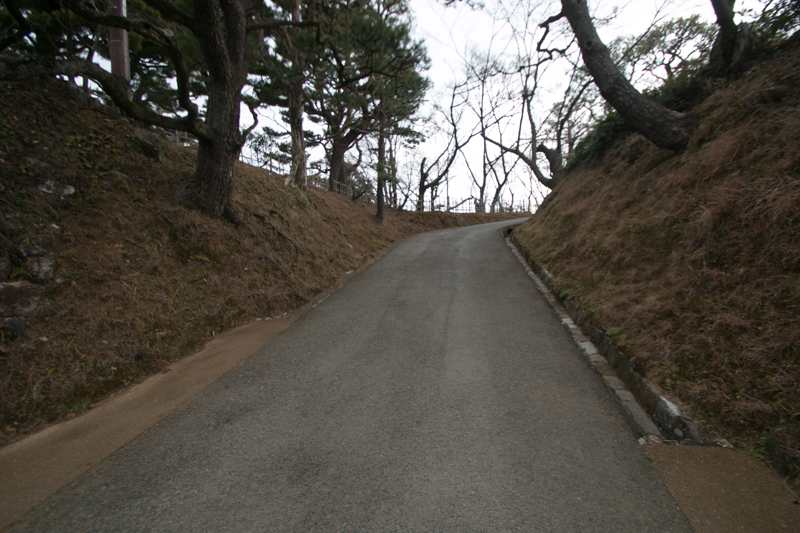 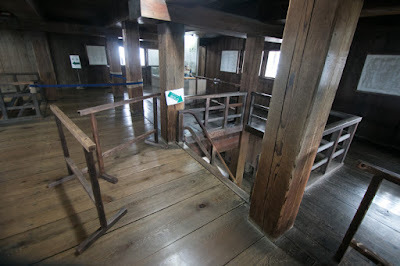 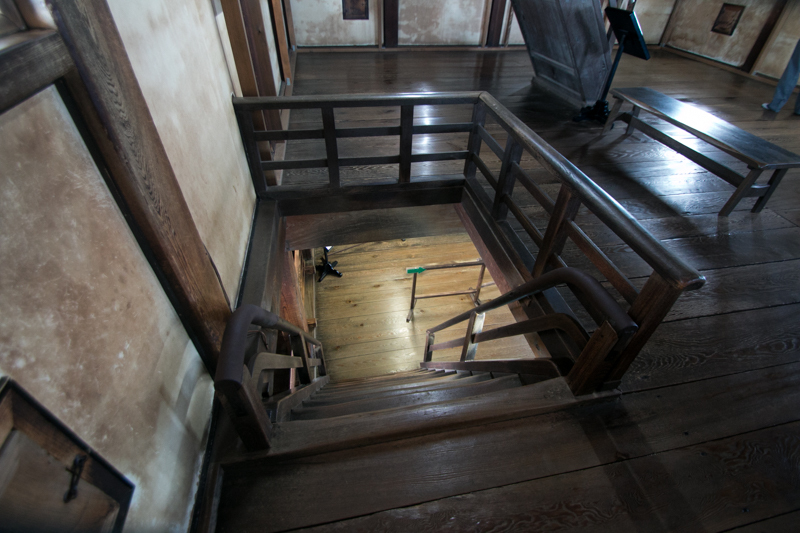 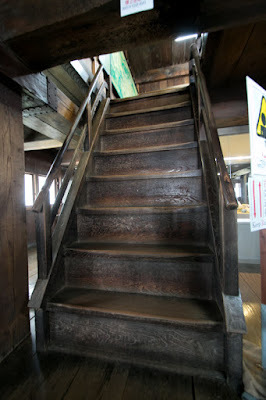 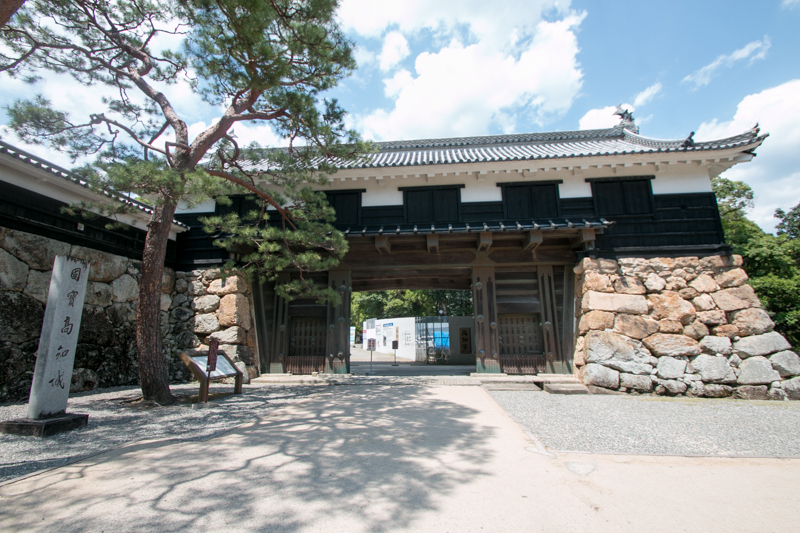 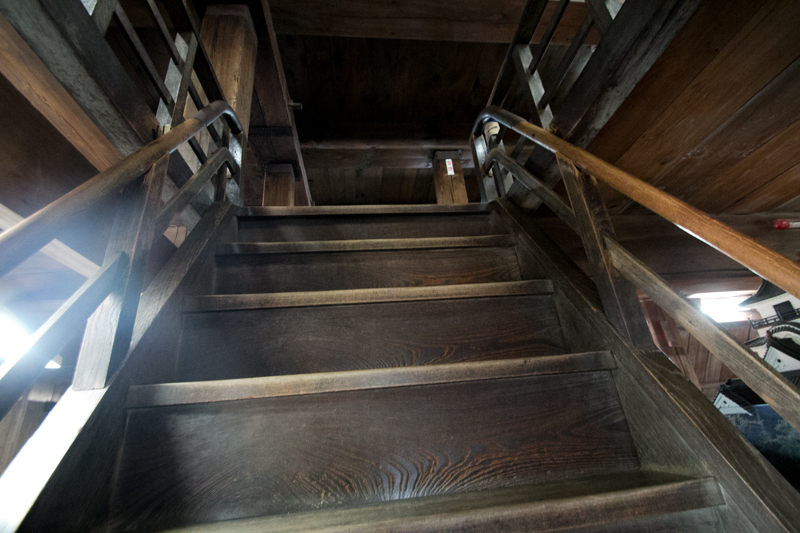 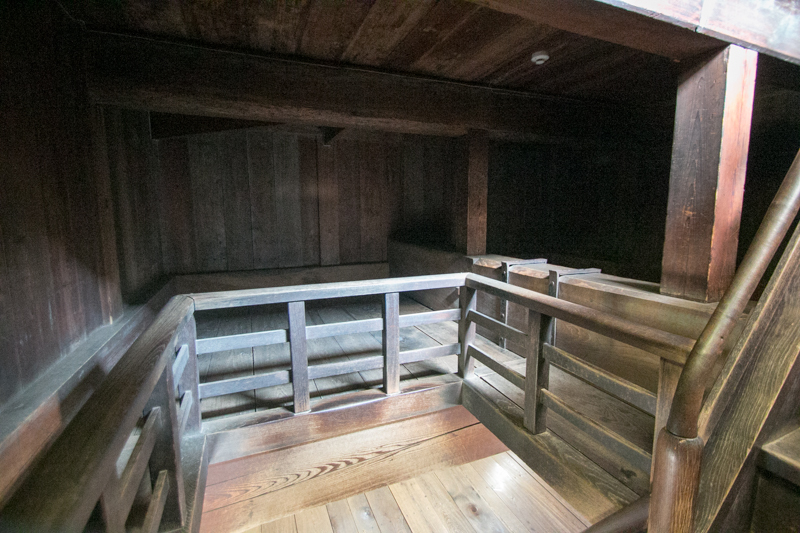 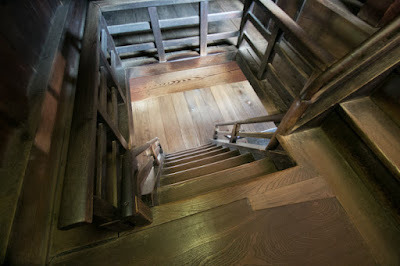 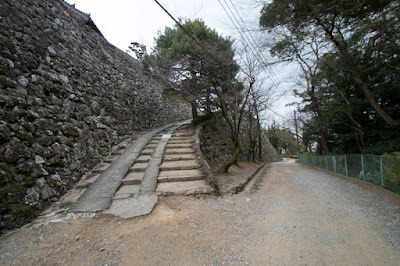 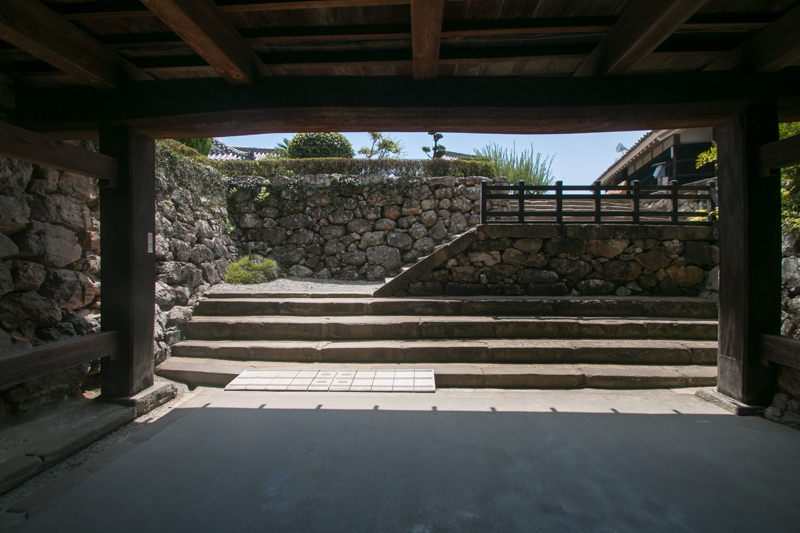 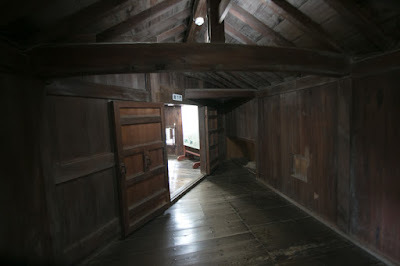 Under such situation, in 1587, Motochika started to build a new modern castle at Otakayama hill. 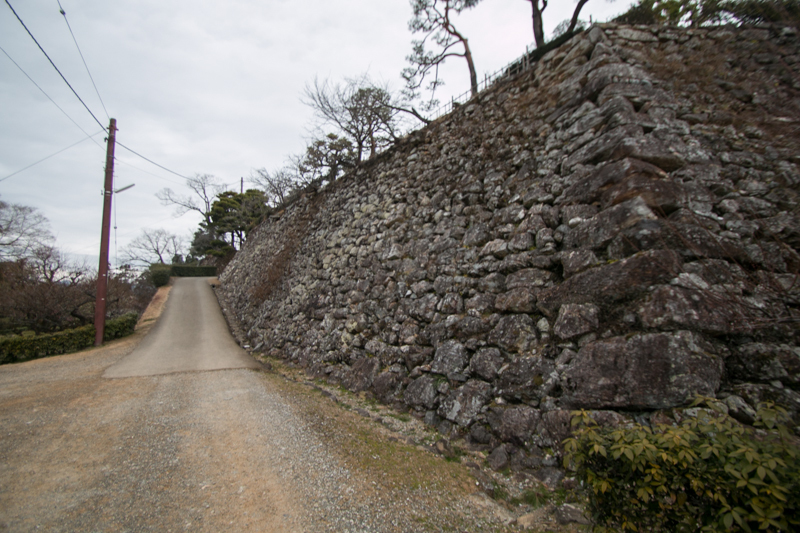 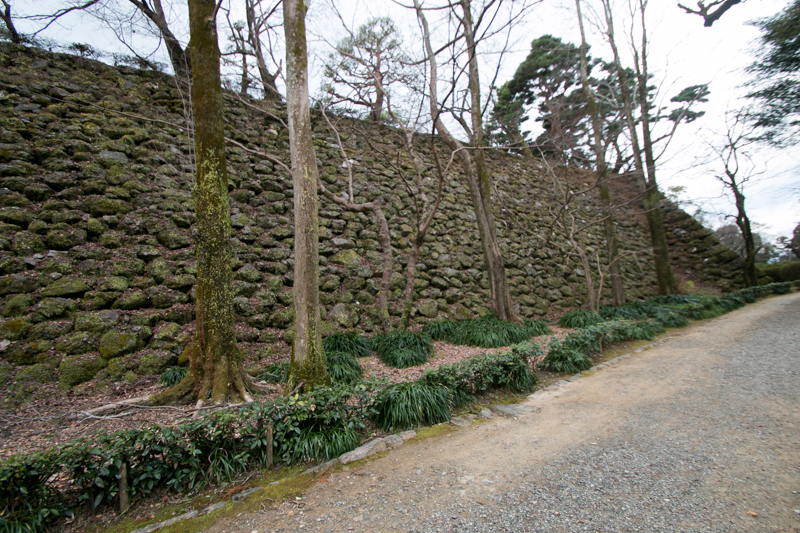 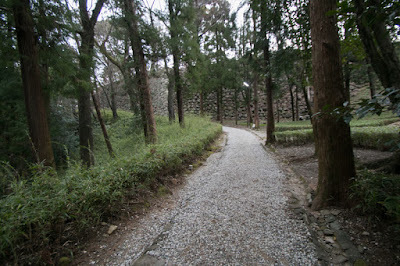 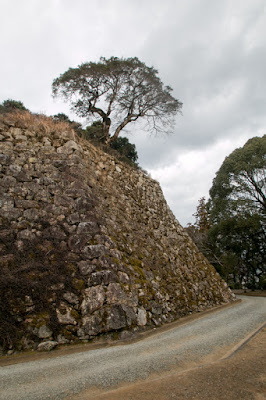 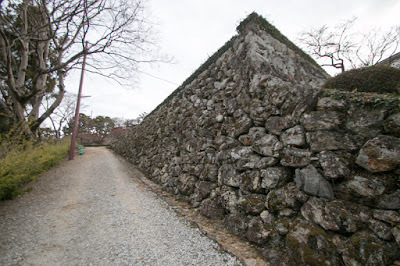 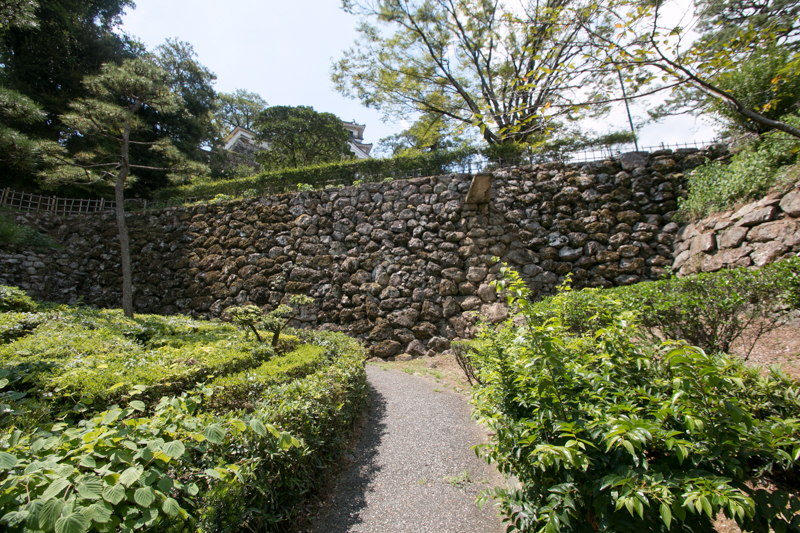 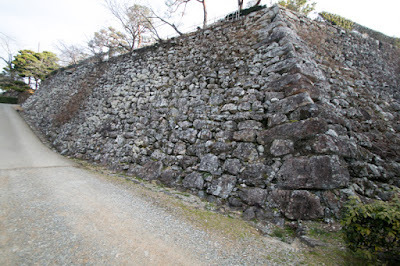 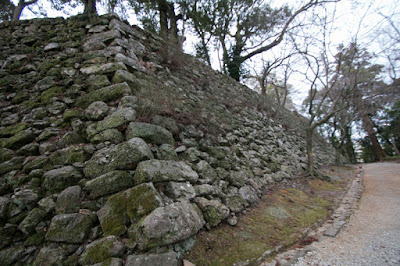 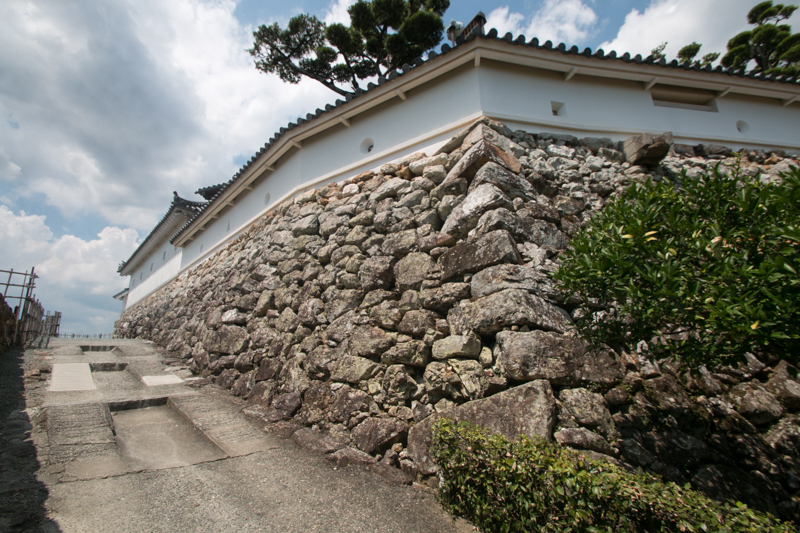 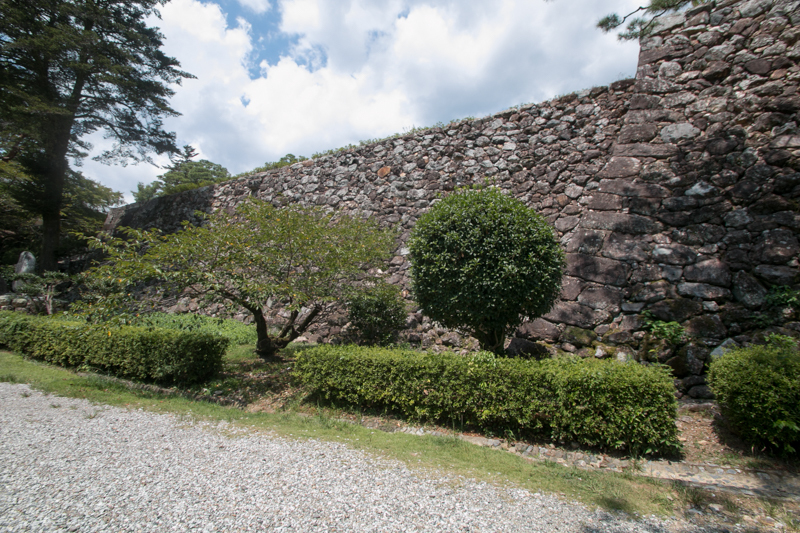 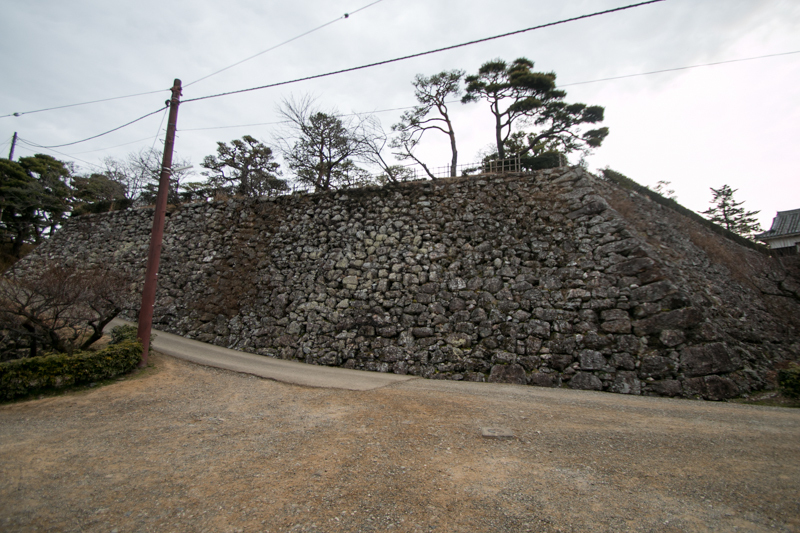 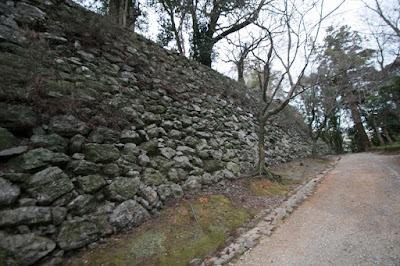 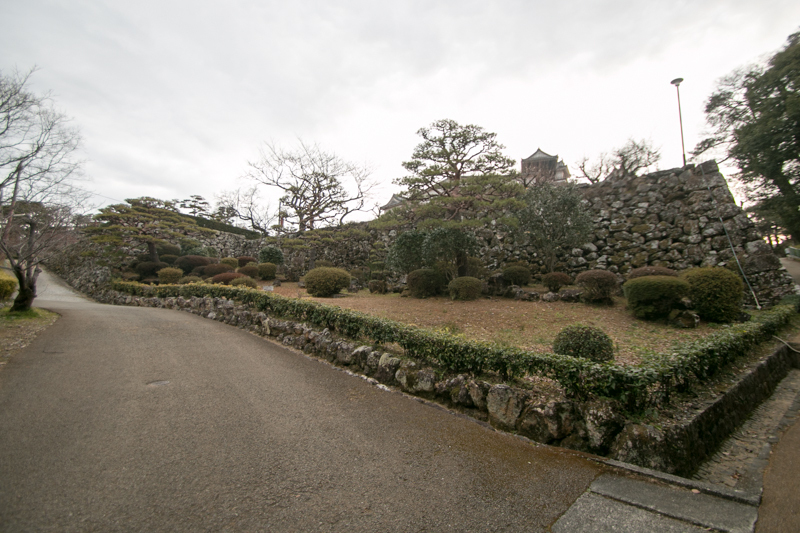 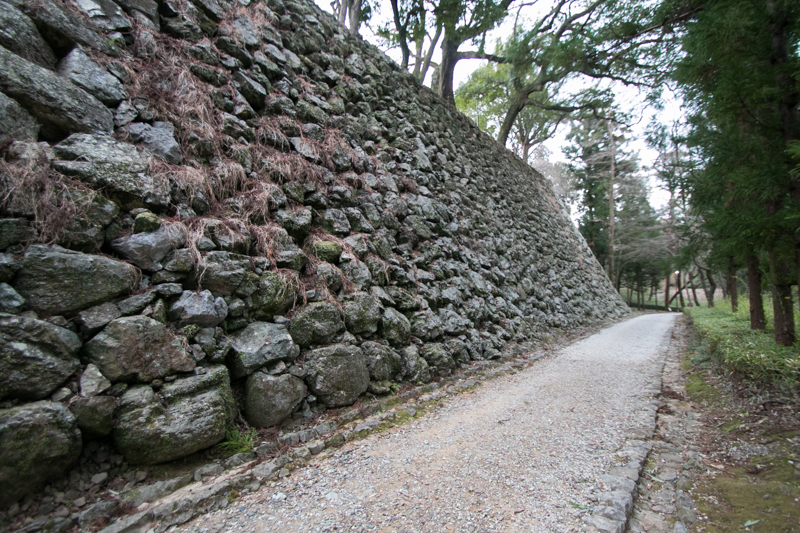 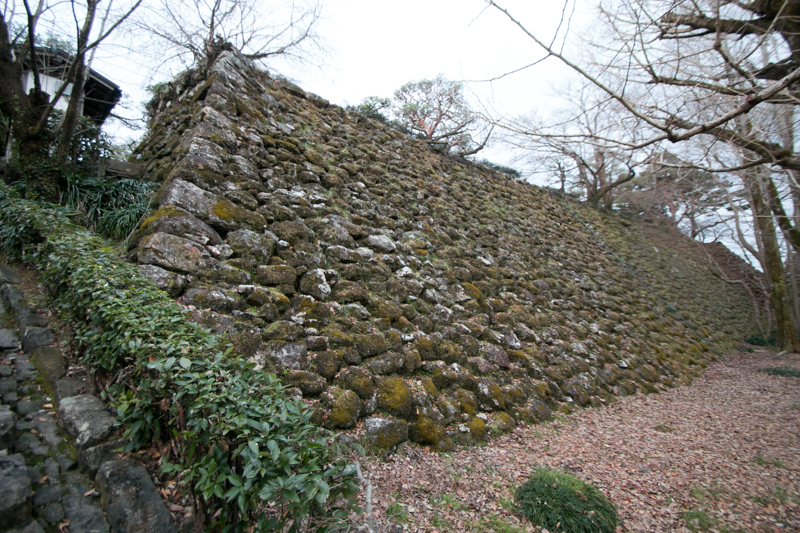 Originally there was a small fort from medieval era, but Motochika totally rebuilt a new modern castle guarded by stone wall. 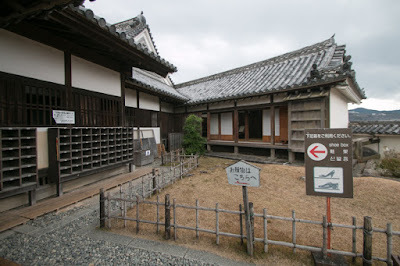 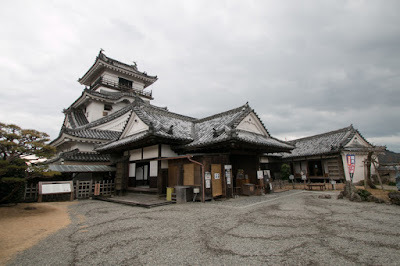 Once Otakayama castle was completed and Motochika moved to there, but shortly after that Motochika built Urado castle at Katsurayama area, where is more closer to Pacific ocean, and moved there. 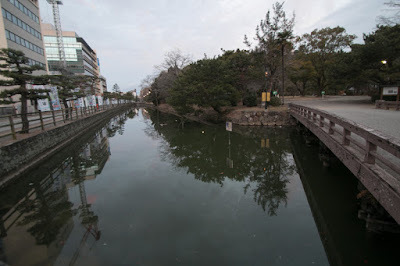 The reason of movement is said as the danger of severe floods in current Kochi city, and another reason is said that Hideyoshi ordered Motochika to move to seaside area where is more convenient to control naval force directly. Naval force of Chosokabe clan activated in the Odawara campaing against Hojyo clan in 1590, and foreign expeditions after that. 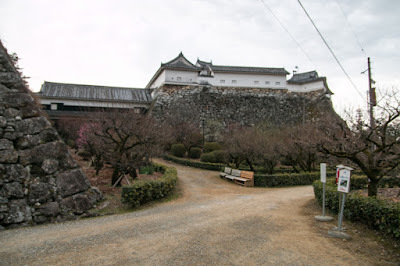 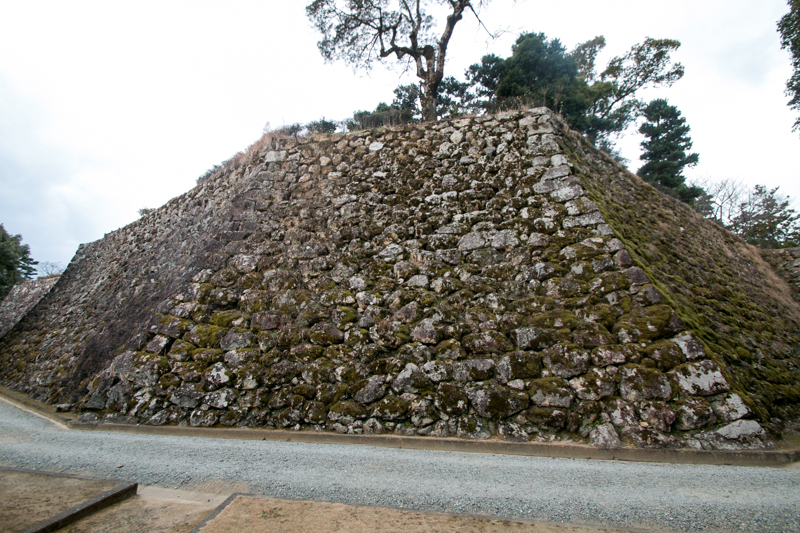 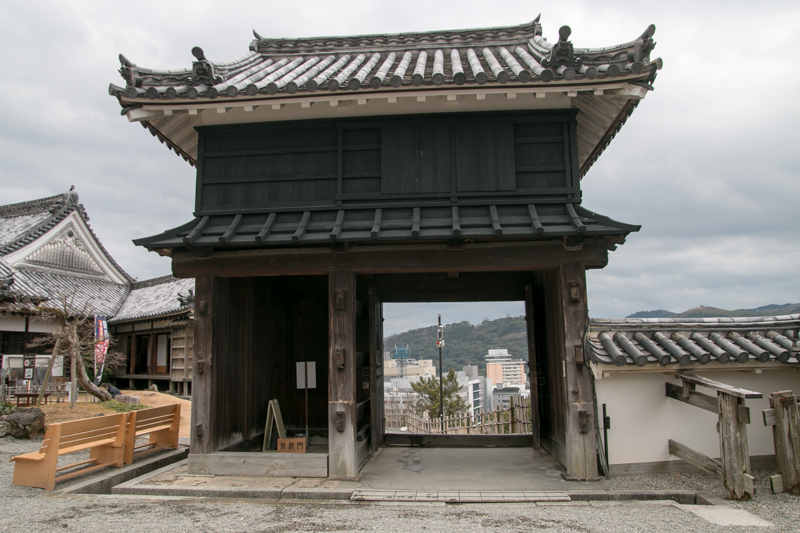 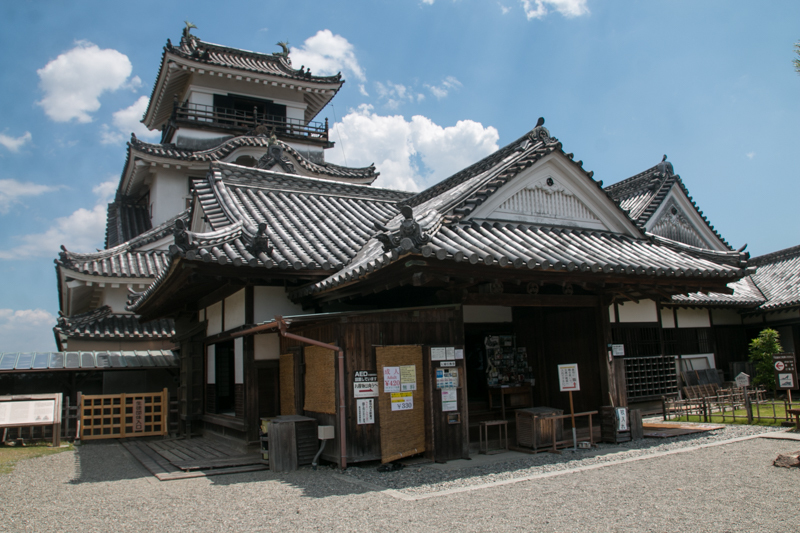 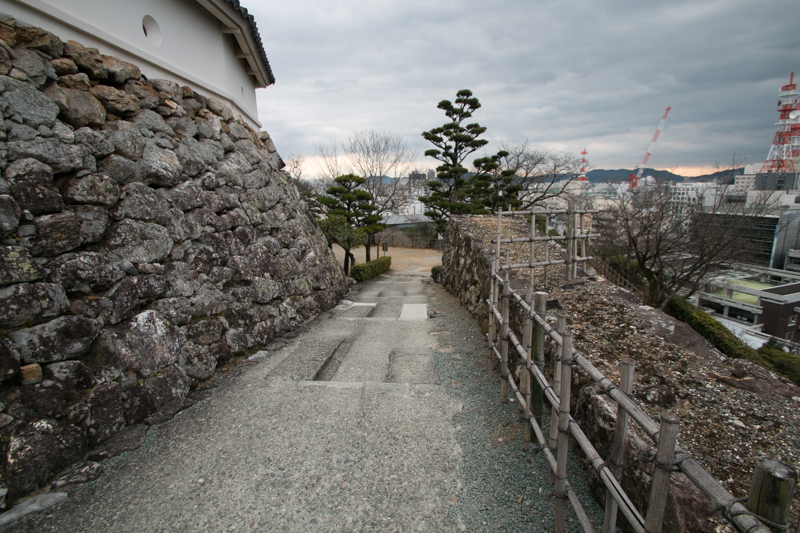 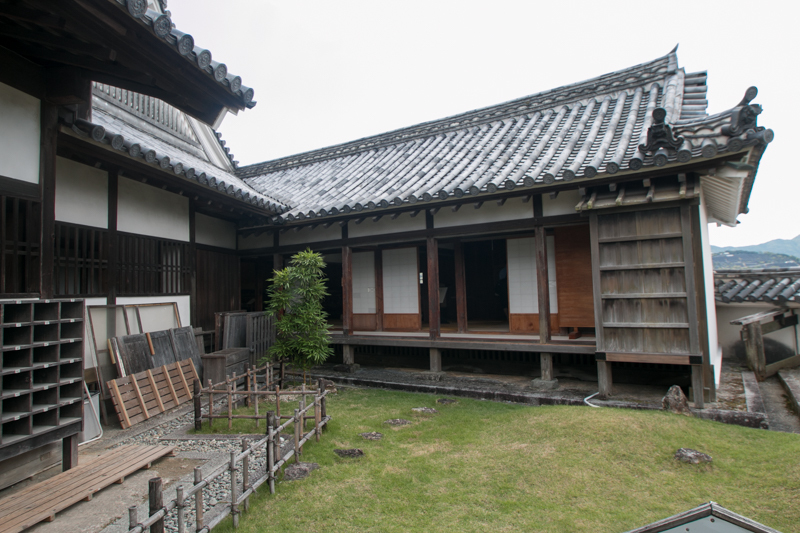 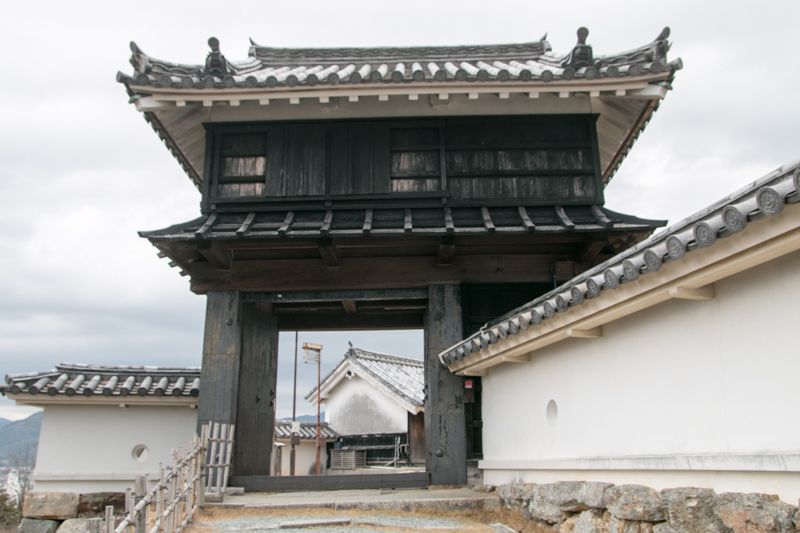 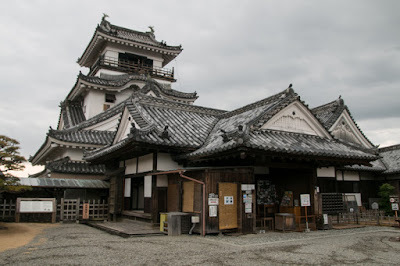 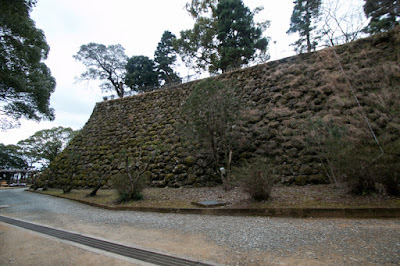 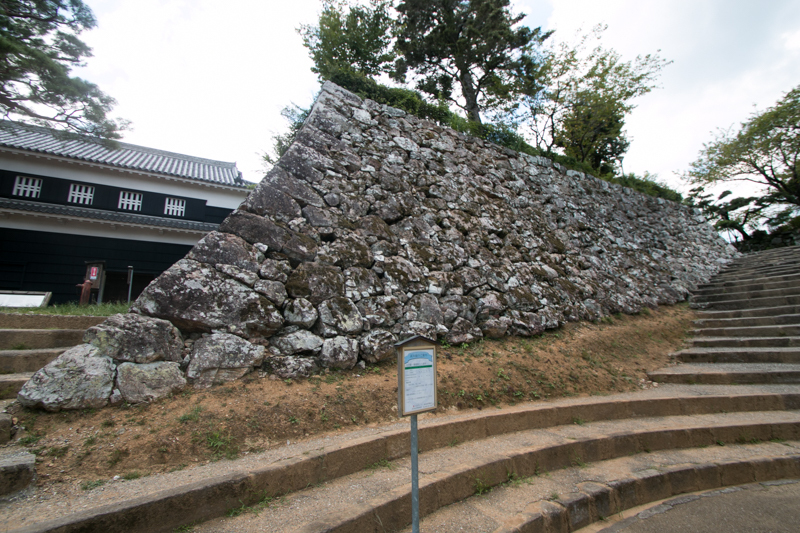 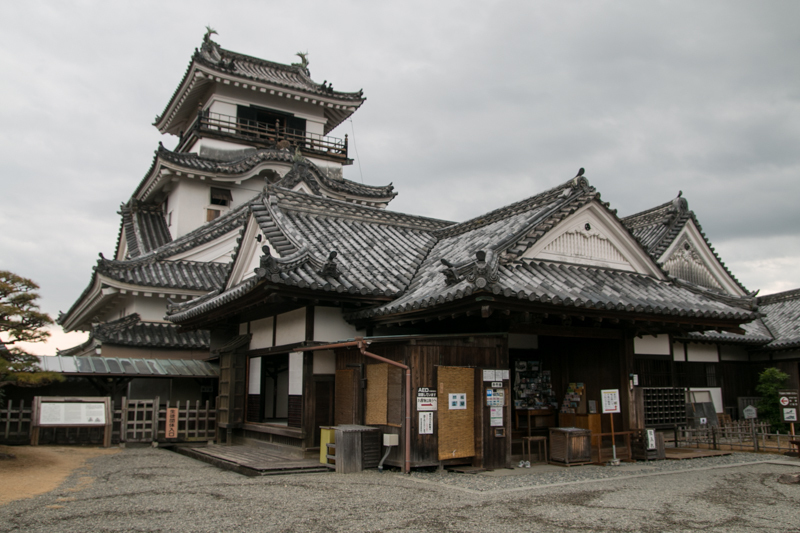 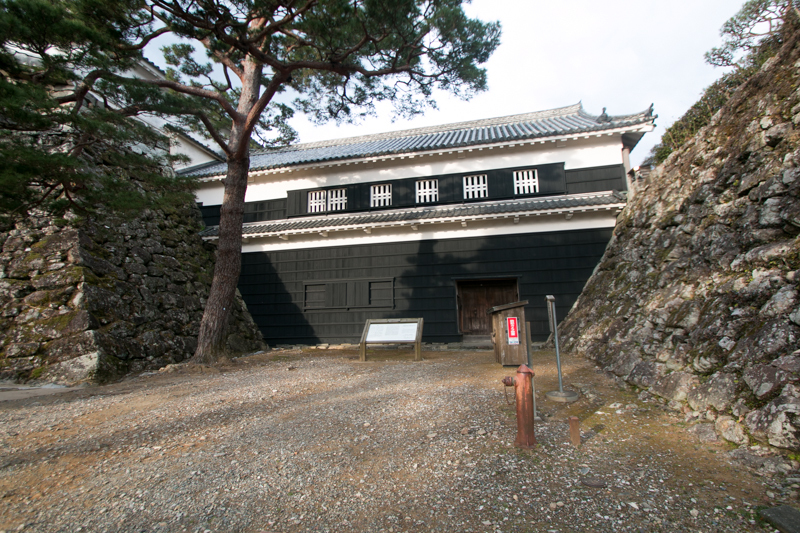 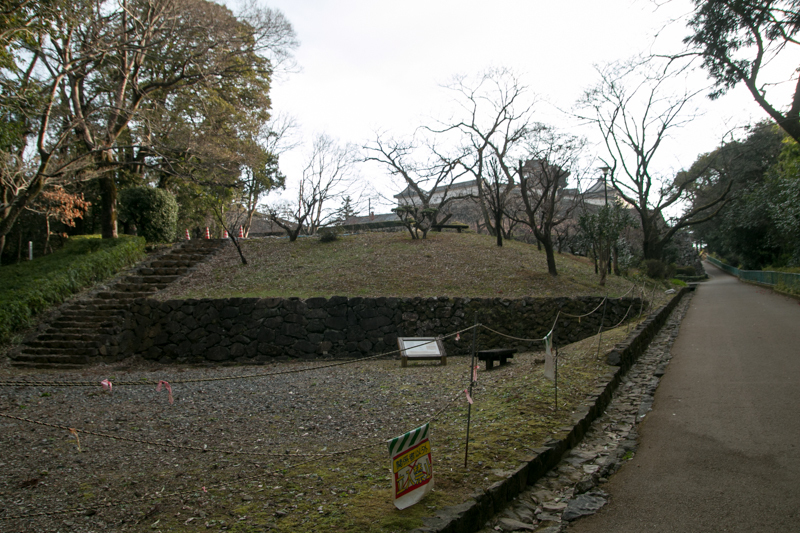 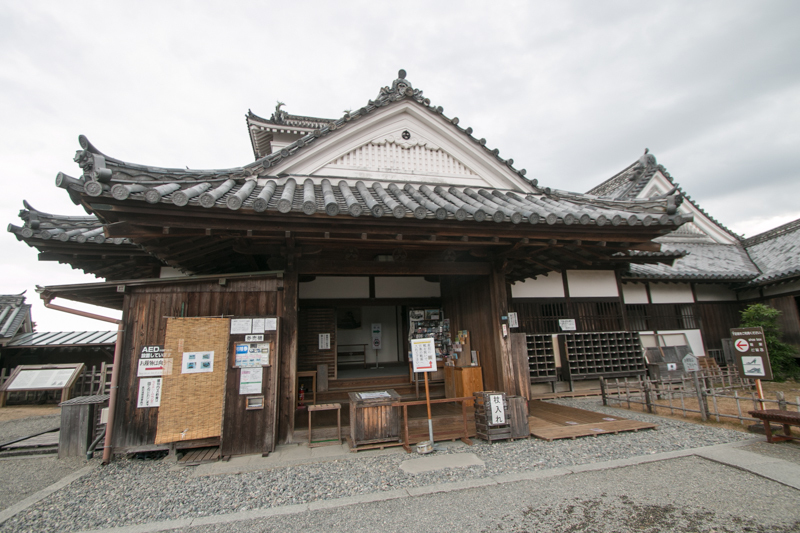 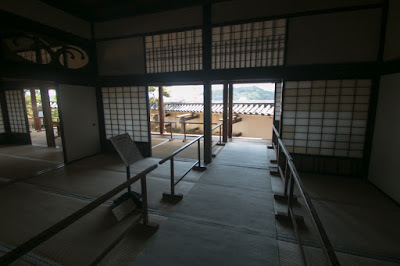 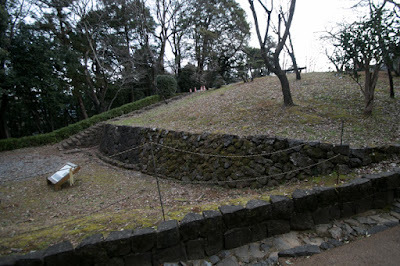 It is uncertain Kochi castle was abandoned or kept during this period, but Urado castle seems temporary castle only equipped clay walls, and Otakayama castle might be kept for future return. 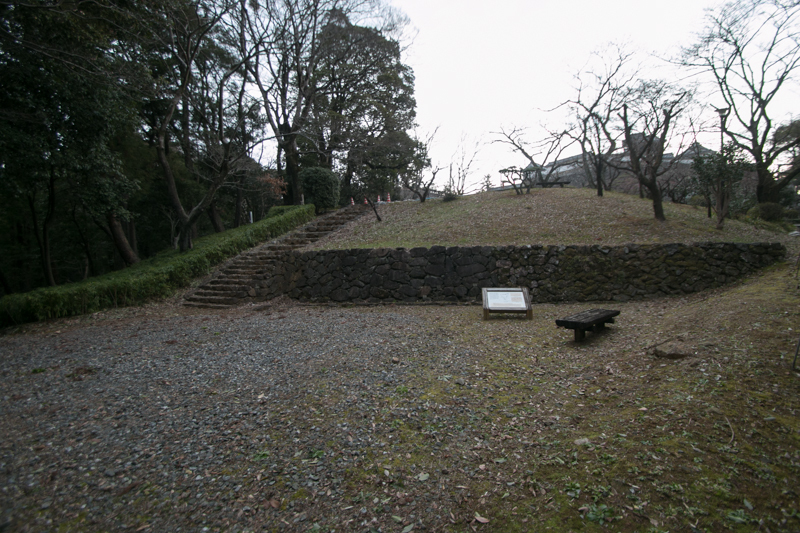 But in 1600, as a result of the battle of Sekigahara after the death of Hideyoshi, Chosokabe clan lost their territory and expelled. 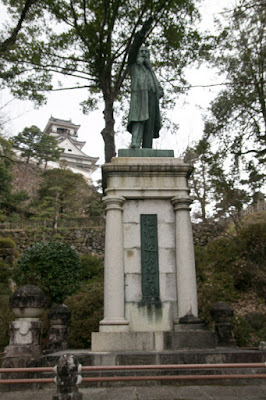 Replacing Chosokabe clan, Kazutoyo Yamauchi (1546-1605), former commander of Kakegawa castle (Shizuoka prefecture), was appointed as the governor of Tosa country under Edo shogunate. Kazutoyo was originally an old retainer of Hideyoshi, and is famous as his wise wife Chiyo. 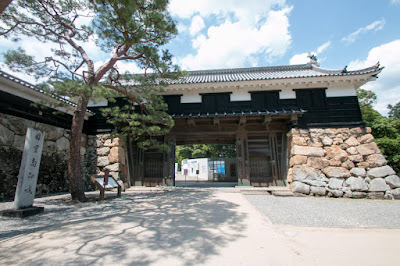 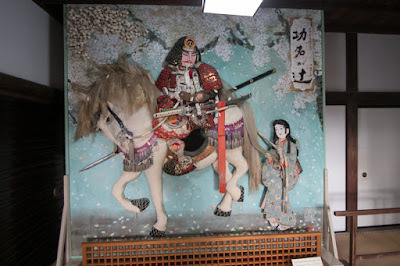 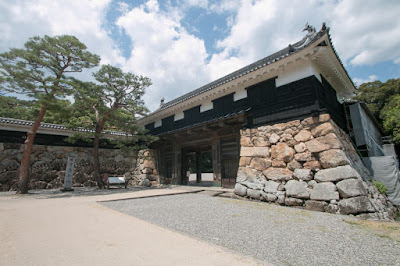 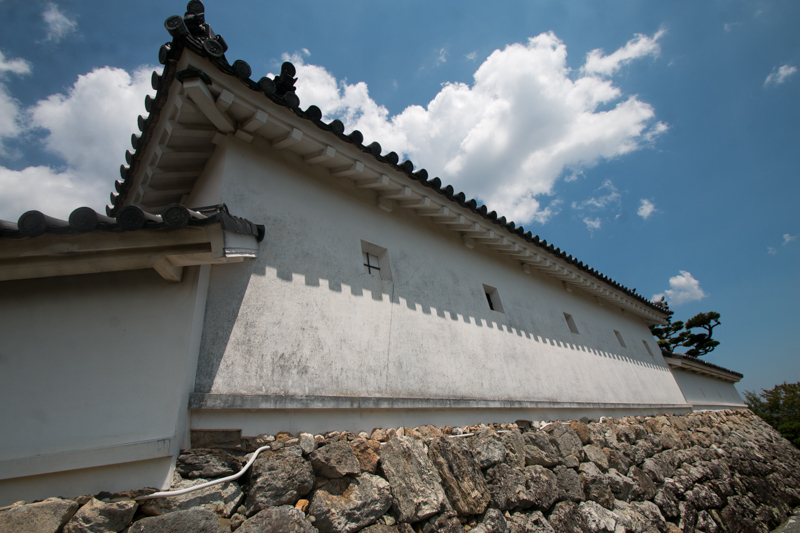 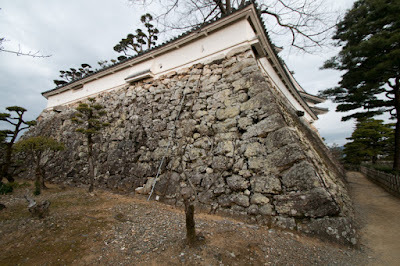 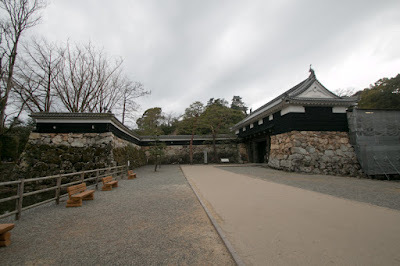 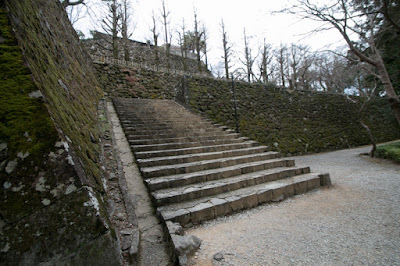 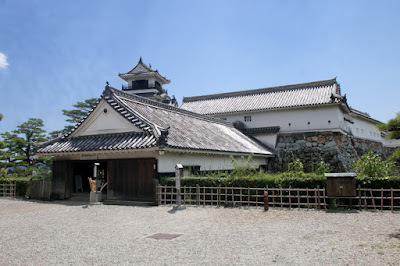 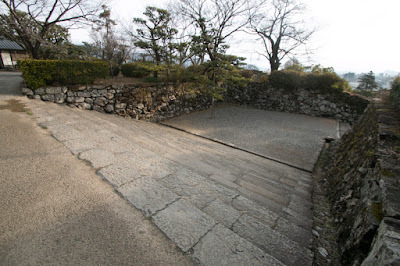 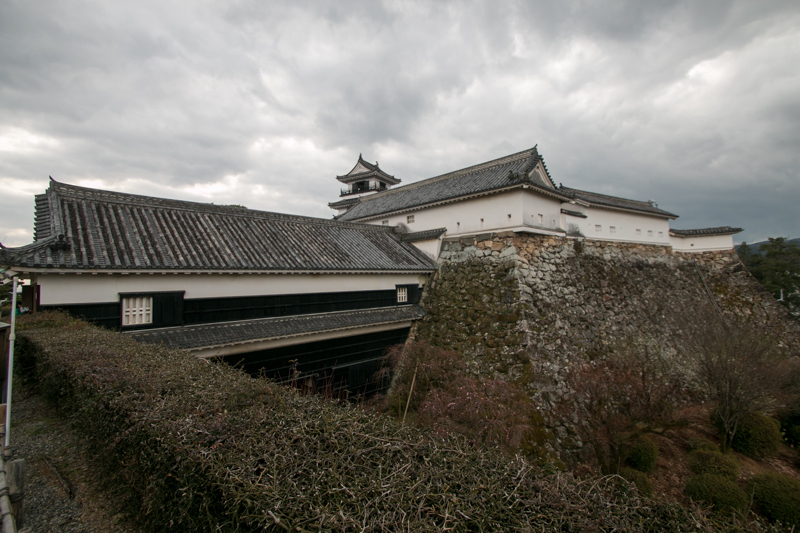 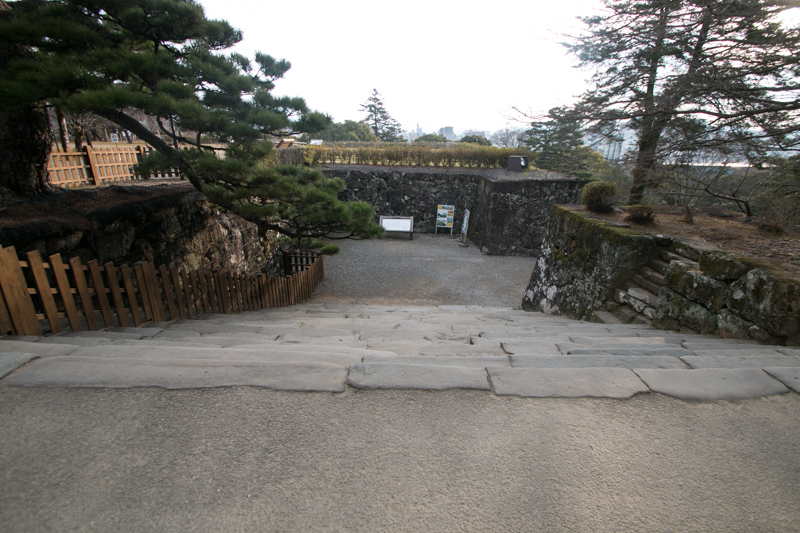 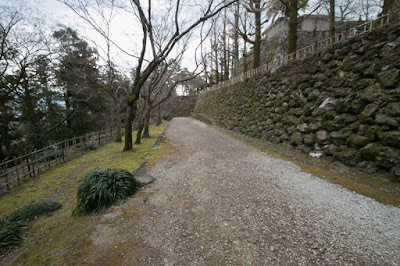 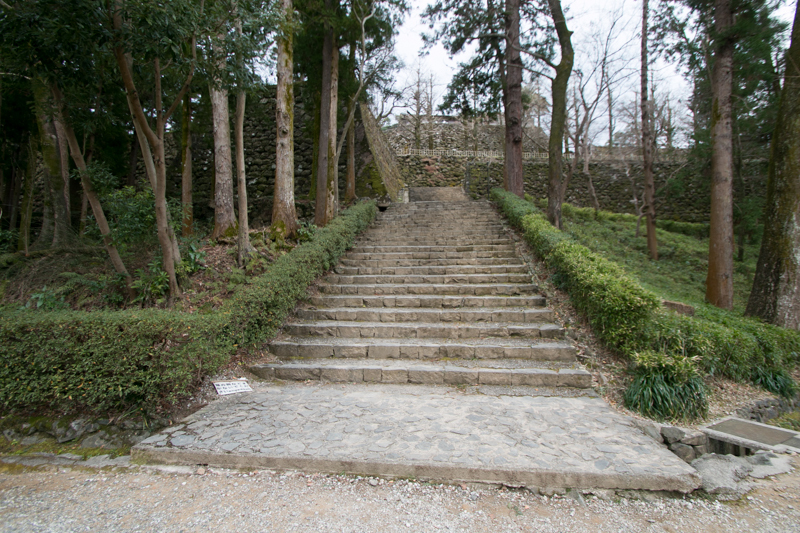 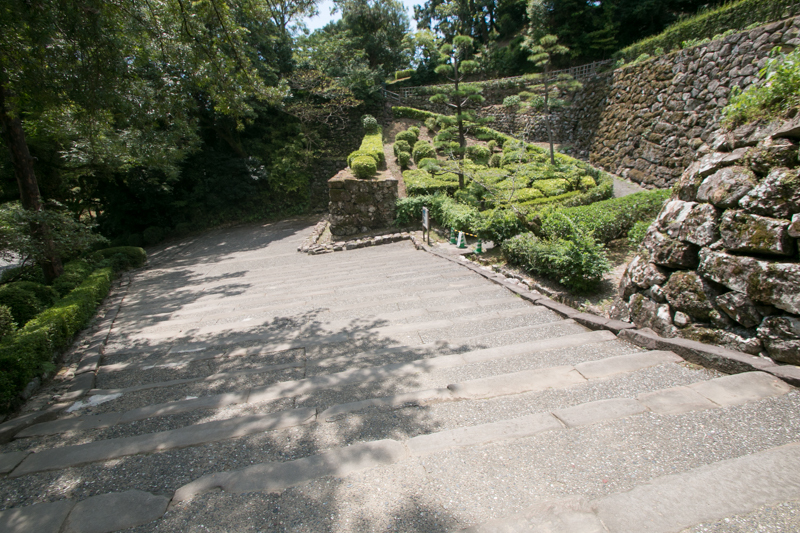 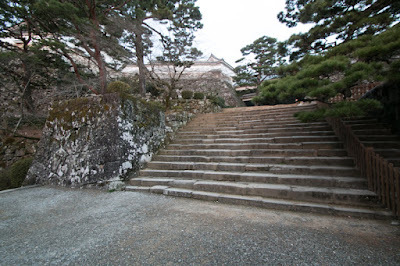 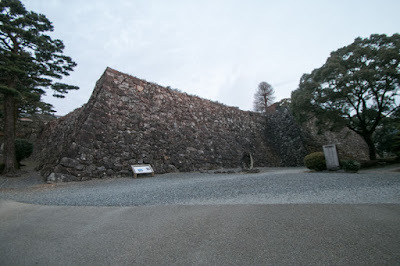 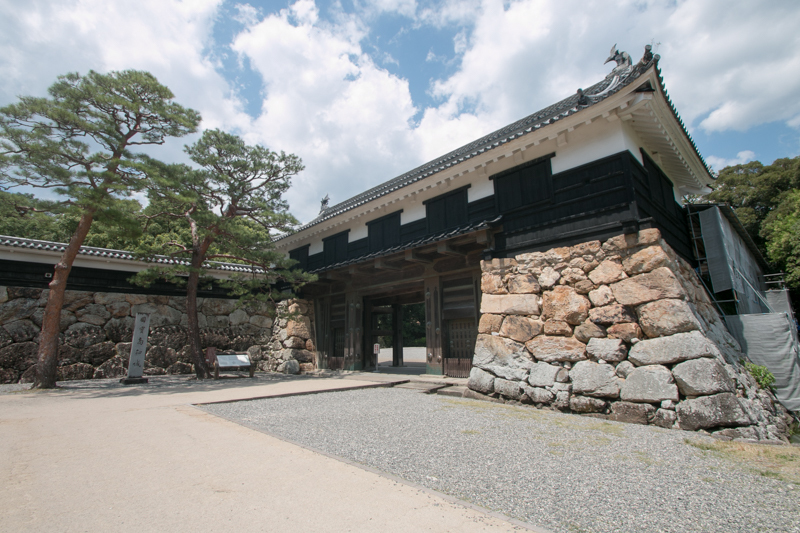 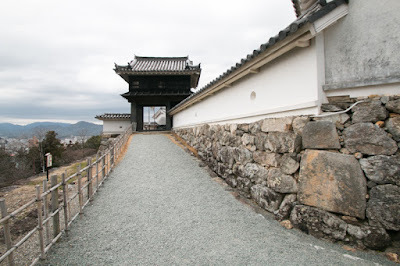 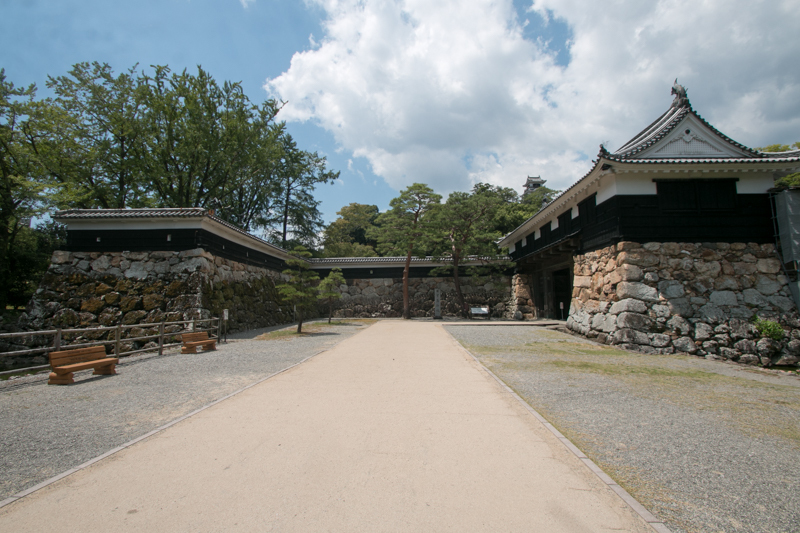 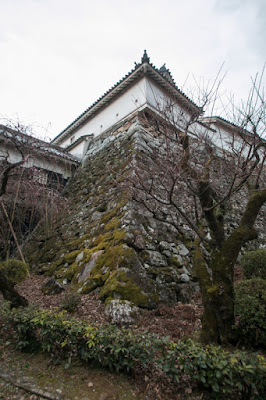 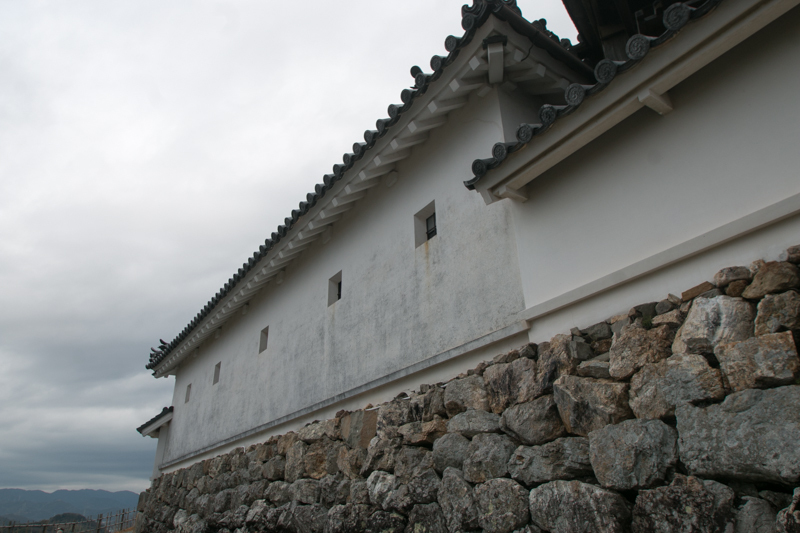 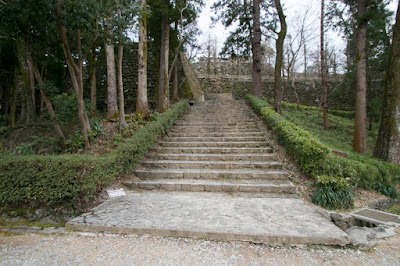 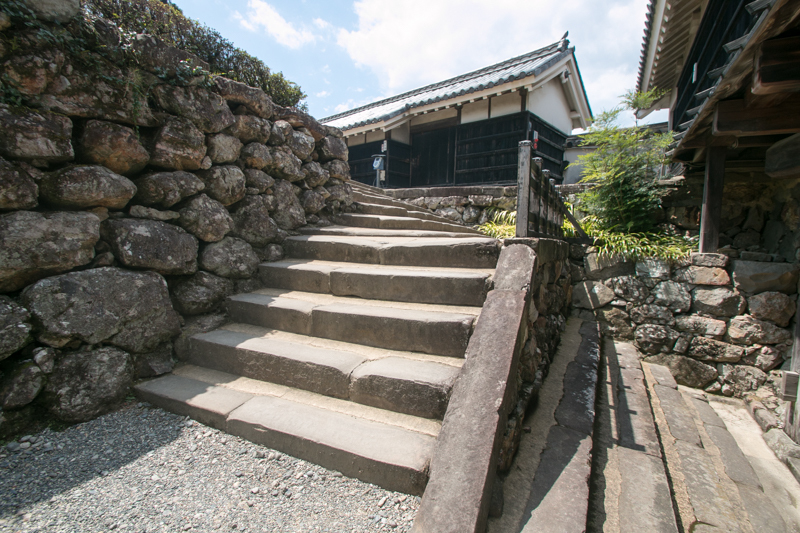 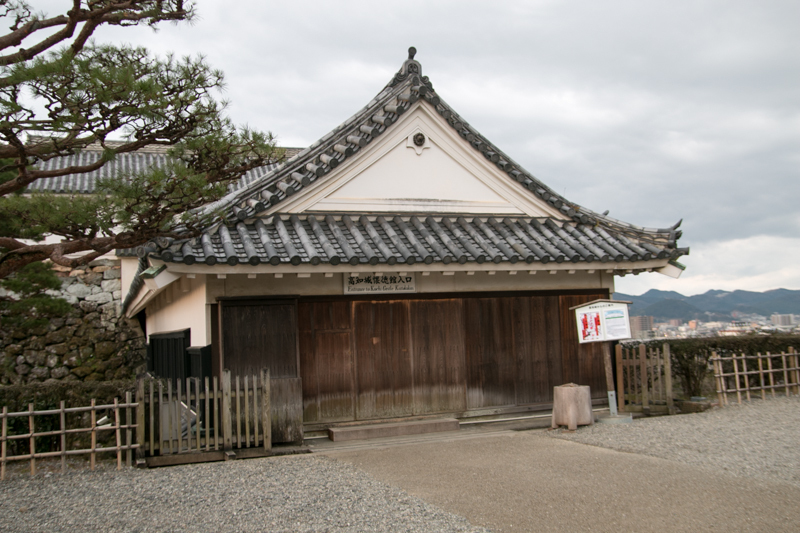 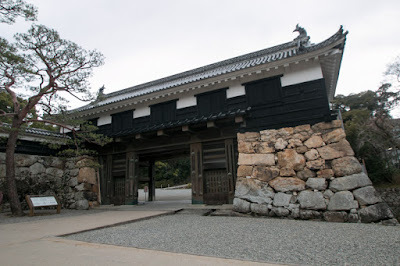 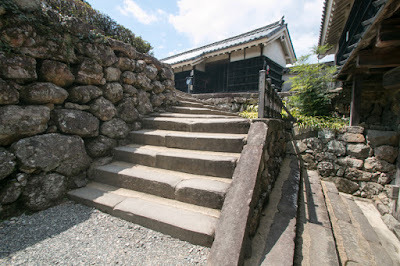 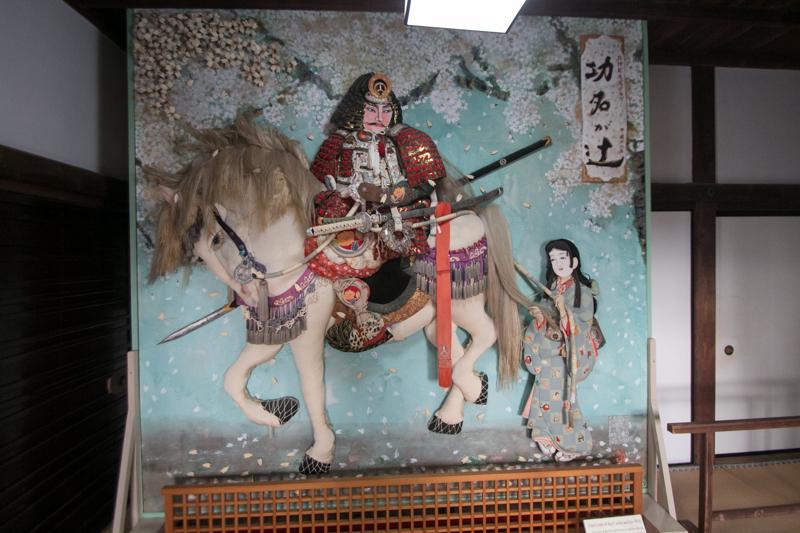 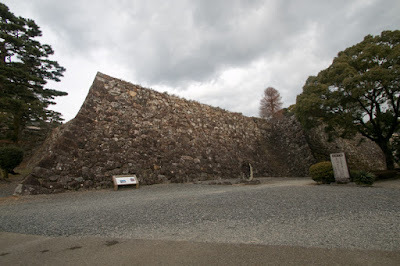 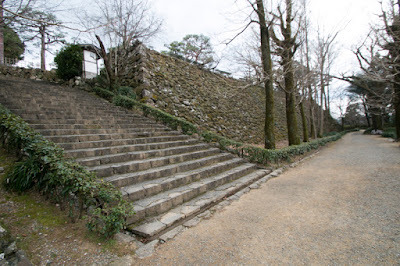 Kazutoyo at first entered Urado castle, but among the dissatisfying retainer of Chosokabe clan, Kazutoyo needed strong castle immediately to secure himself and stabilize the country. 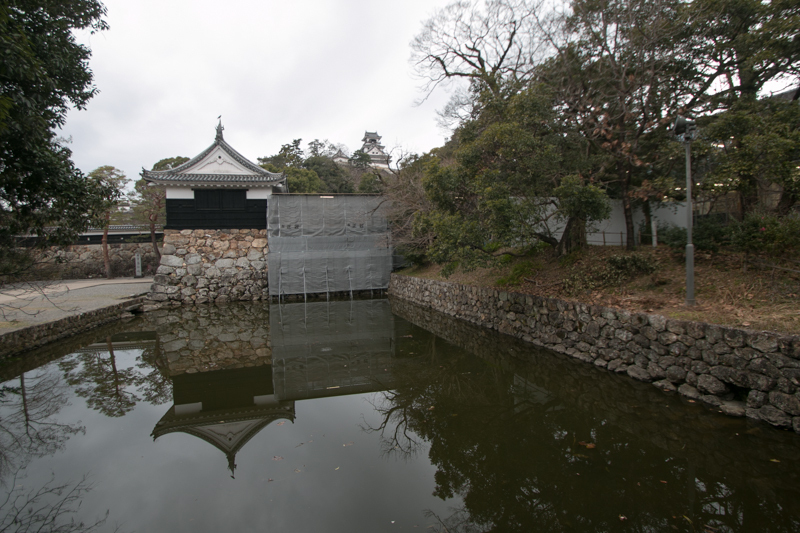 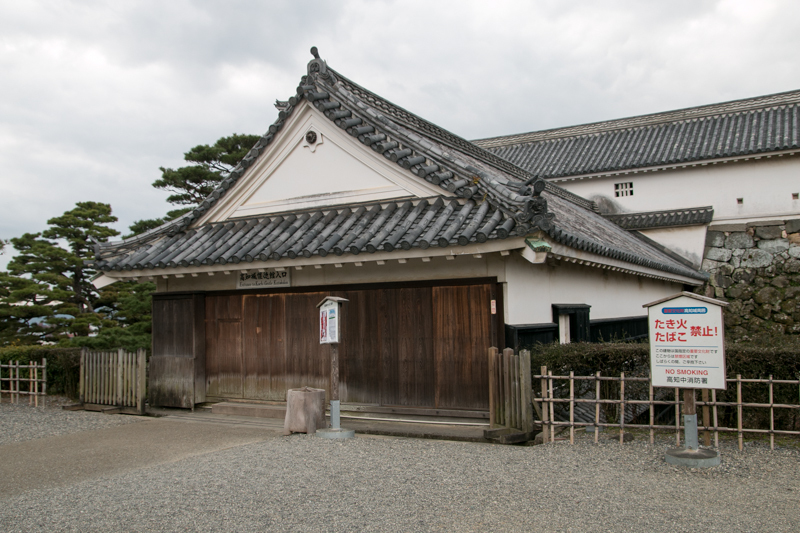 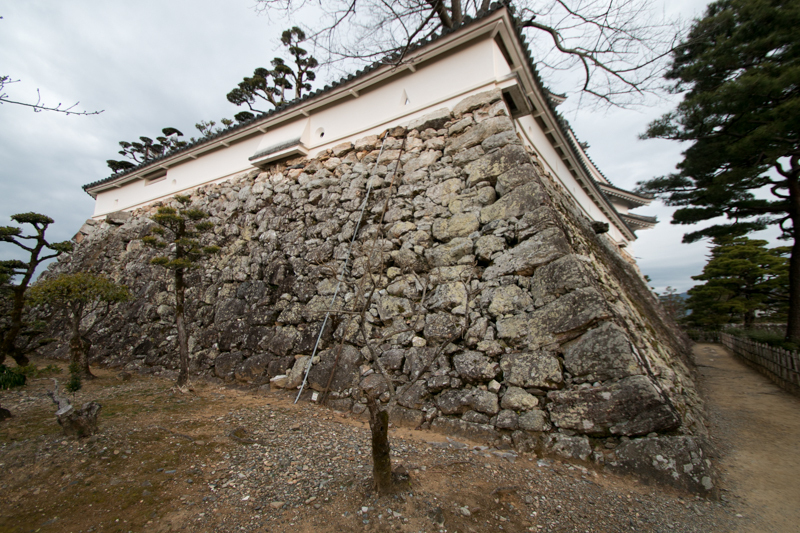 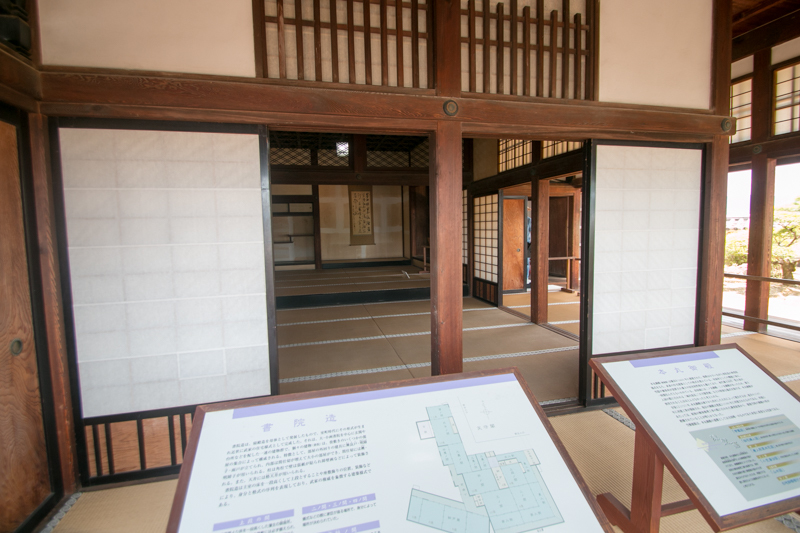 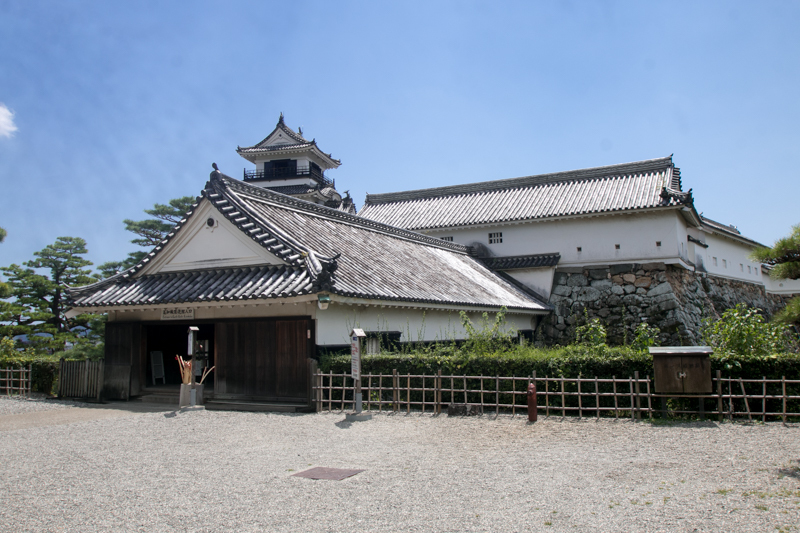 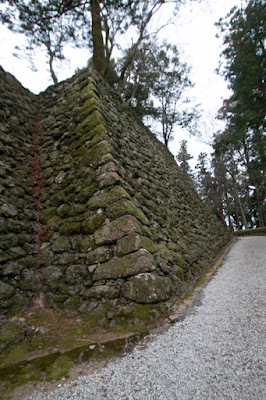 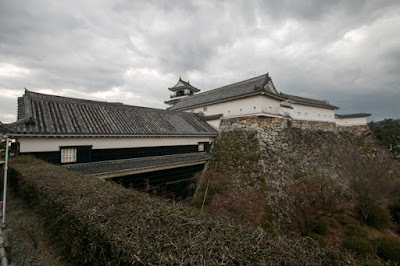 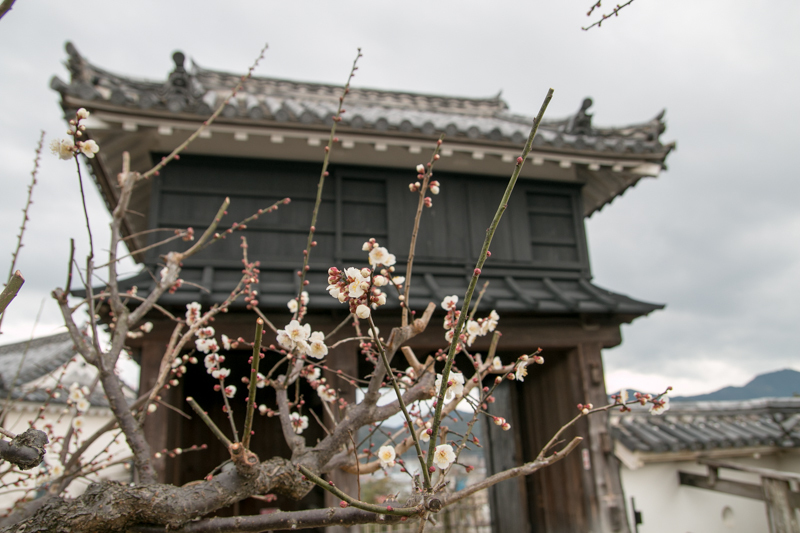 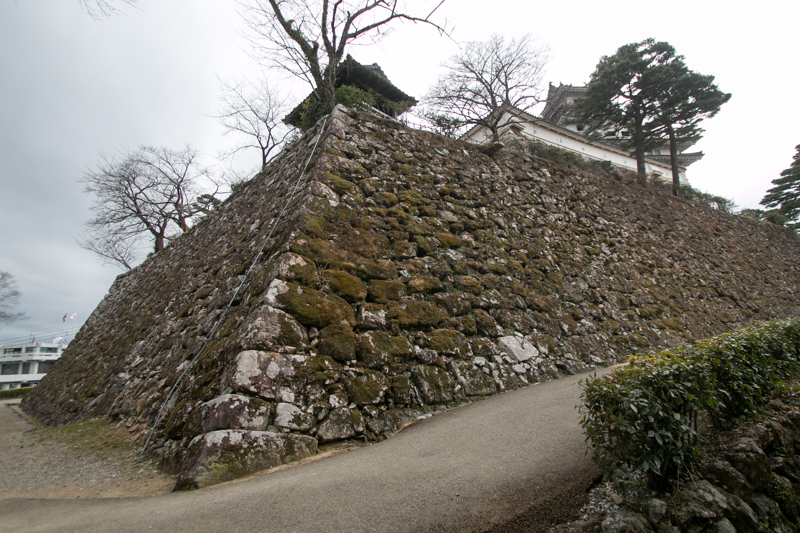 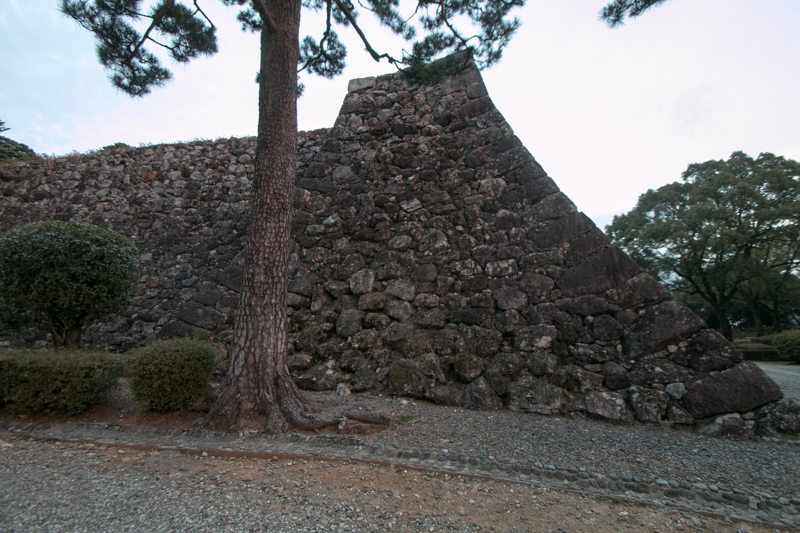 Kazutoyo utilized Otakayama castle and totally reformed it as a modern and secure castle from 1601 to 1603. 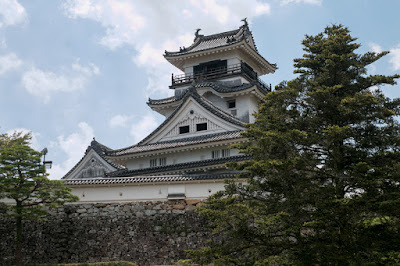 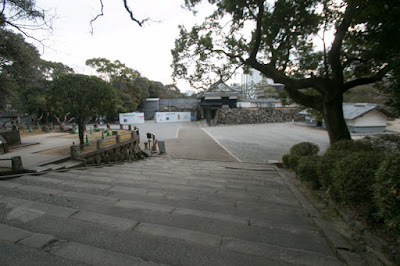 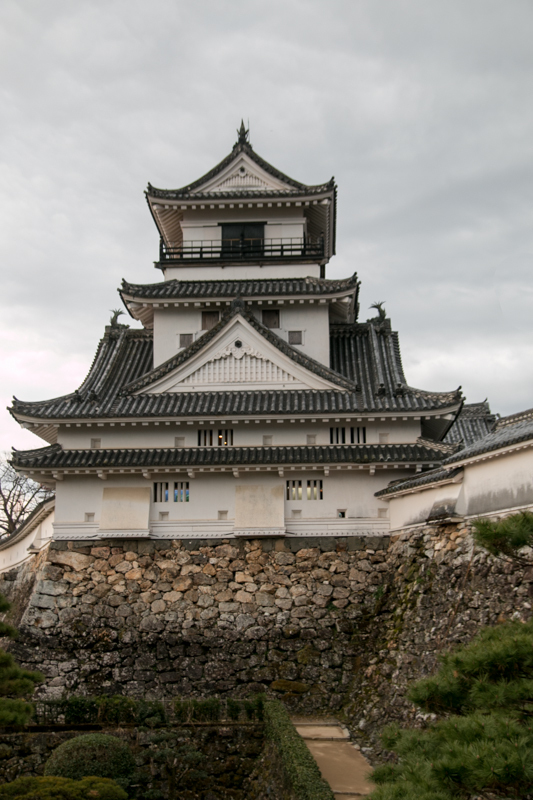 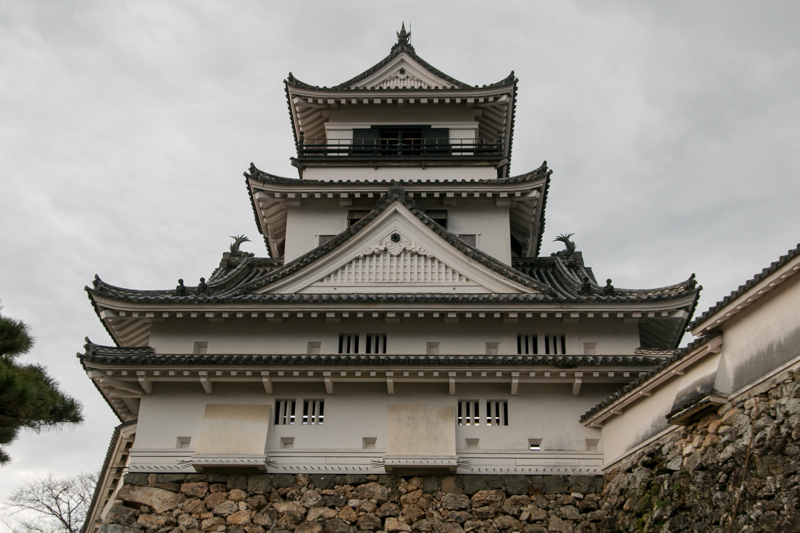 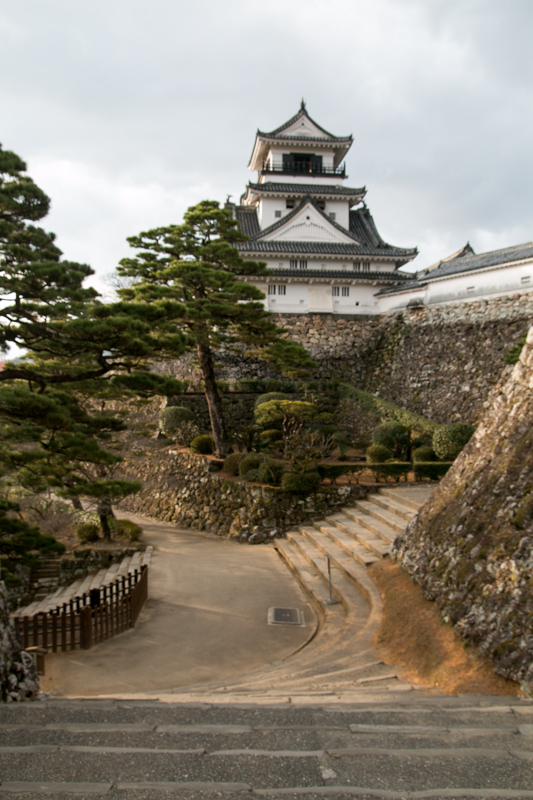 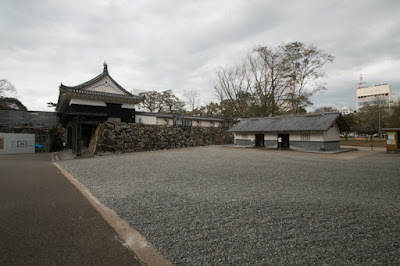 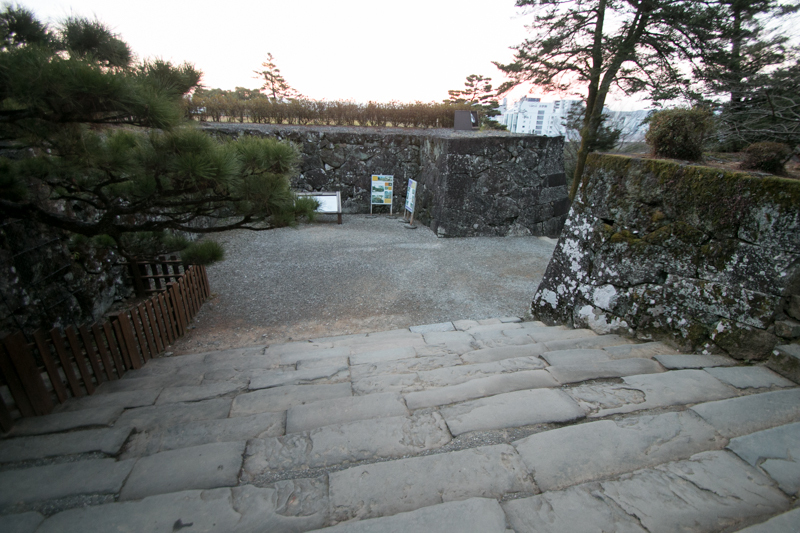 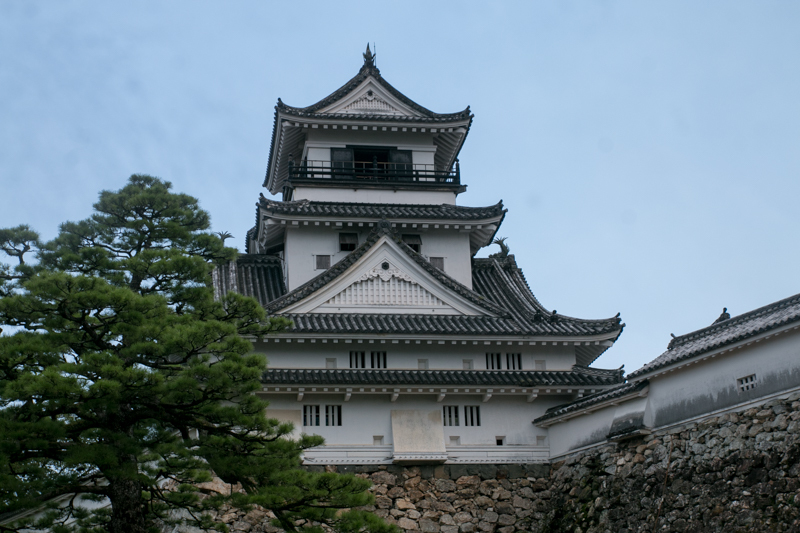 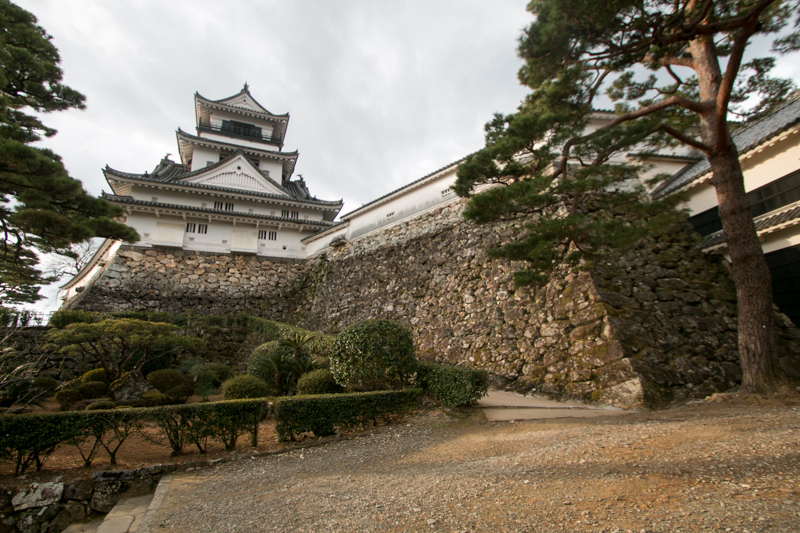 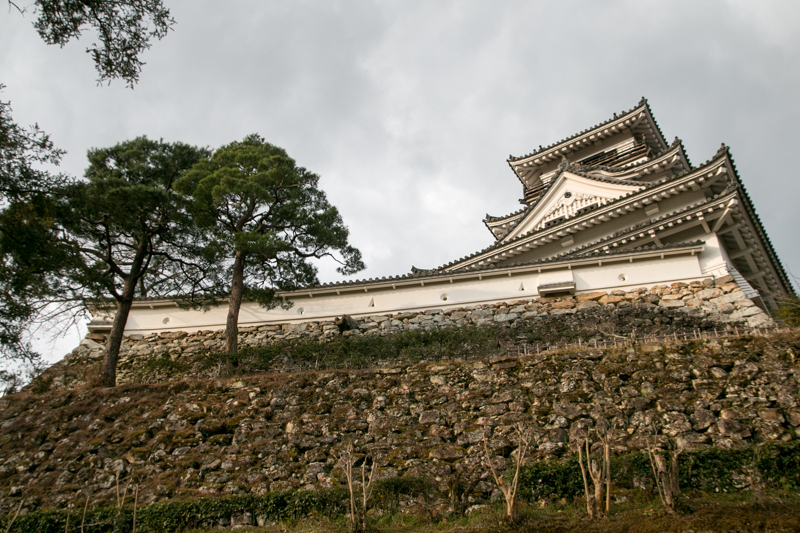 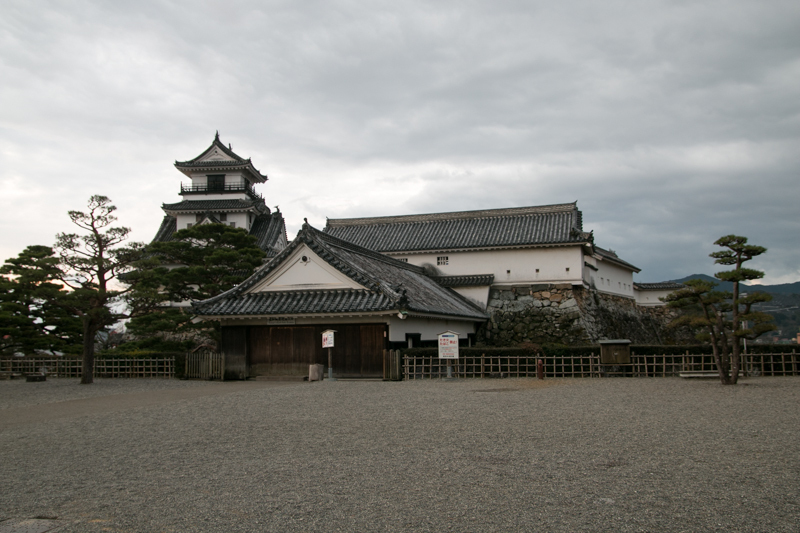 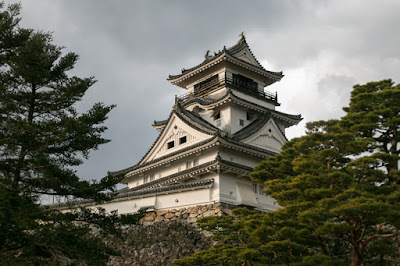 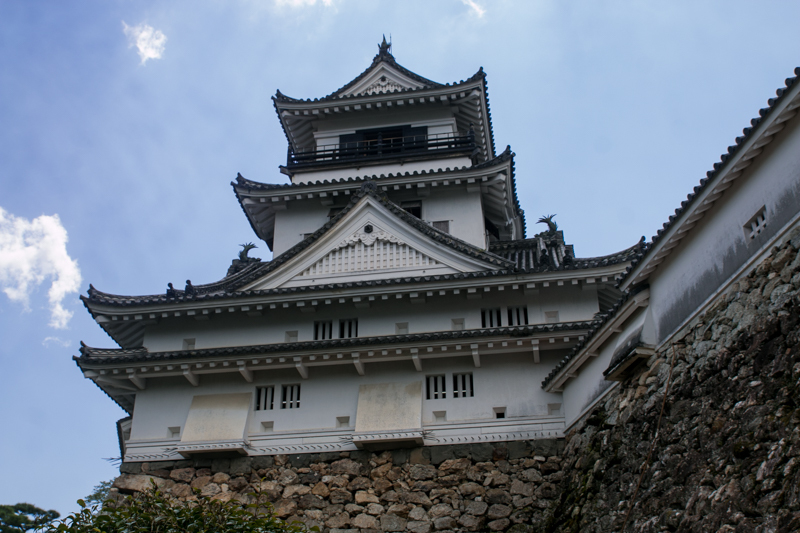 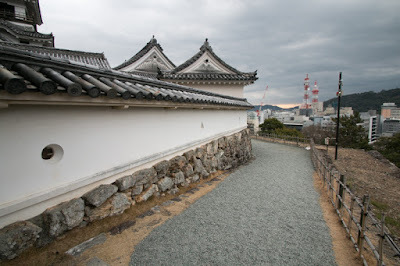 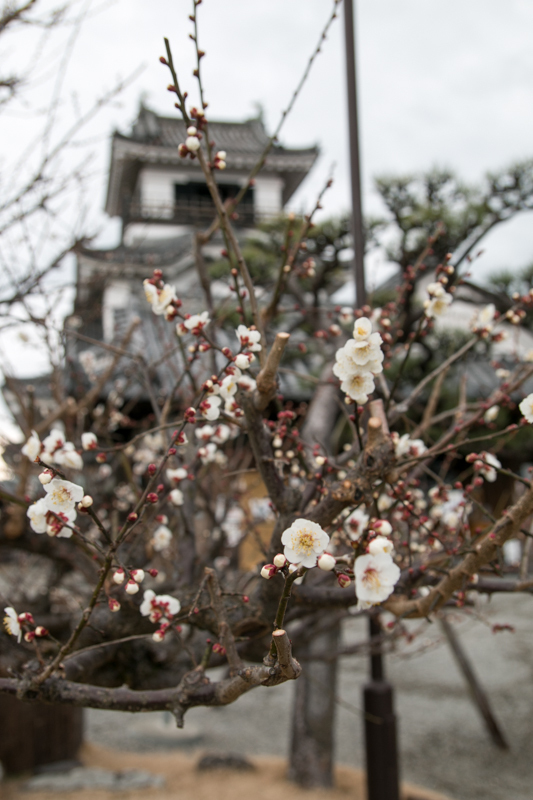 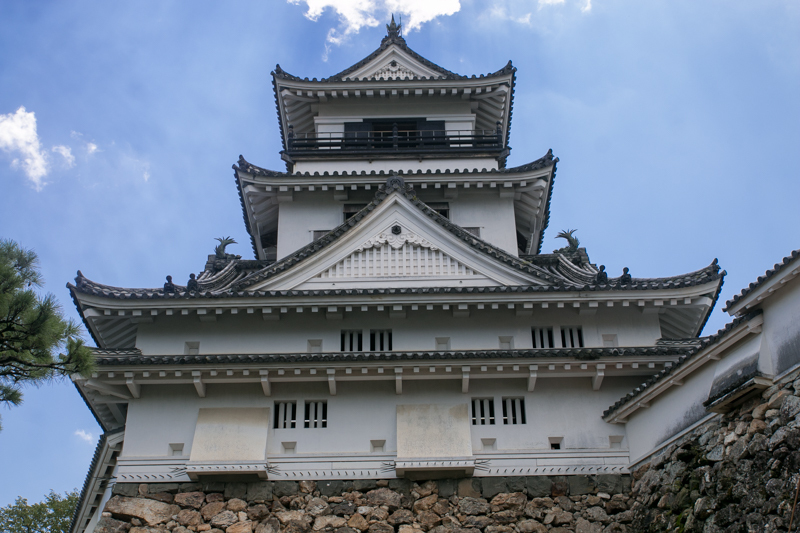 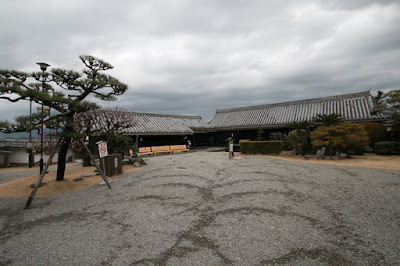 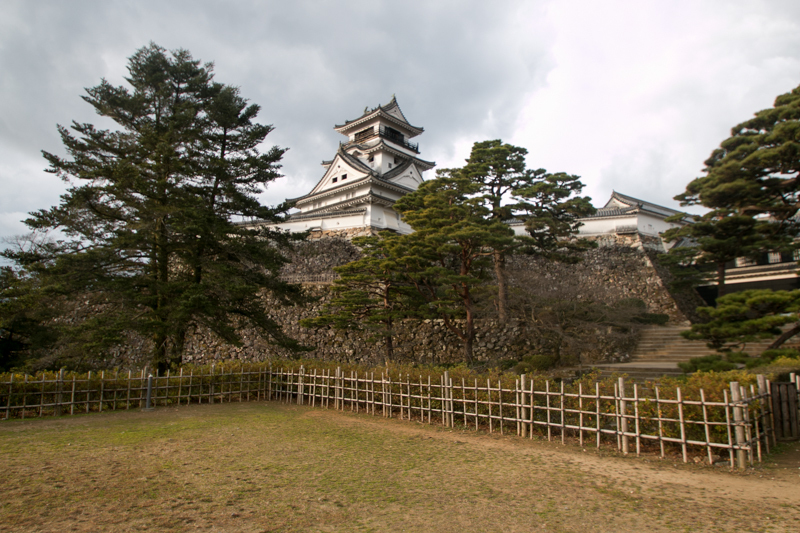 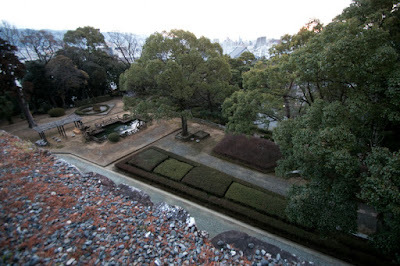 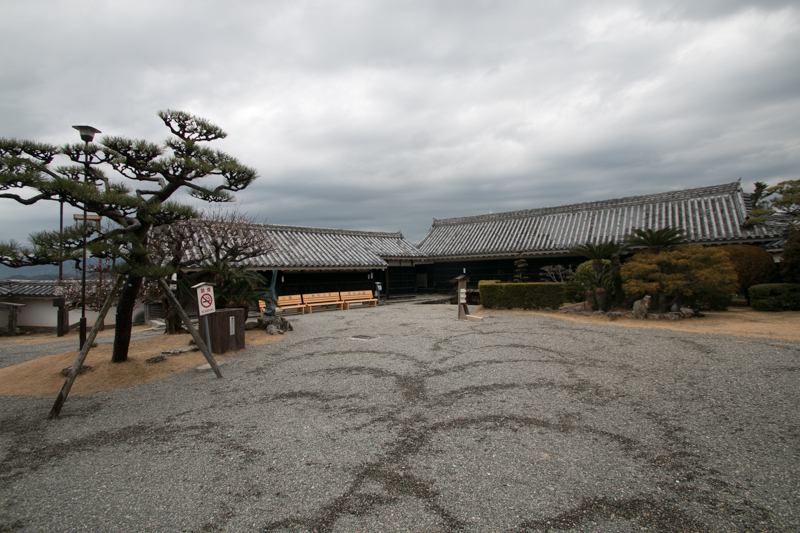 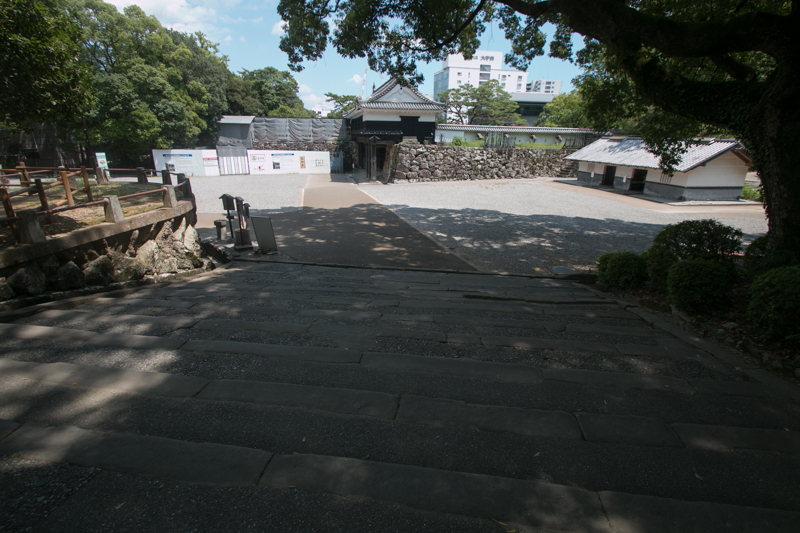 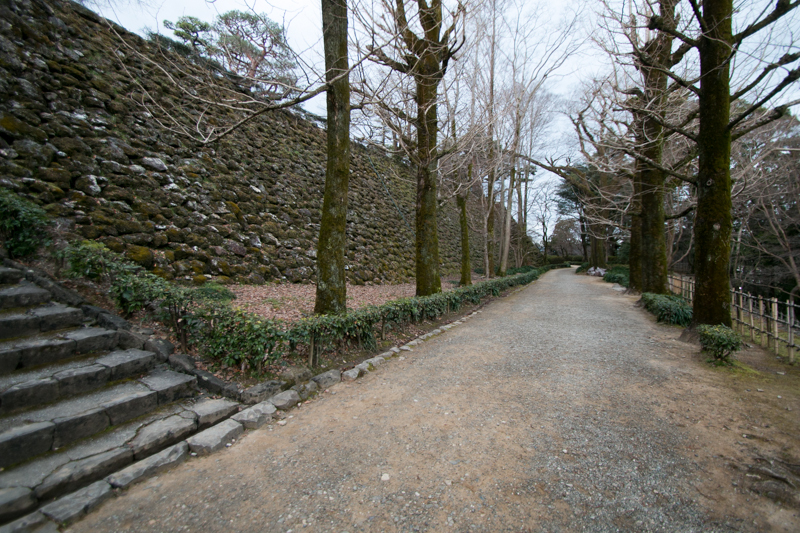 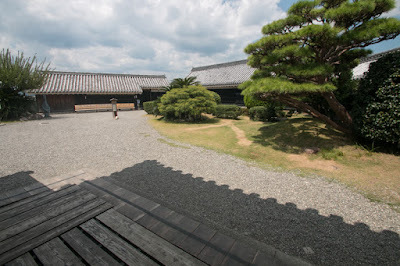 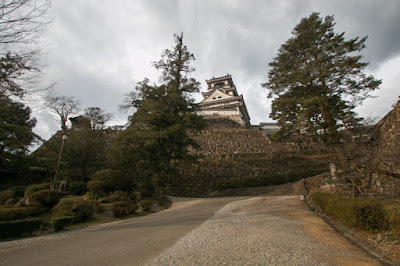 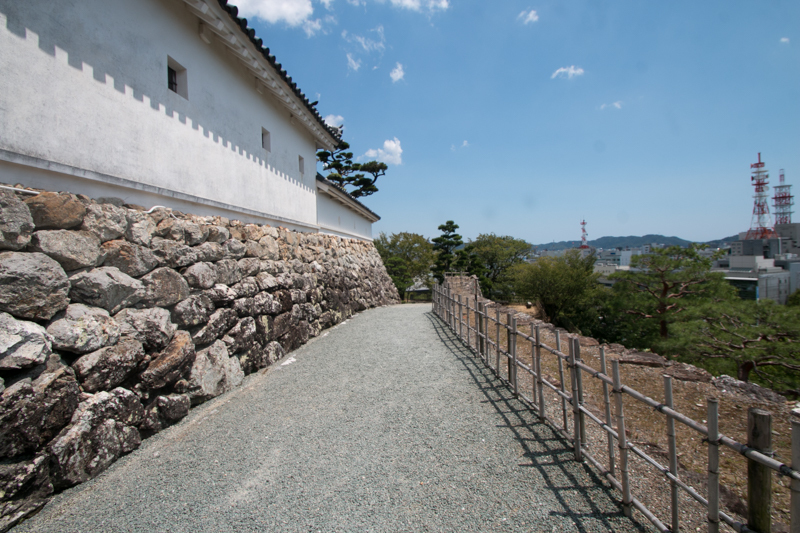 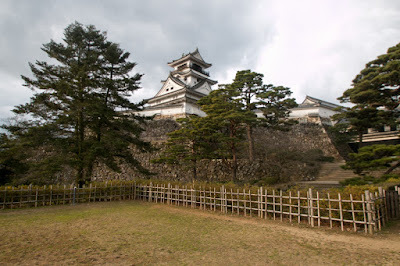 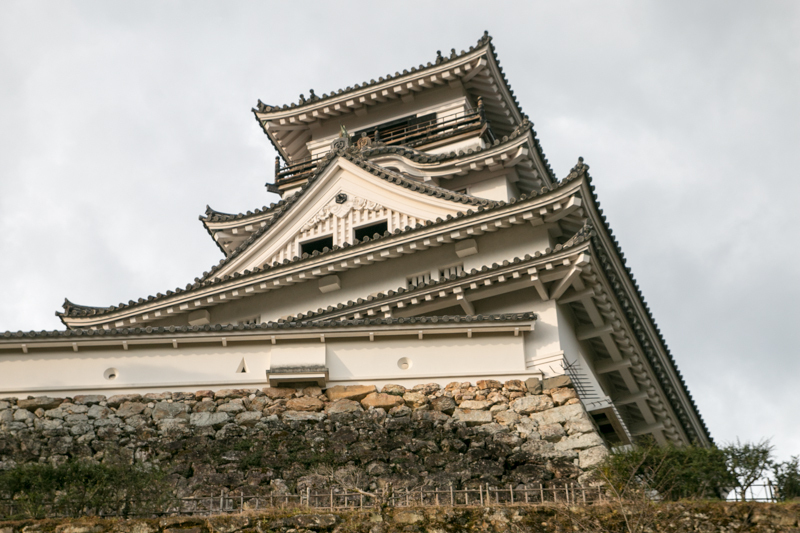 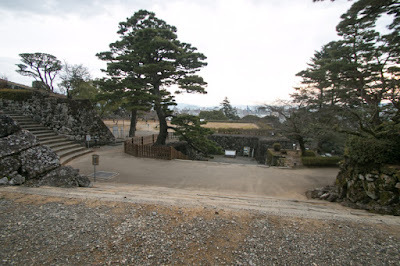 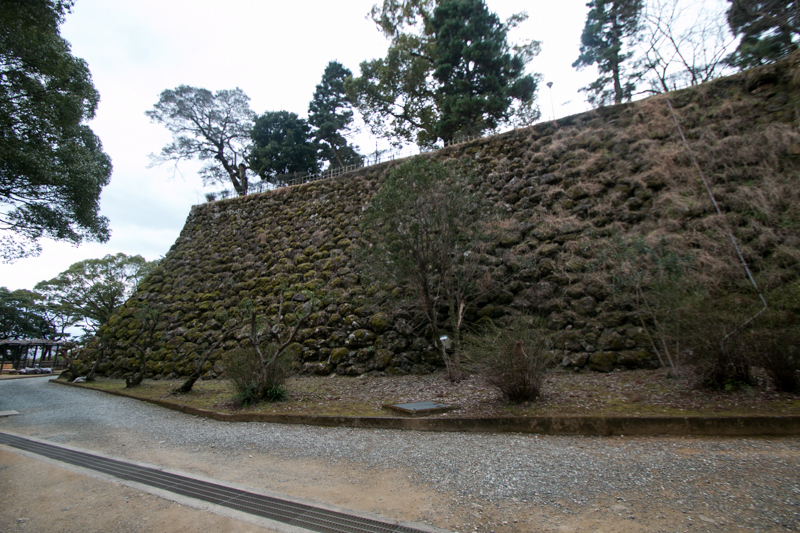 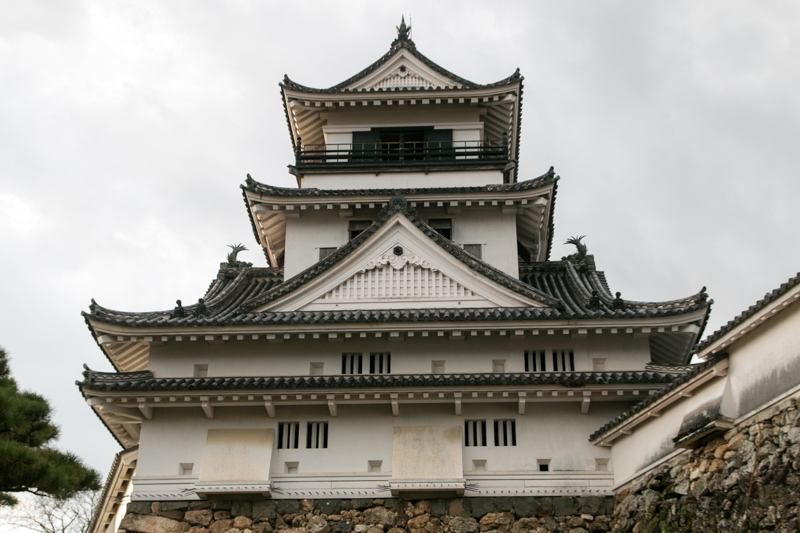 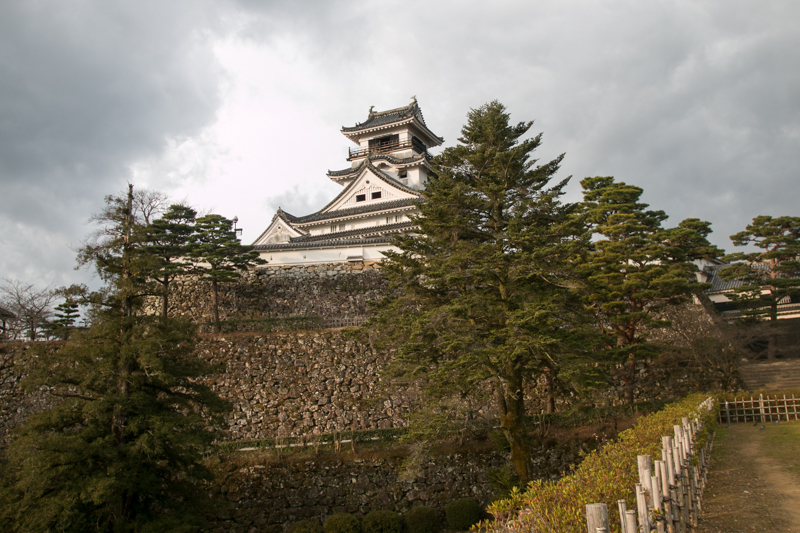 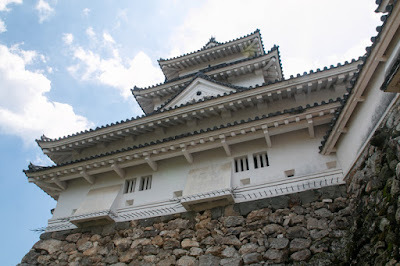 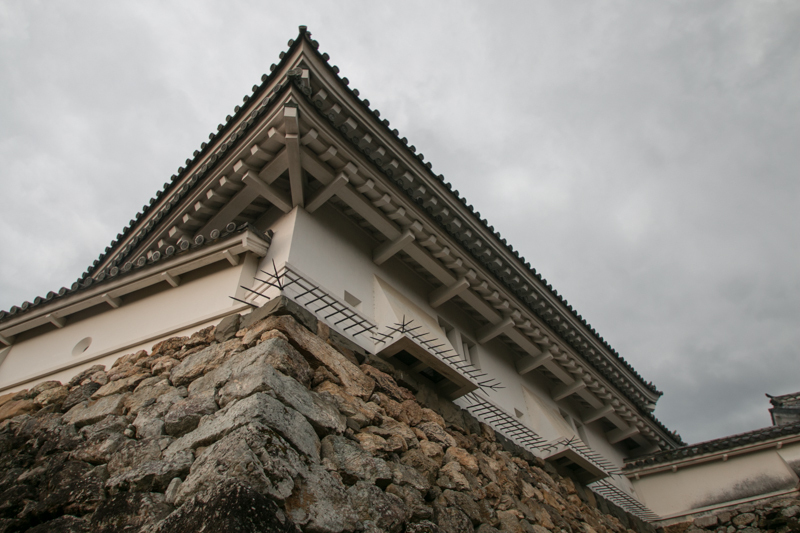 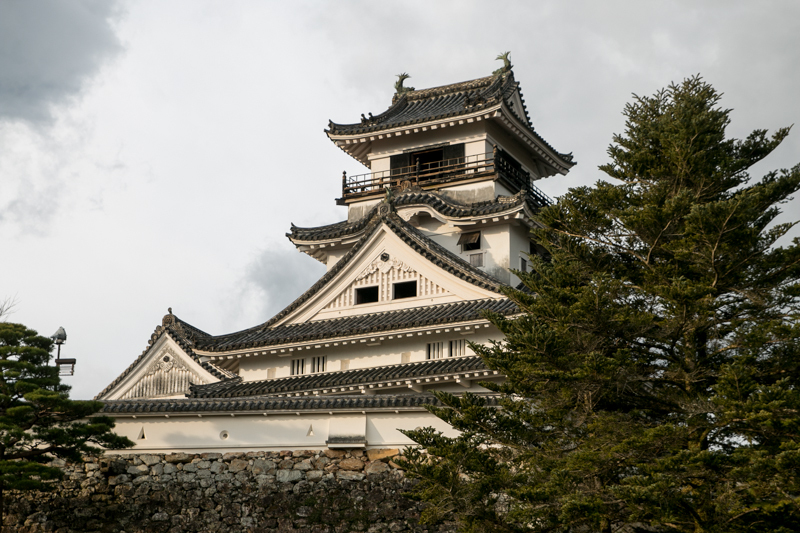 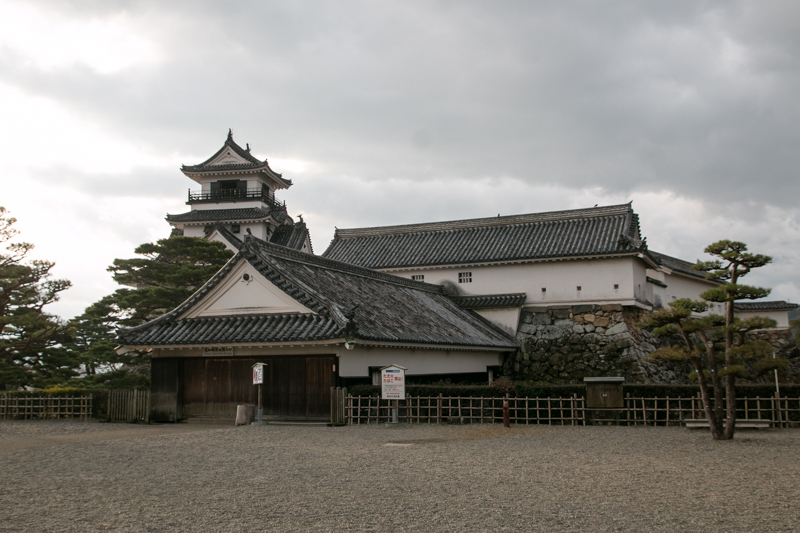 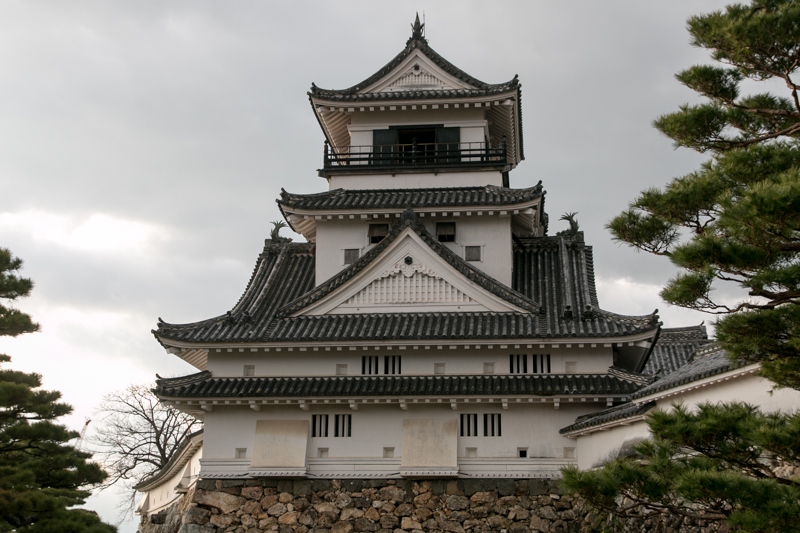 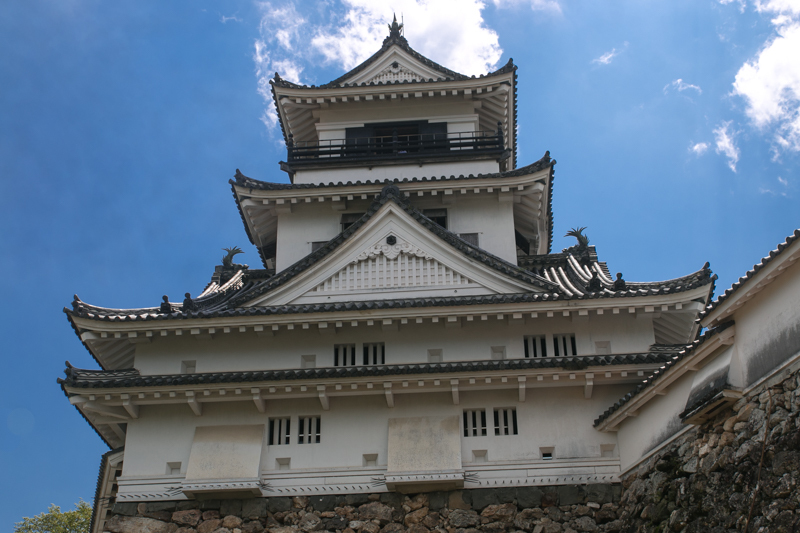 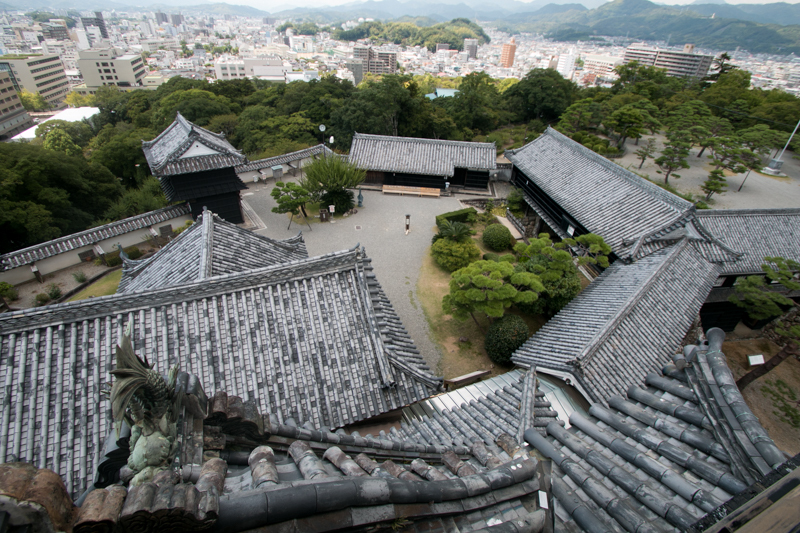 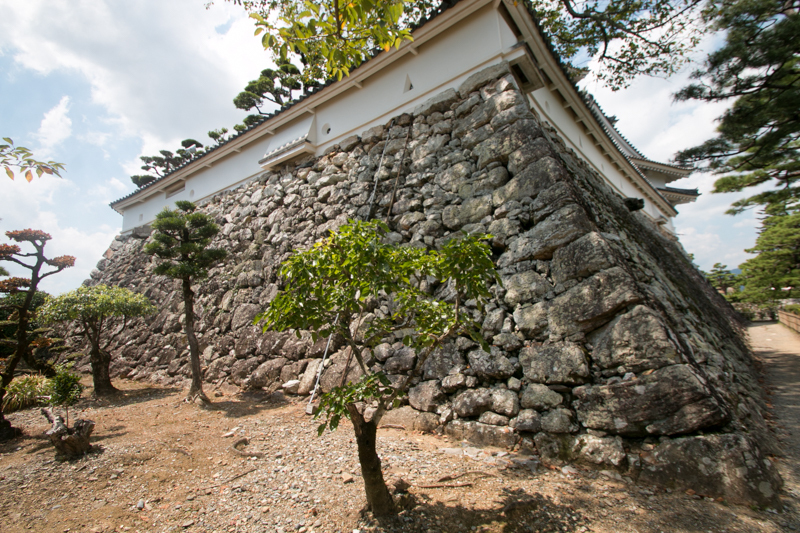 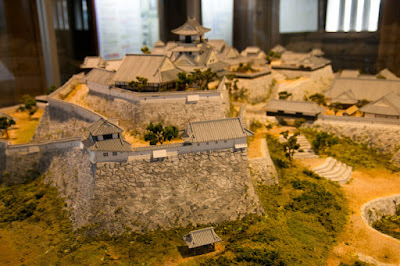 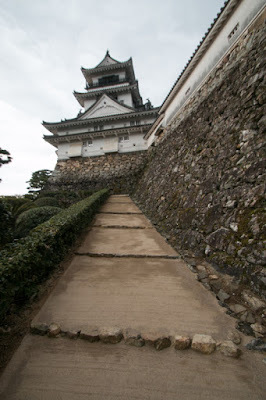 At first this new castle was named as Kawanakayama castle, and later renamed to Kochi castle. 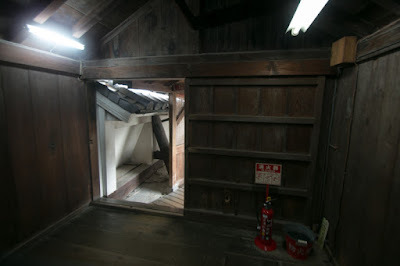 But most building were burned down by fire at 1727, and current remaining buildings were rebuilt around 1750 in old style. Even though not so large, but to stand against rebellion of former Chosokabe retainers, Kochi castle was built considering defense strongly. 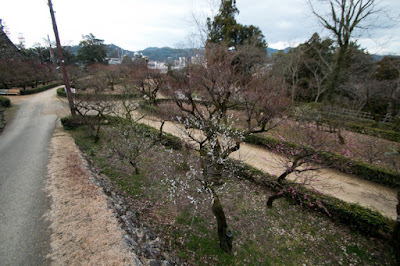 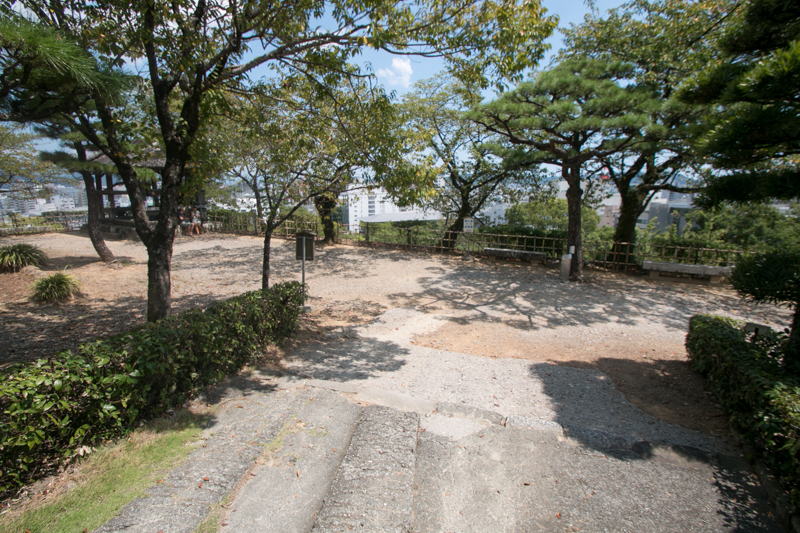 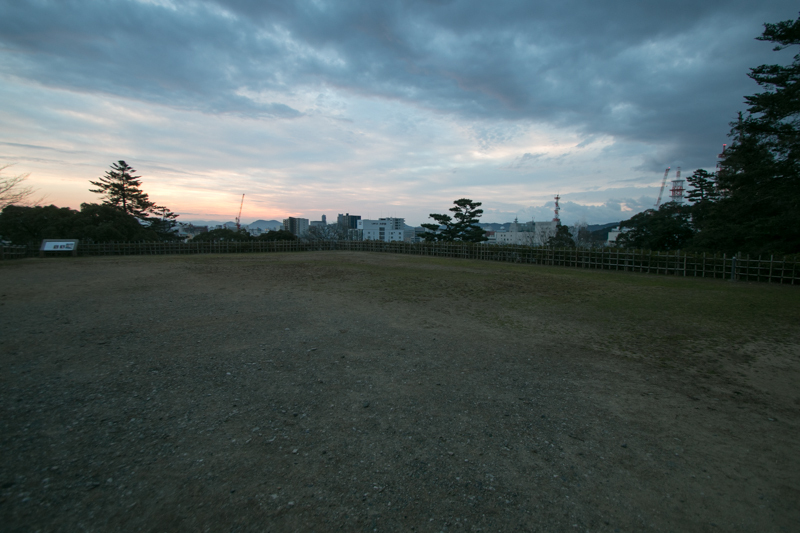 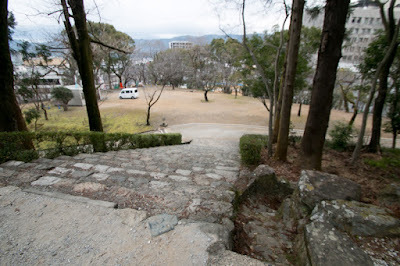 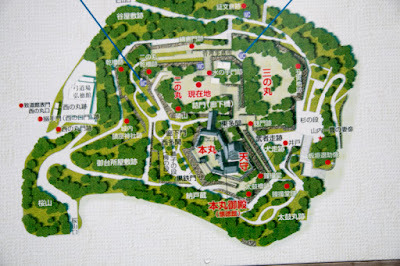 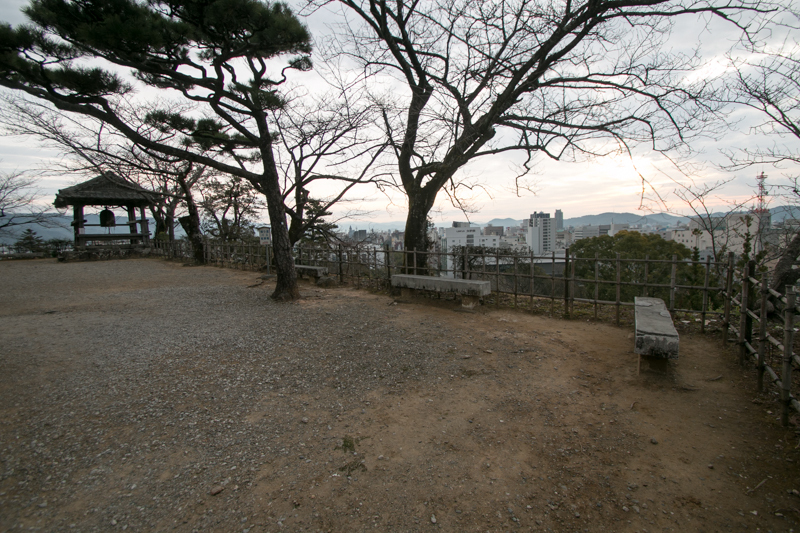 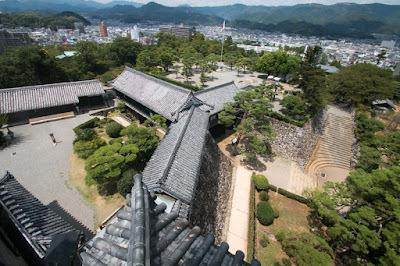 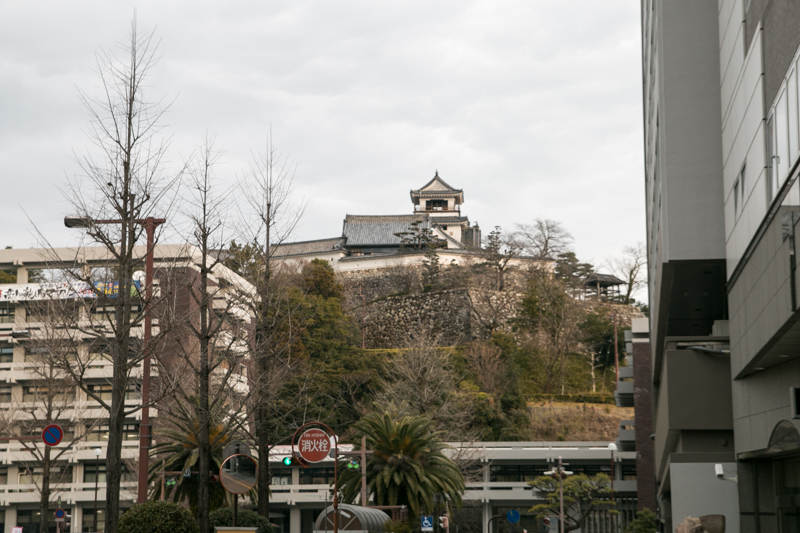 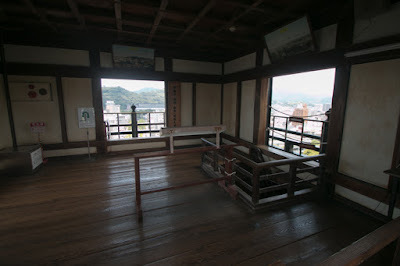 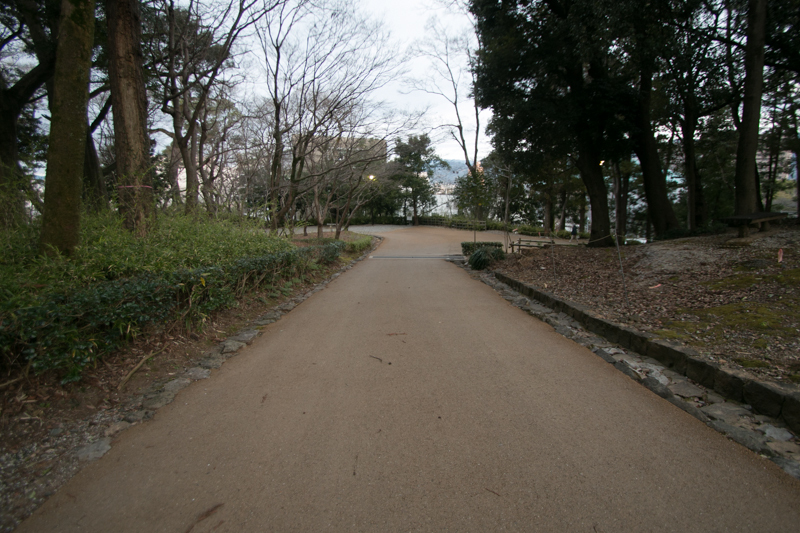 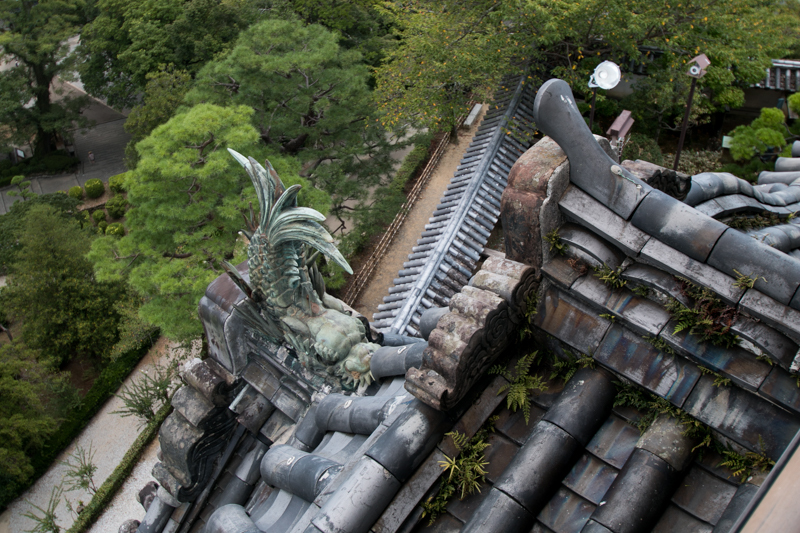 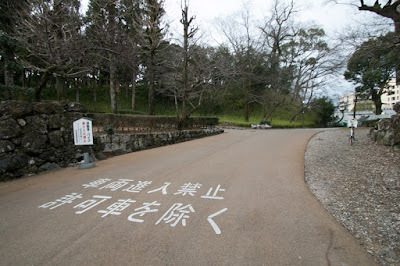 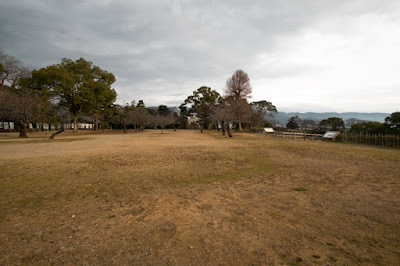 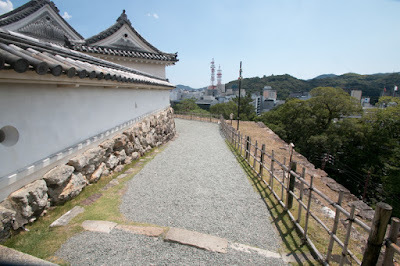 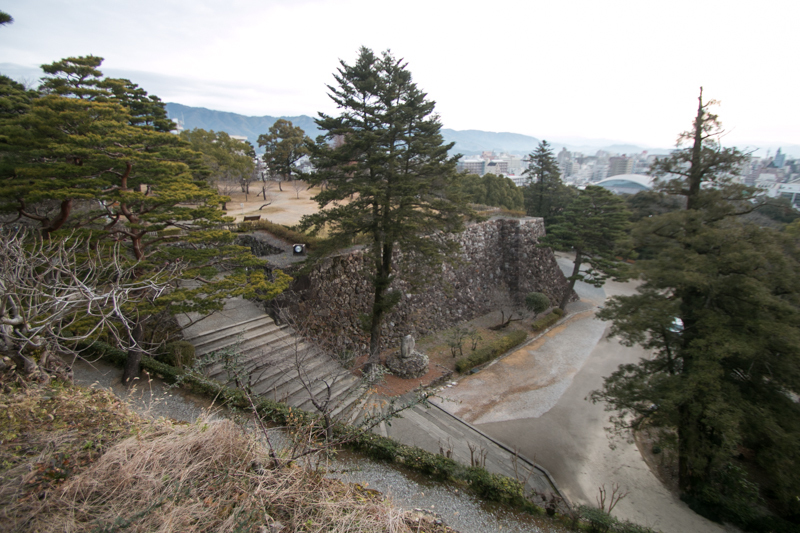 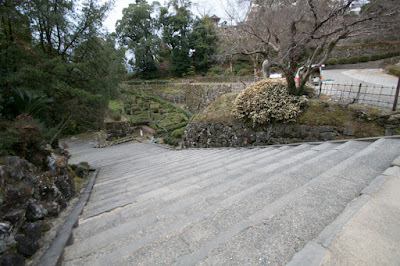 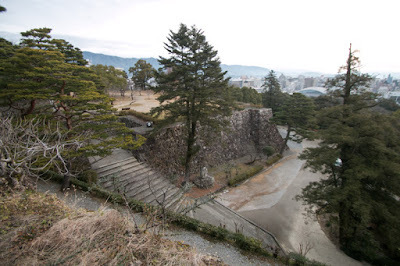 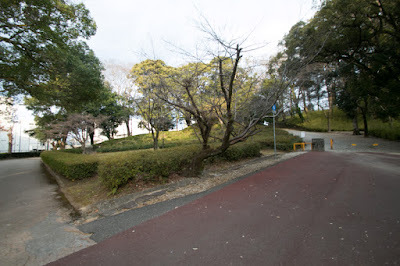 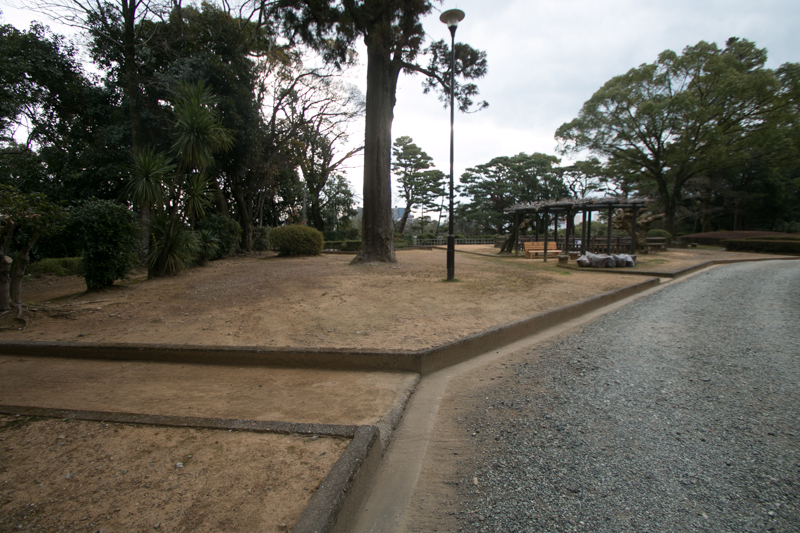 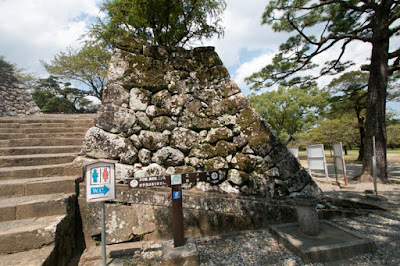 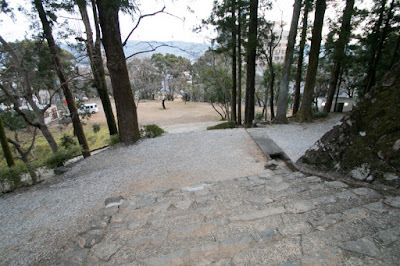 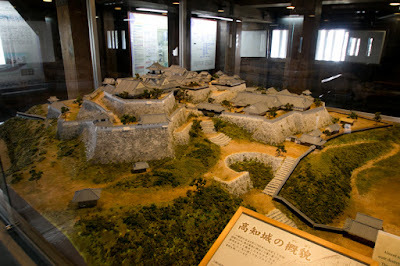 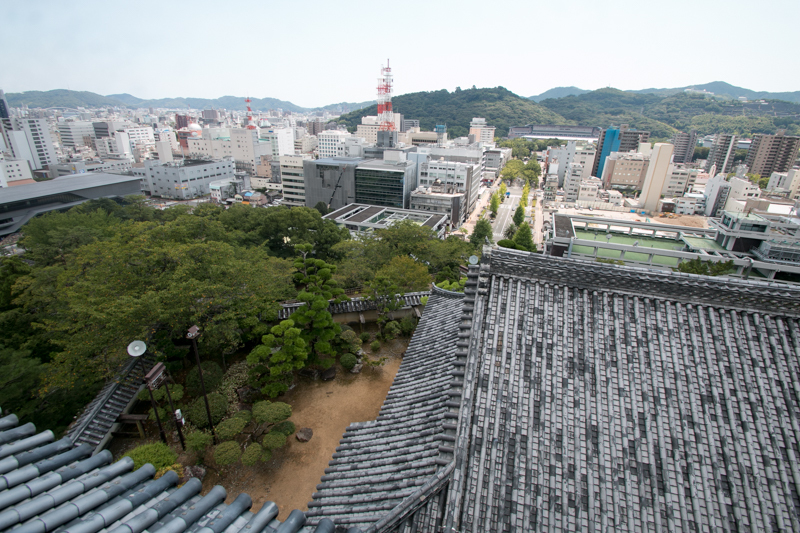 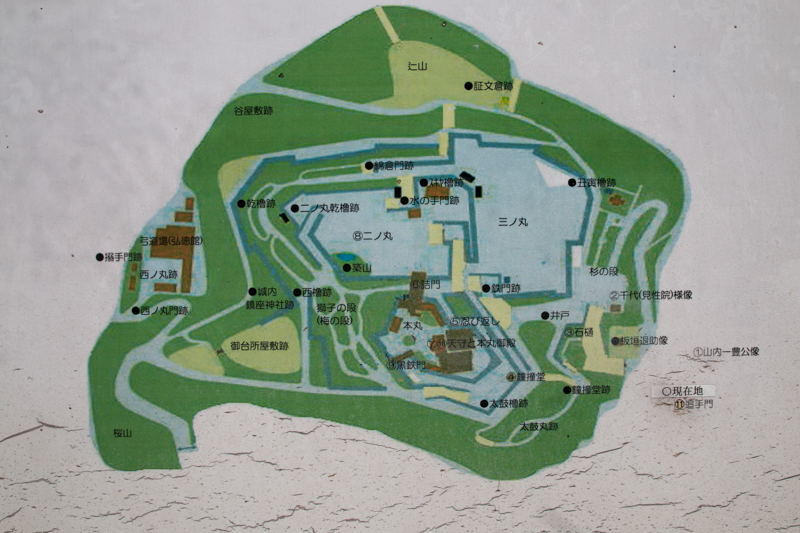 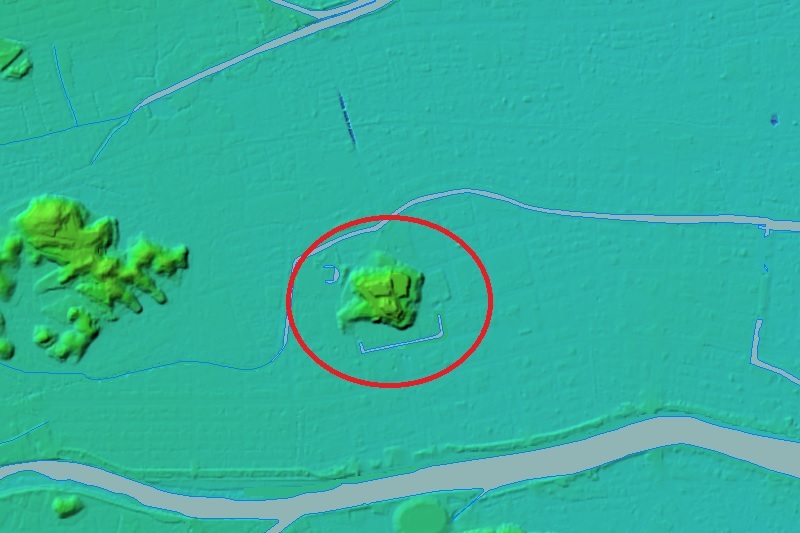 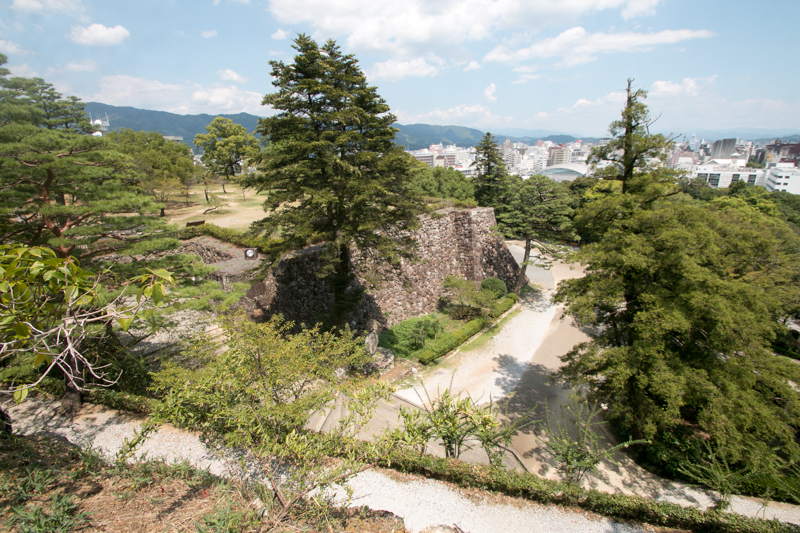 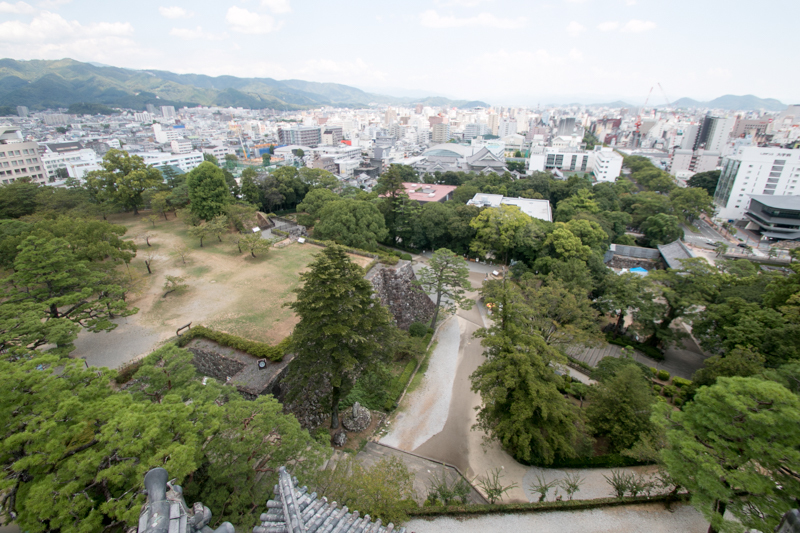 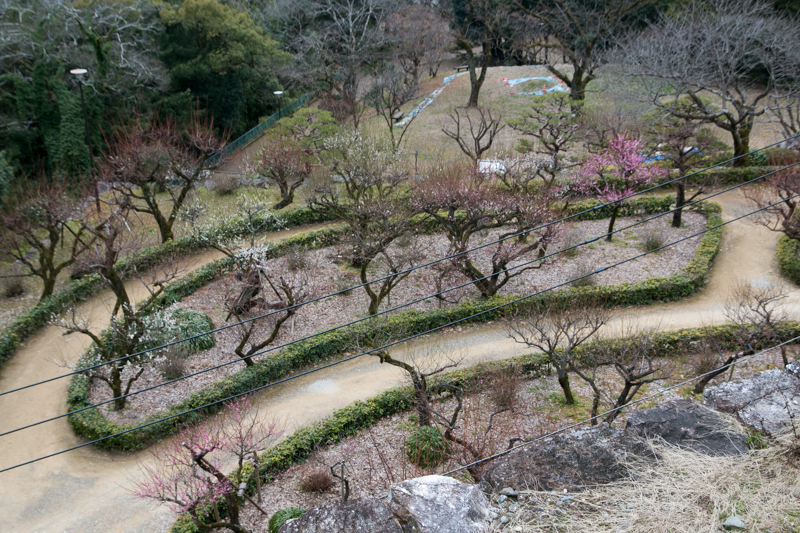 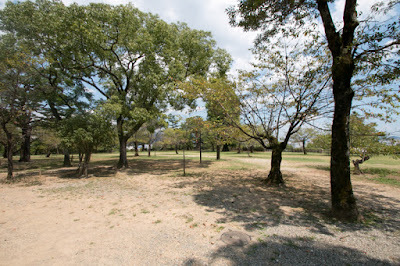 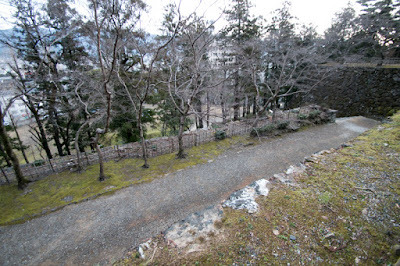 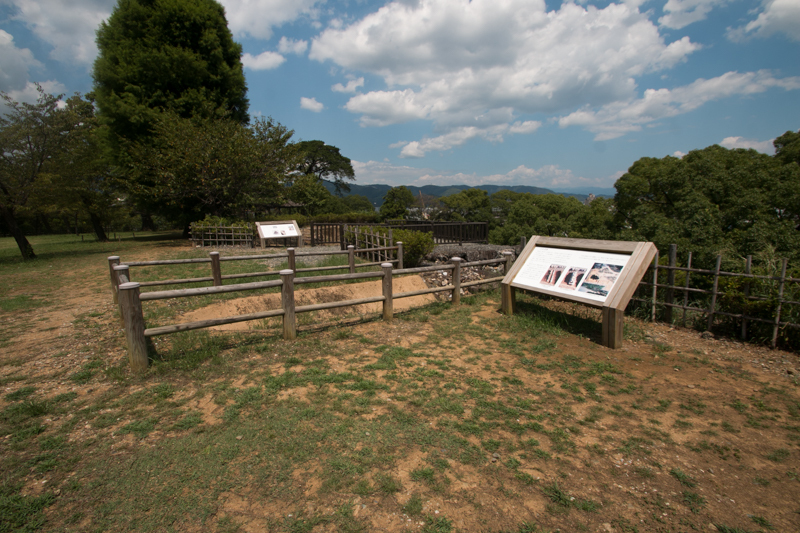 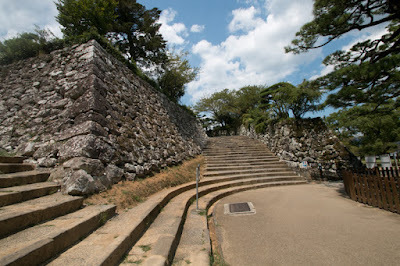 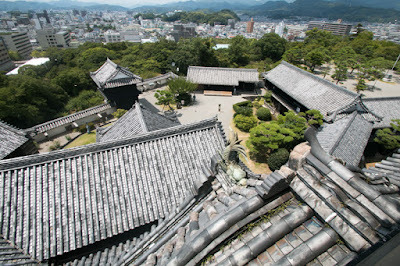 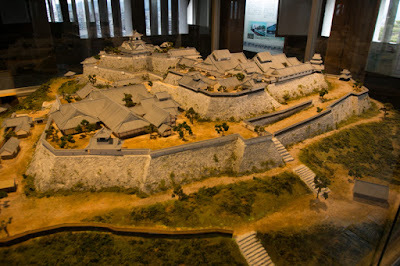 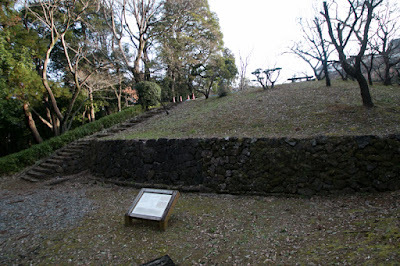 The central area at the peak is an isolated area connected to secondary area only by barrack bridge, and wholly surrounded by barrack turrets (Tamon Yagura). 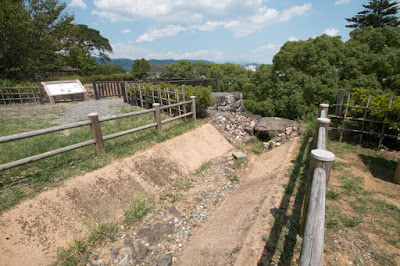 In case of emergency the central area could break the bridge and stand individually, waiting for the reinforcement of retainers at branch castles. 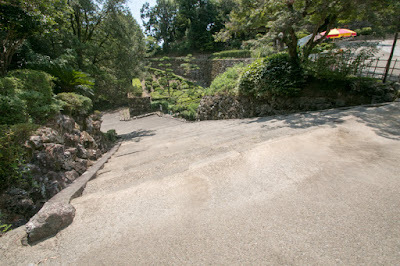 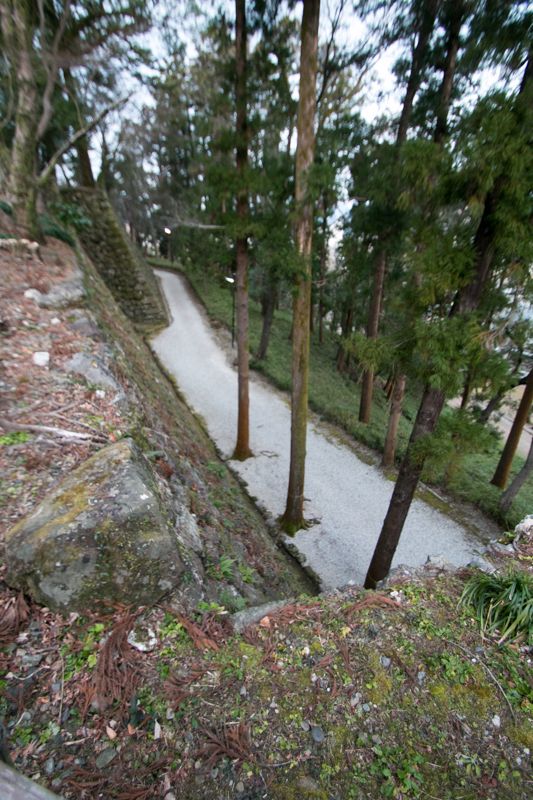 Each roads from hillside area to central area are steep and folded, and climbing enemies are exposed to continuous attack from upper area, including main tower. 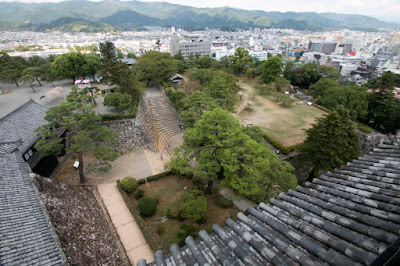 The main tower is a four story six floor tower and stands at north edge of the central area, looking down on main route from hillside area. 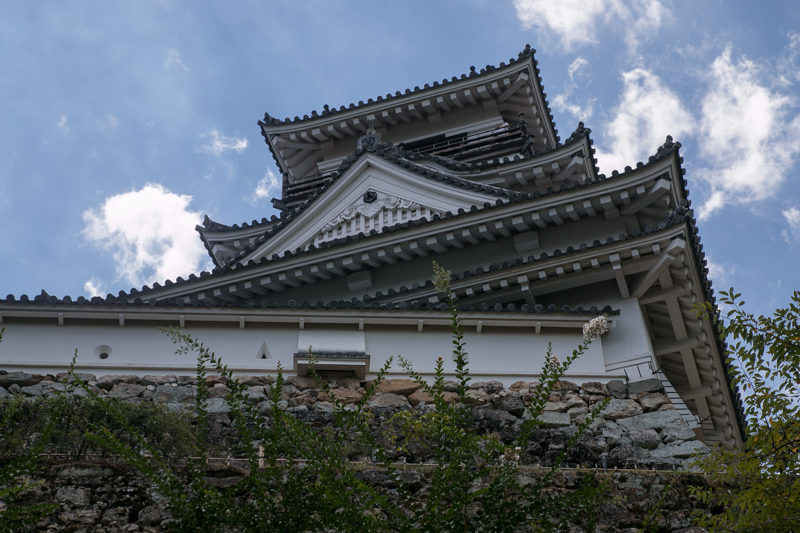 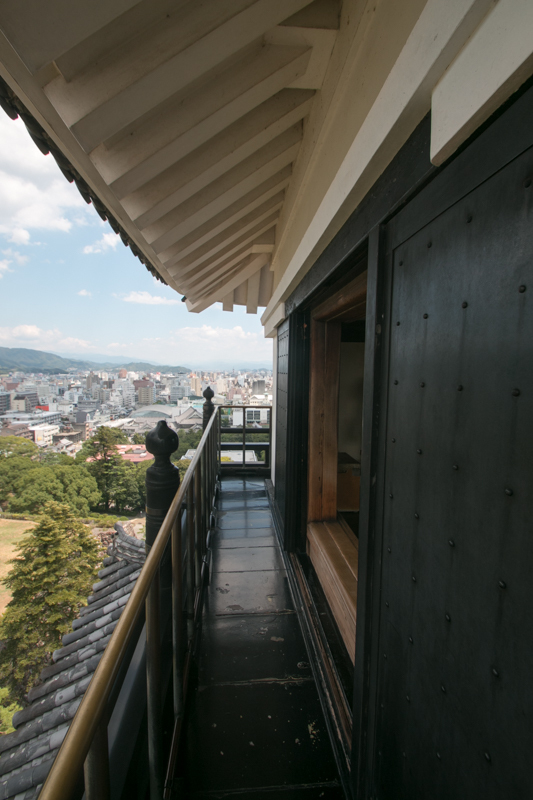 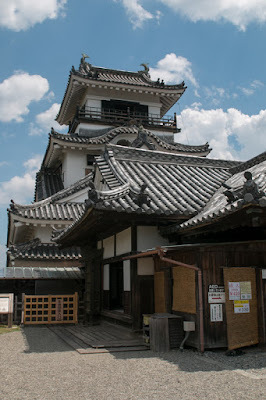 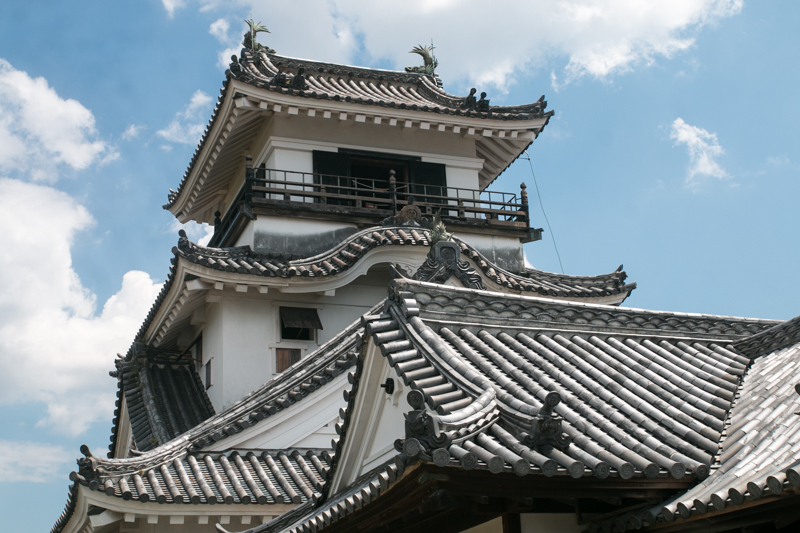 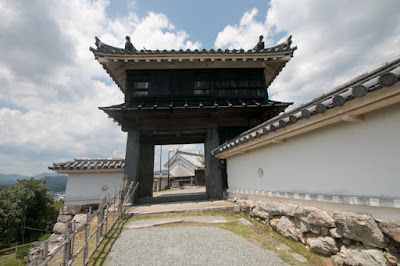 The style of main tower was Boro-gata (“watch tower style”), an old style, and it is said that Kazutoyo built this castle referring his former castle Kakegawa castle (Due to this fact, the main tower of Kakegawa castle was rebuilt referring current main tower of Kochi castle). 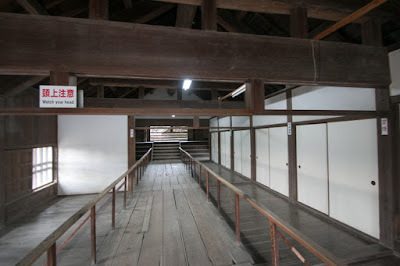 Inside central area, other than main tower, the central area palace was built. 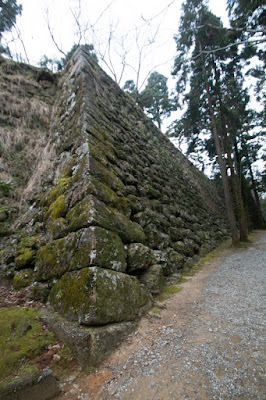 Below the central area seondary area and other terraces covered with tall stone walls were built. 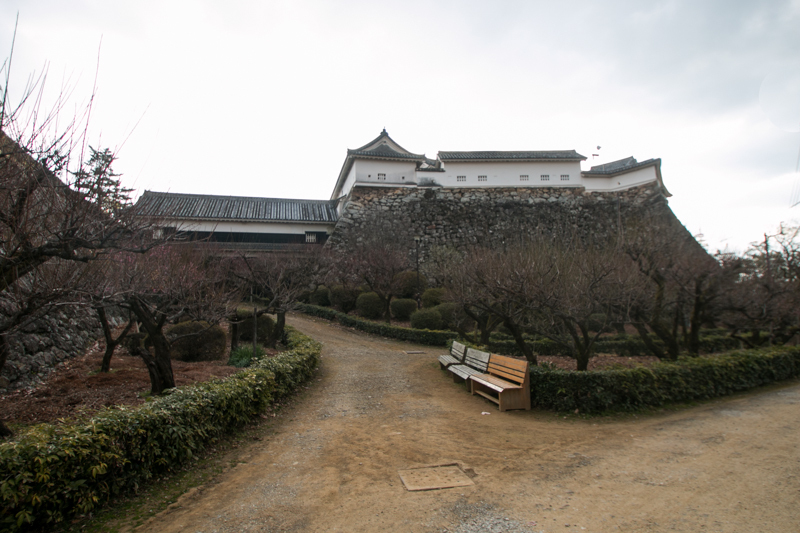 The main gate of the castle located at south east direction of the hill, and outer moat surrounded south half. 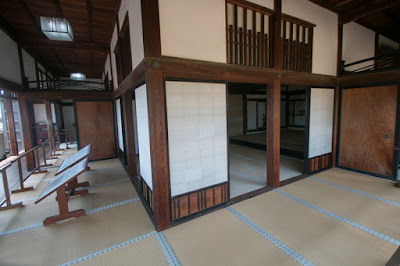 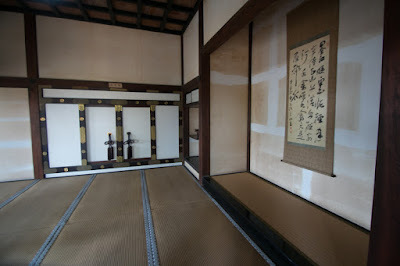 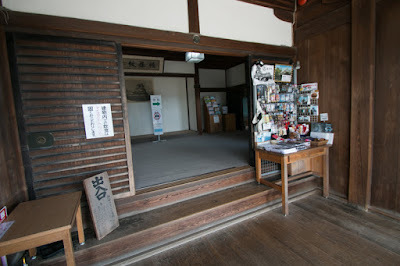 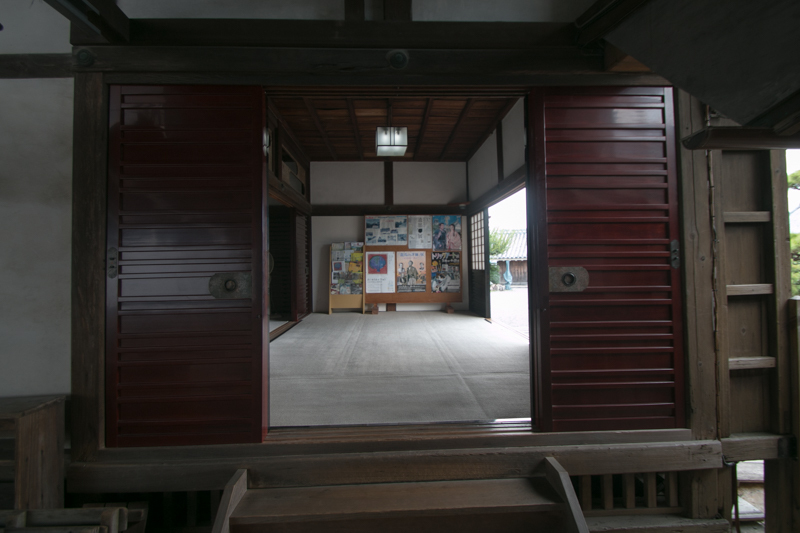 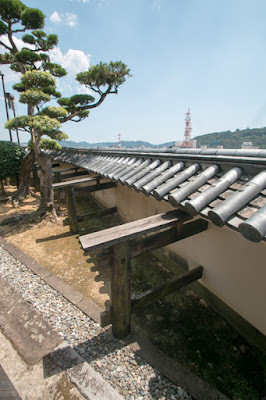 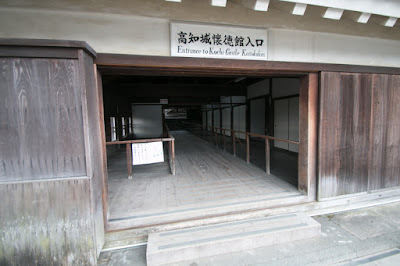 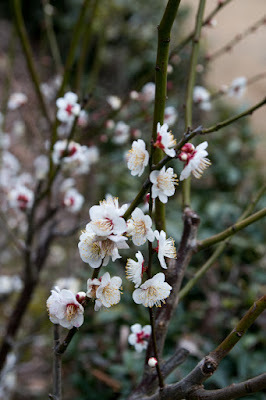 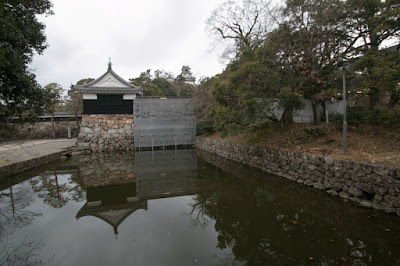 Yamauchi clan had goverend Tosa counry until the end of Edo era. At the final years of Edo era, Tosa domain increased their power by domain reform, and Yodo Yamauchi (1827-1872), the leader of the Yamauchi clan, was regarded as one of four strong lords at this period along with Yoshinaga Matsudaira (1828-1890, Fukui domain), Munenari Date (1818-1892, Uwajima domain), and Nariakira Shimazu (1809-1858, Satsuma domain). 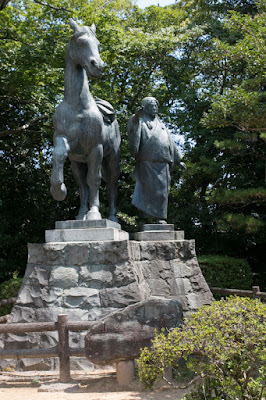 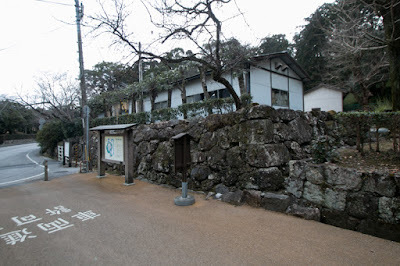 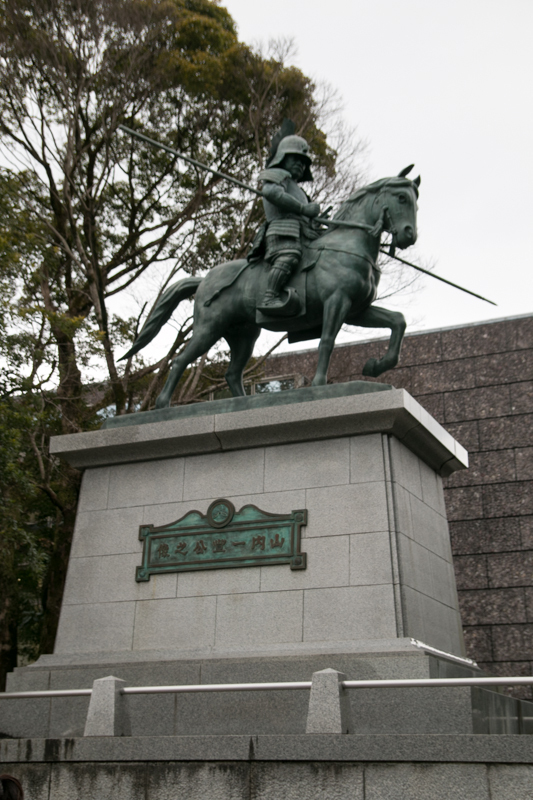 Tosa domain also produced many famous revolutionalists such as Ryoma Sakamoto (1836-1867) or Shintaro Nakaoka (1838-1867), and they conributed to Meiji revolution then Tosa domain became a major party at new government. 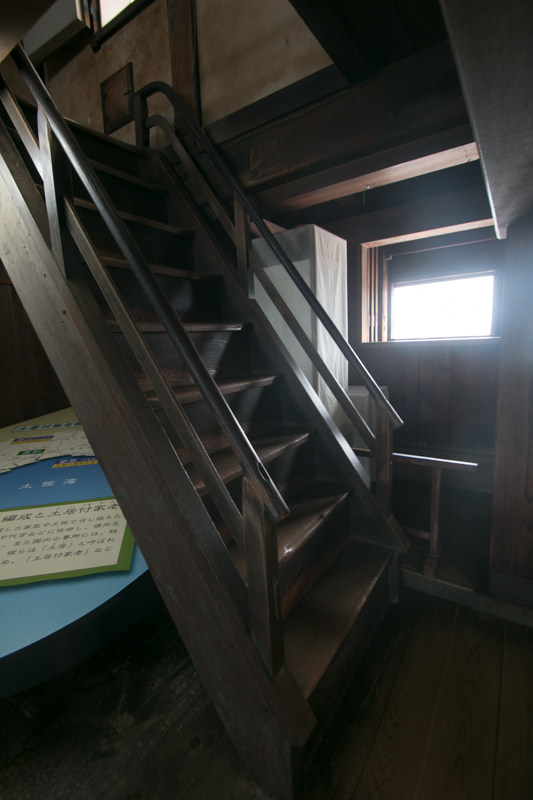 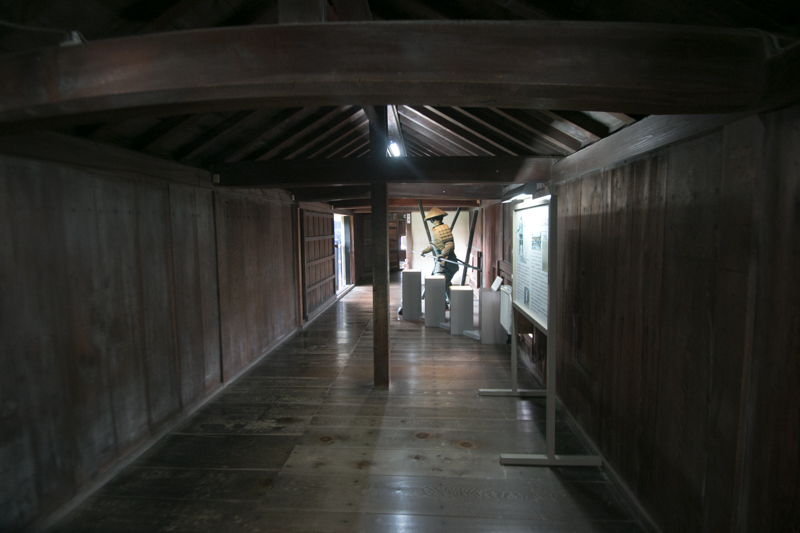 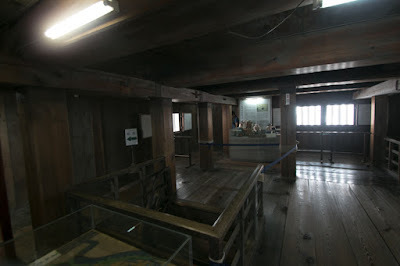 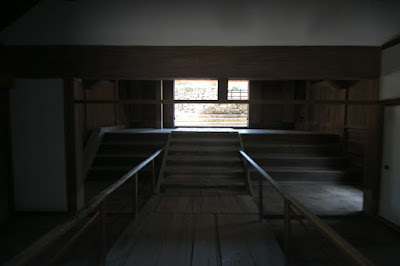 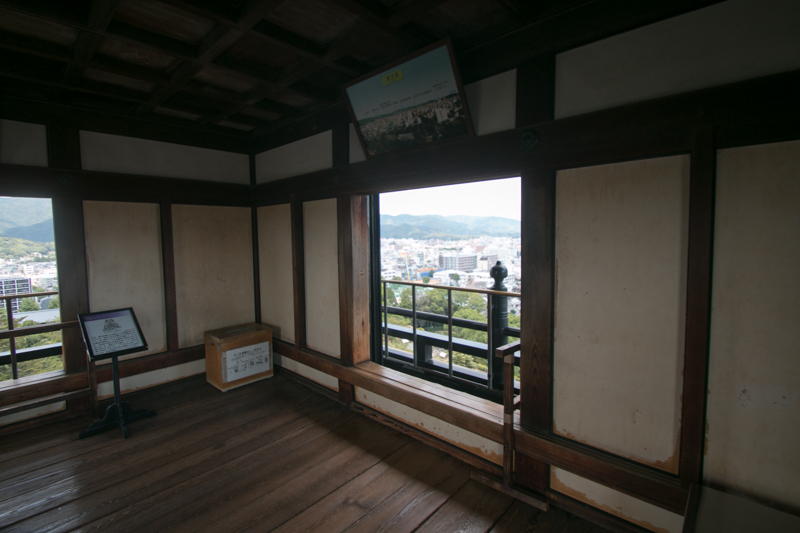 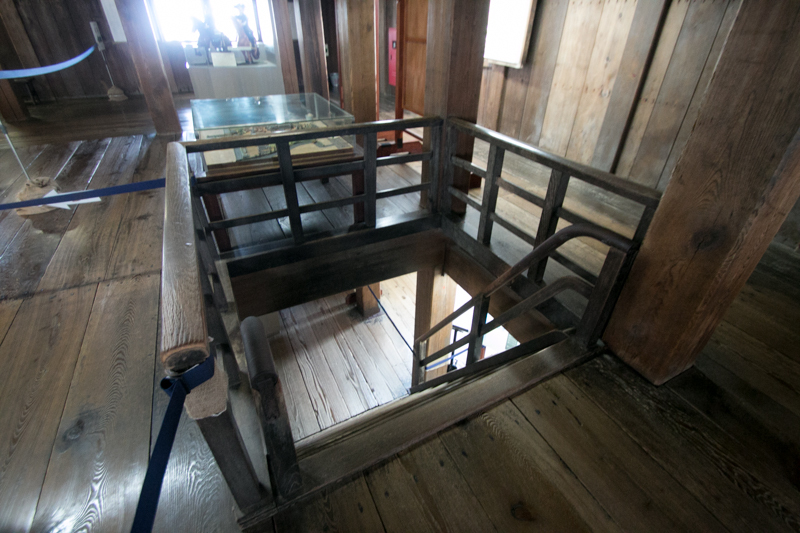 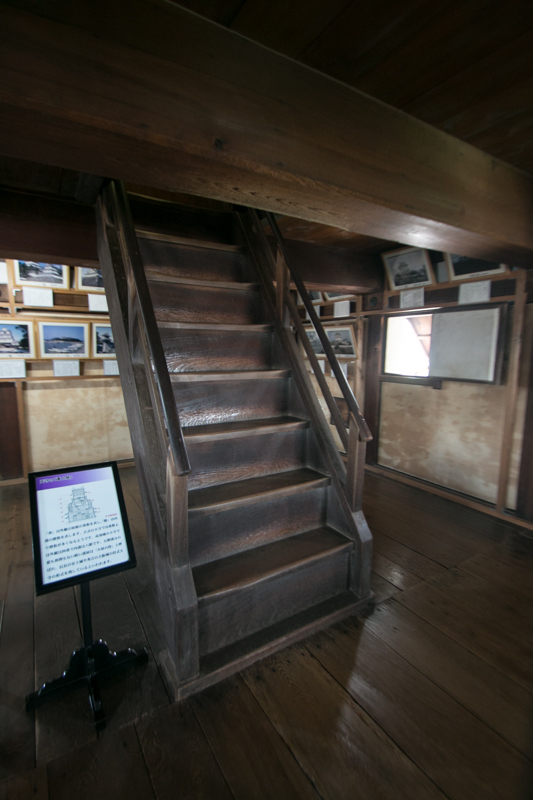 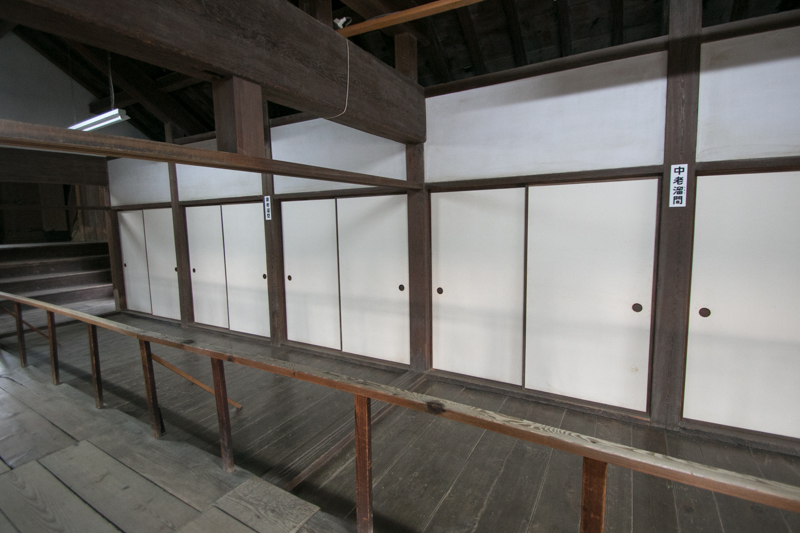 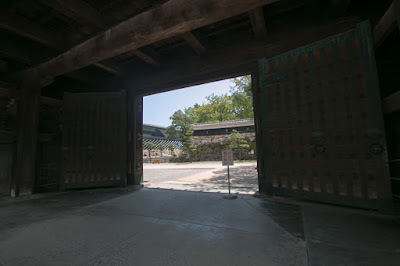 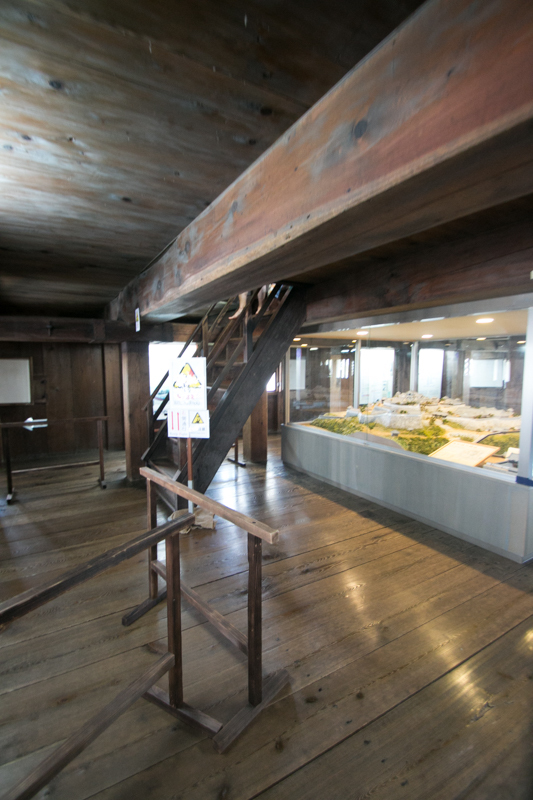 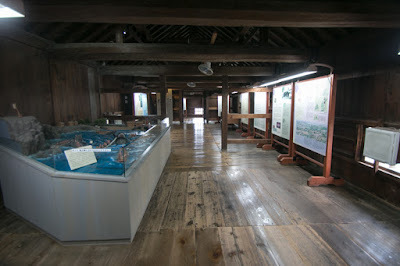 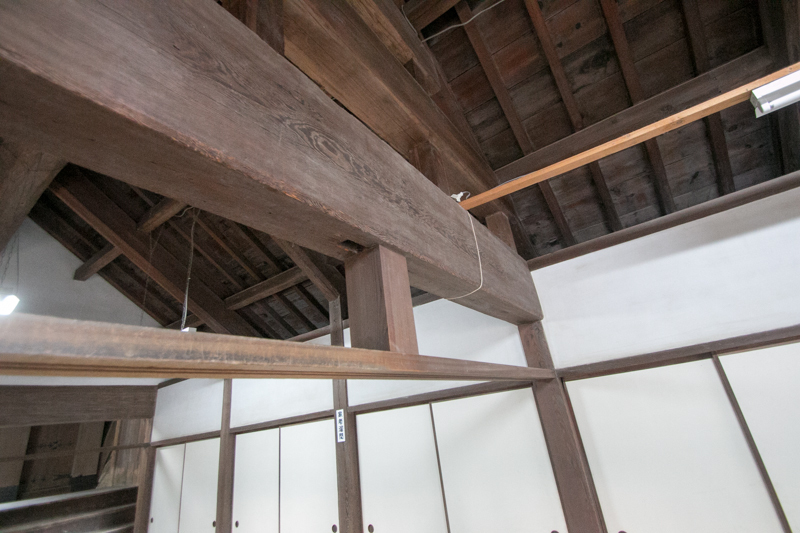 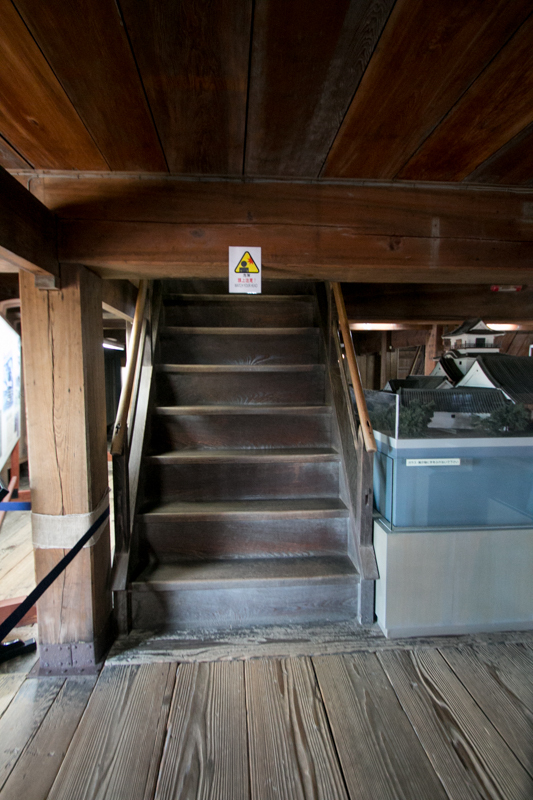 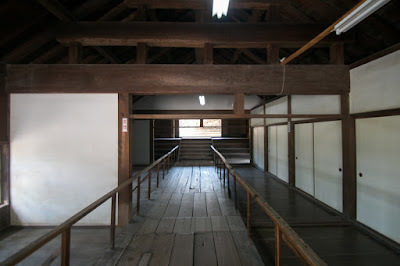 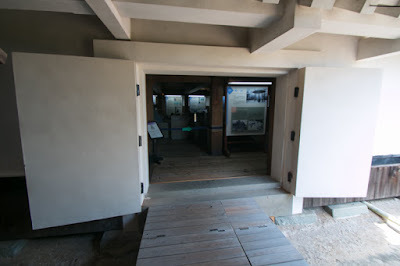 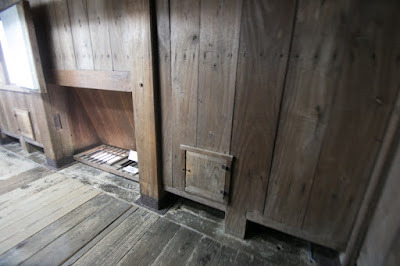 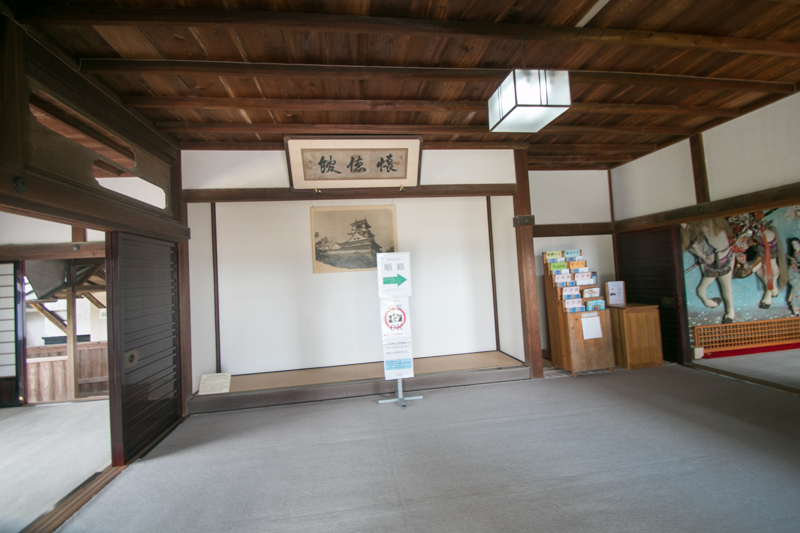 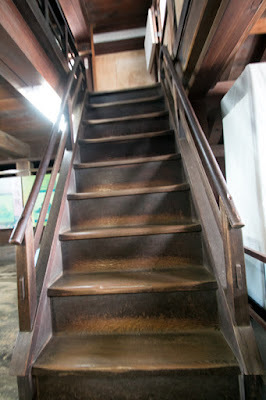 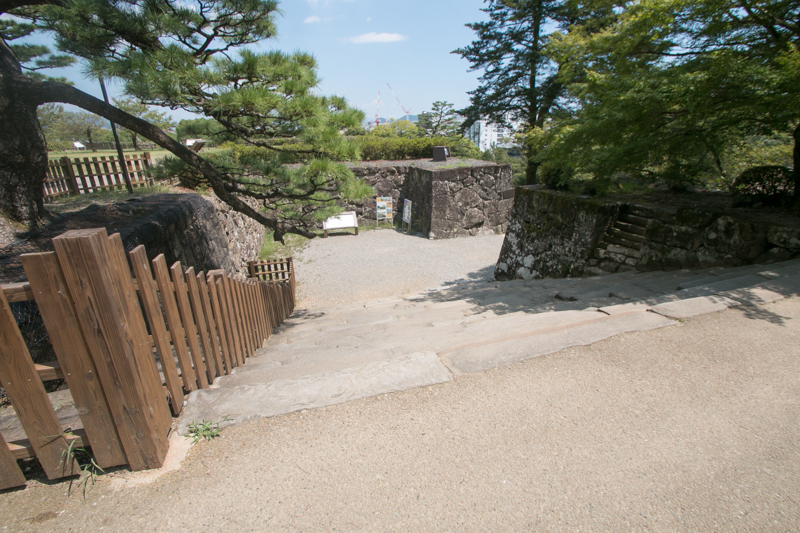 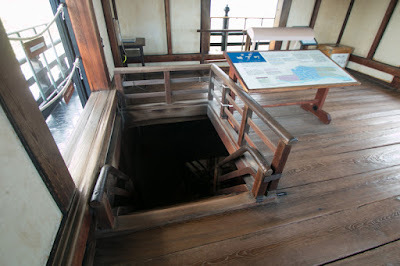 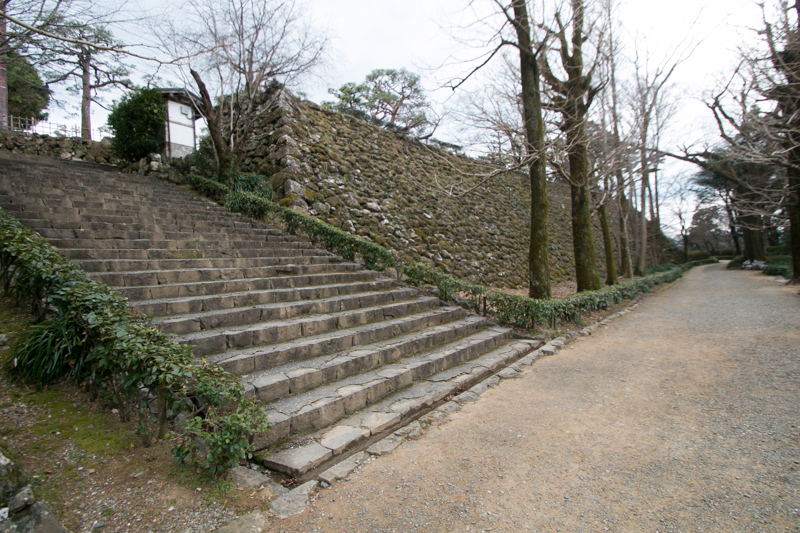 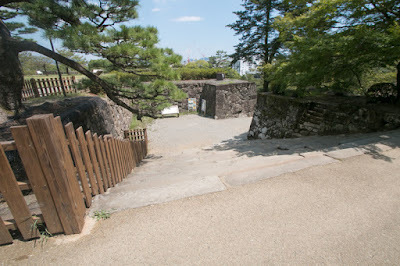 Subsequent to Meiji revolution, probablly considering the achievement of Tosa domain to the revolution, main part of Kochi castle were kept. 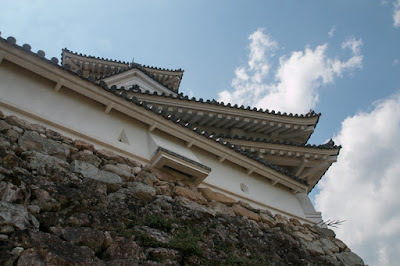 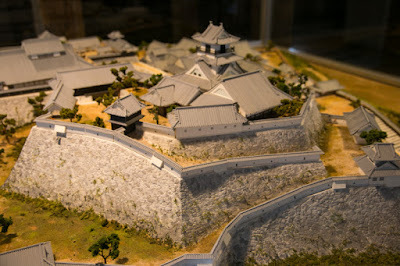 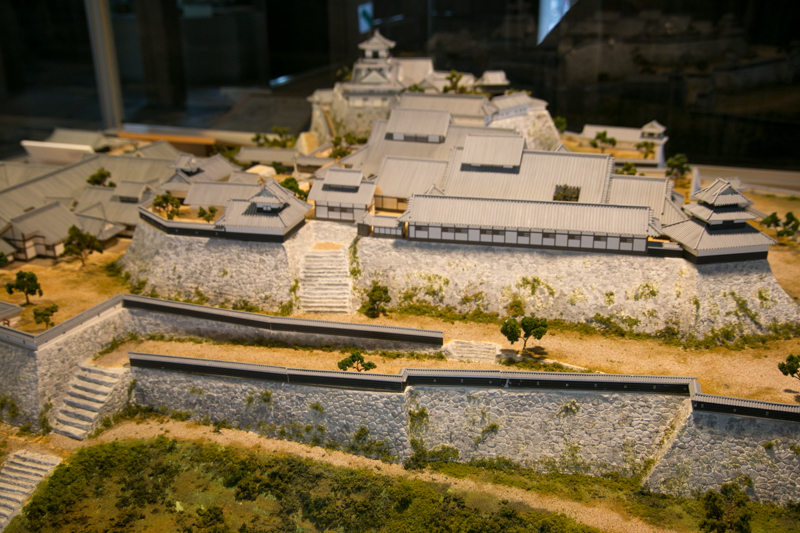 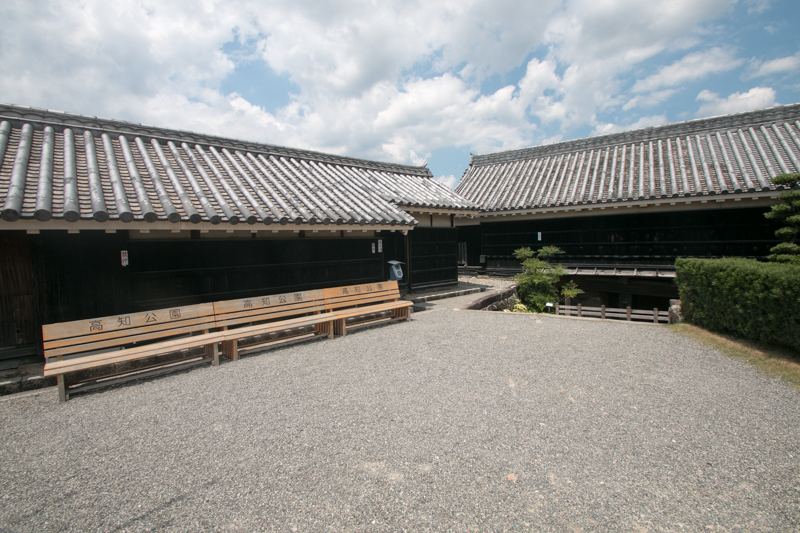 Now all buildings at central area remained as original, and this is only one among Japanese castles (Himeji castle lost some buildings at central area). Combination of white elegeant building and secure stone wall shows us the beauty of the castle as a military weapon until now.